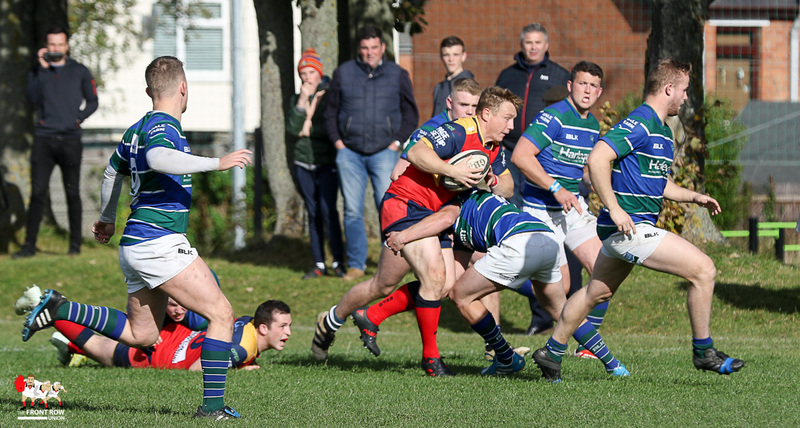 Saturday 6th October 2018. 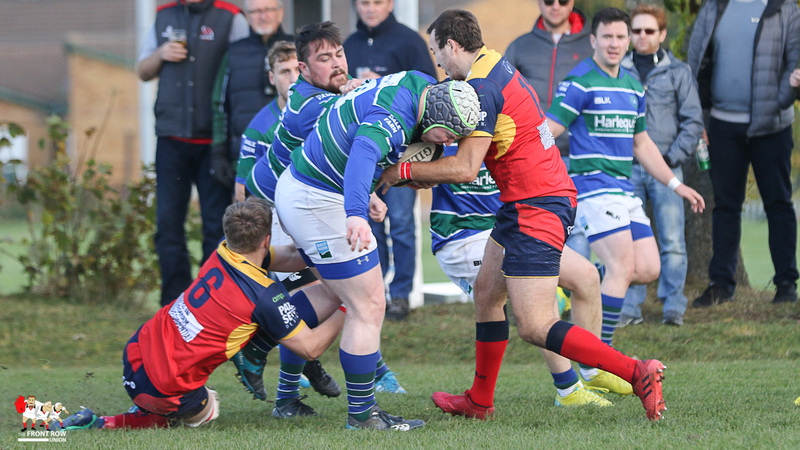 Ballyclare came out on top 22 - 34 against Grosvenor in an entertaining Ulster Championship D1 match at Gibson Park on Saturday afternoon. 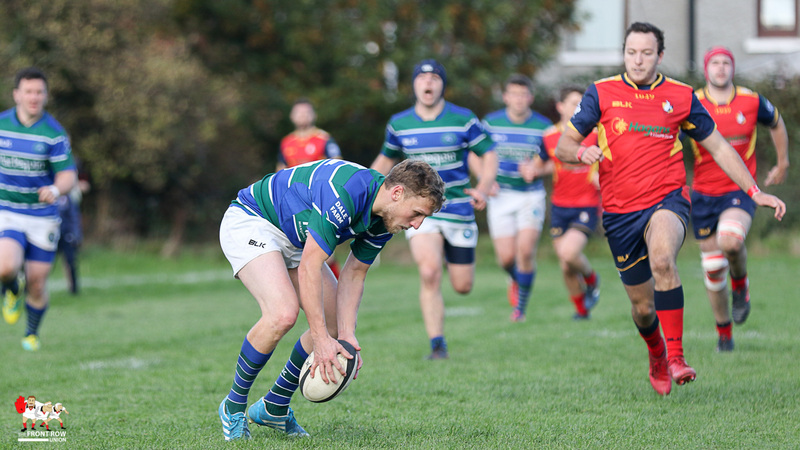 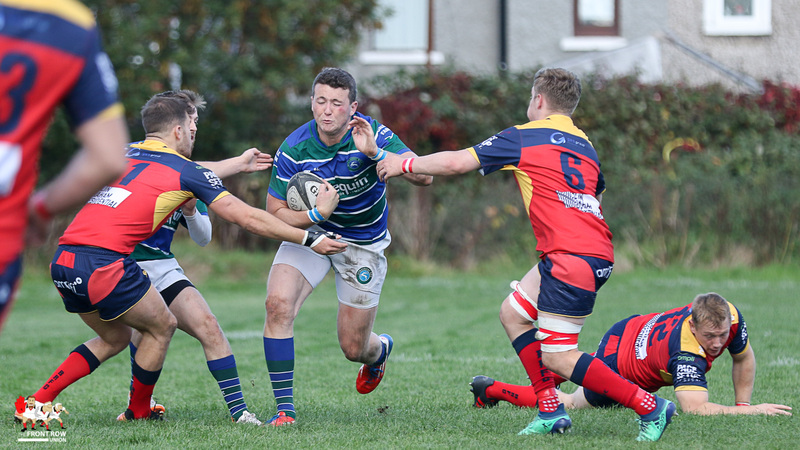 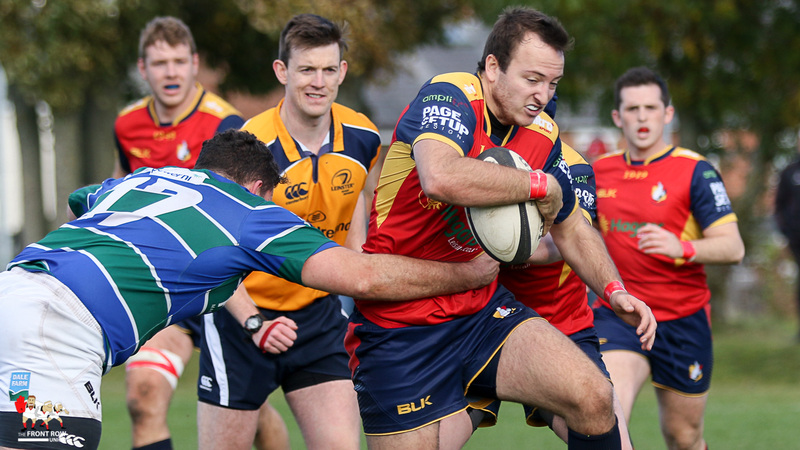 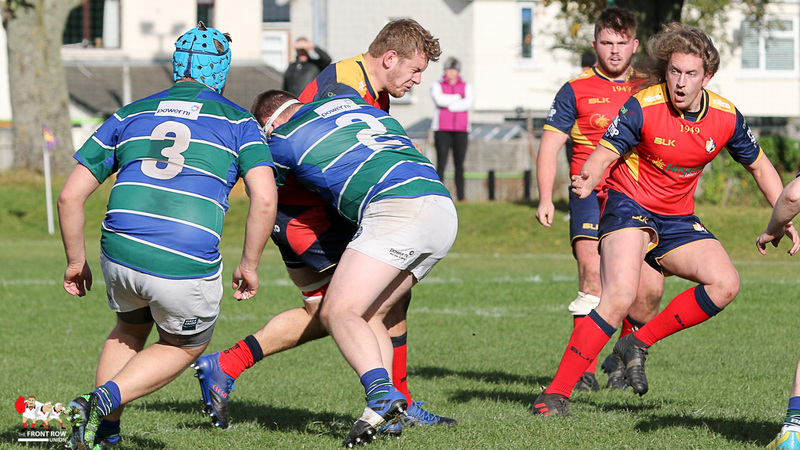 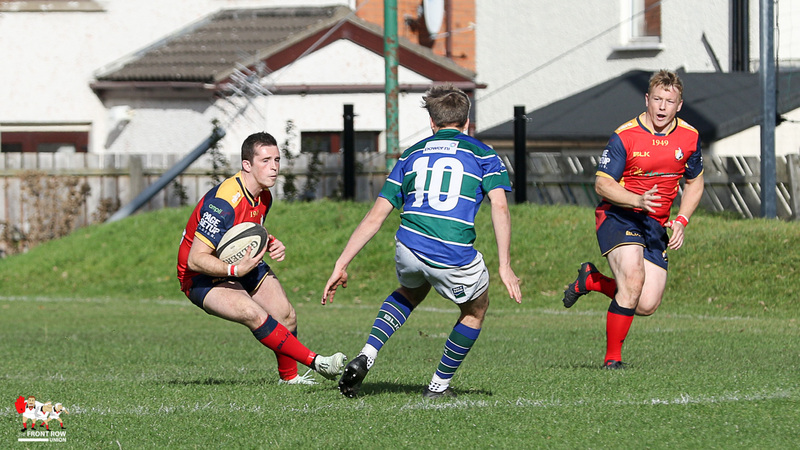 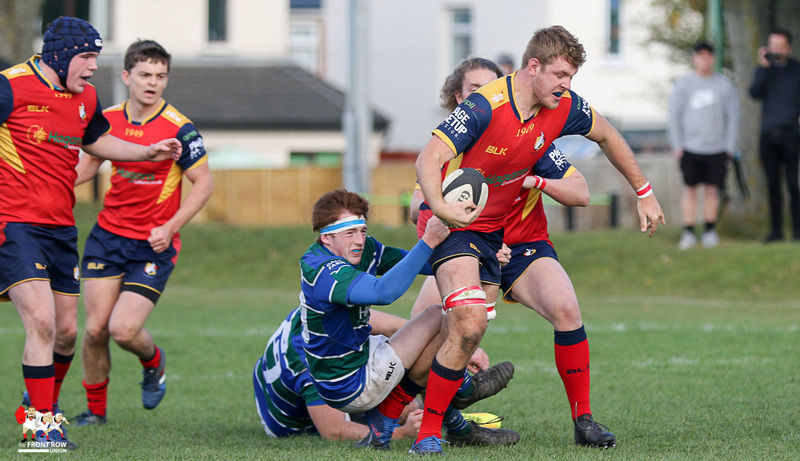 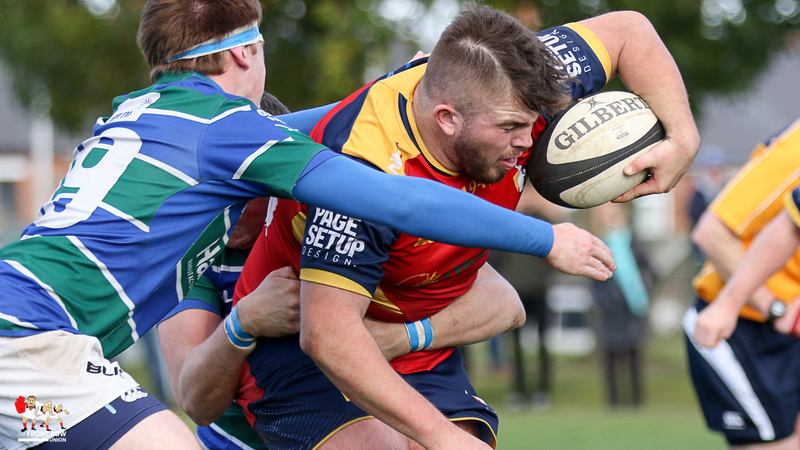 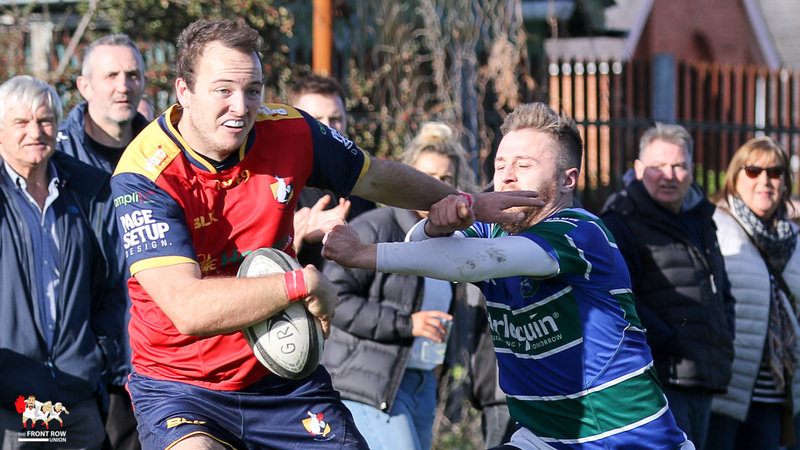 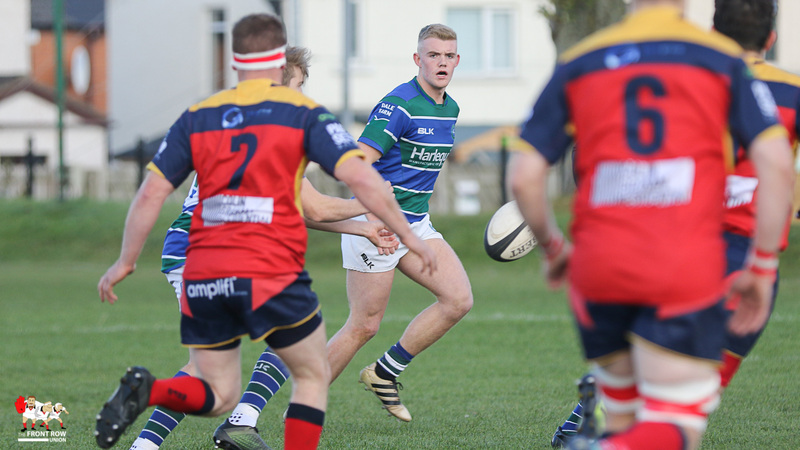 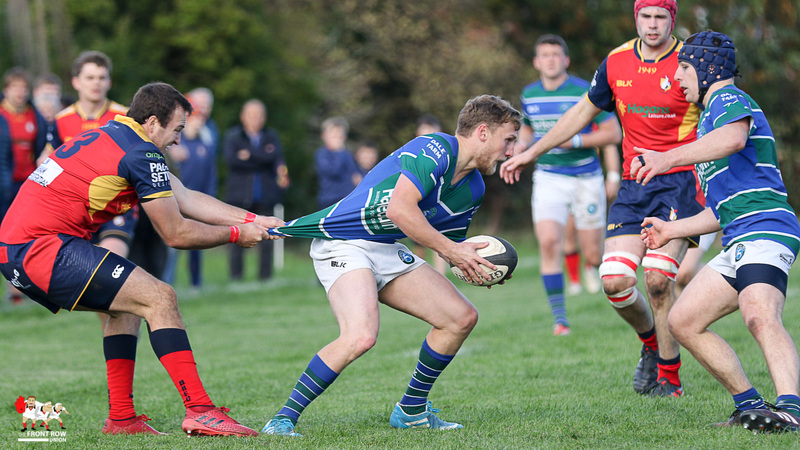 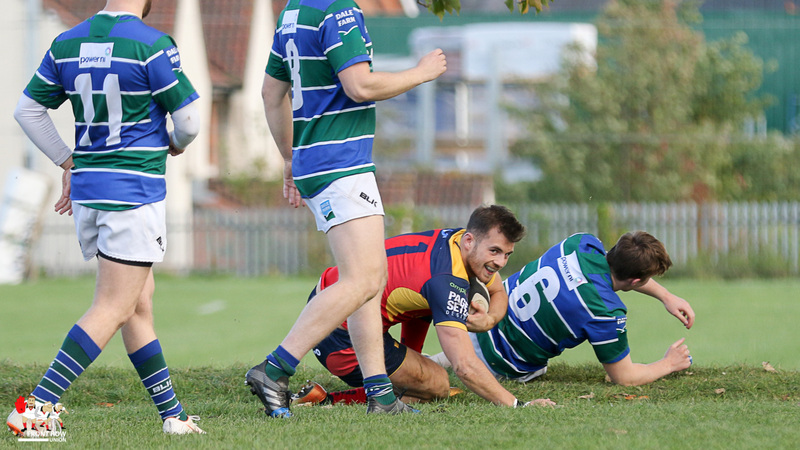 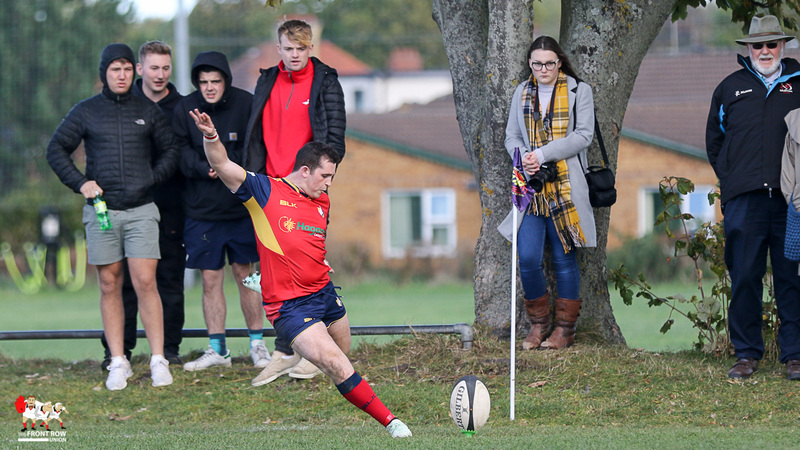 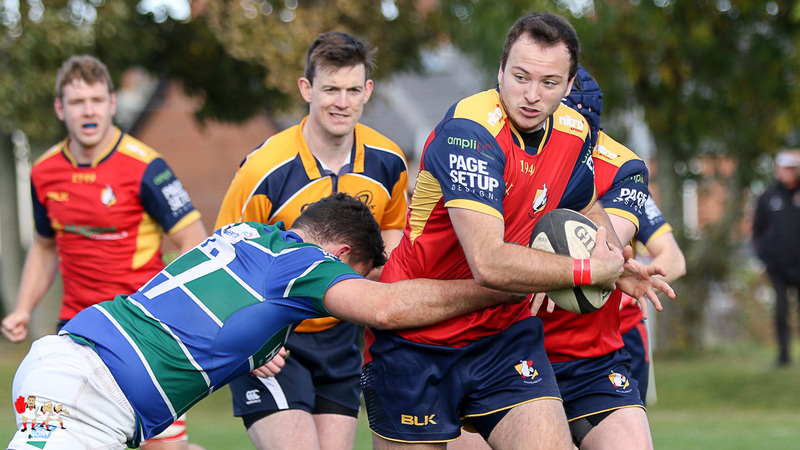 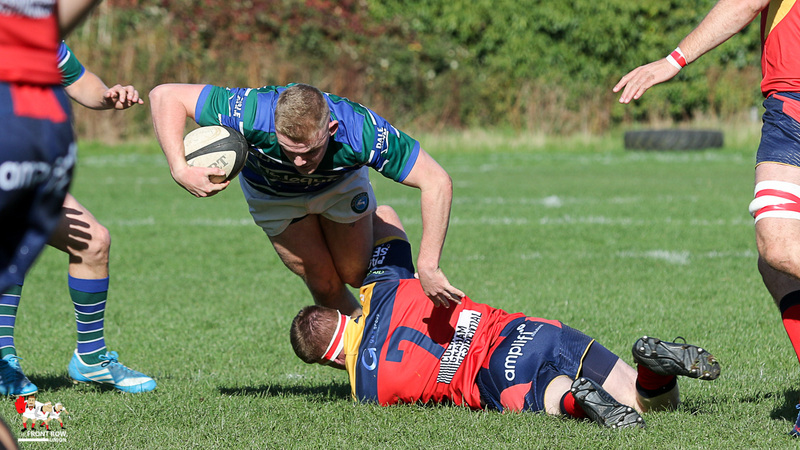 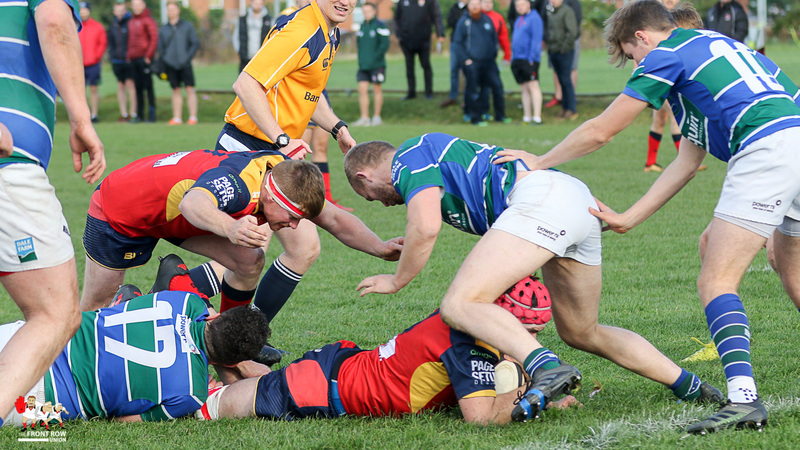 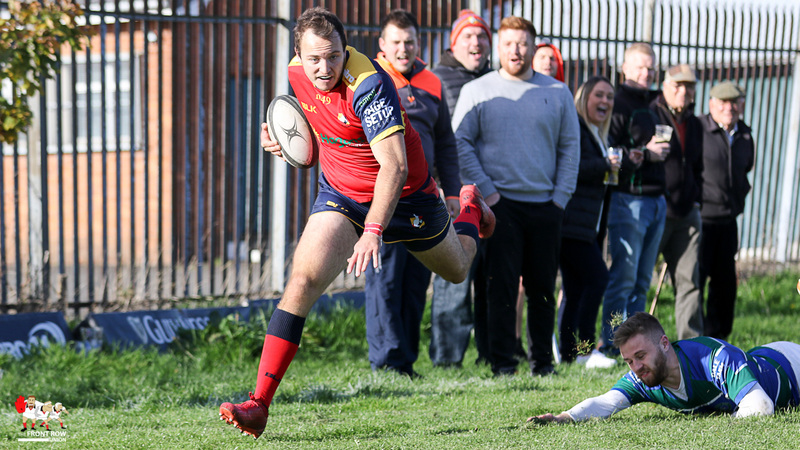 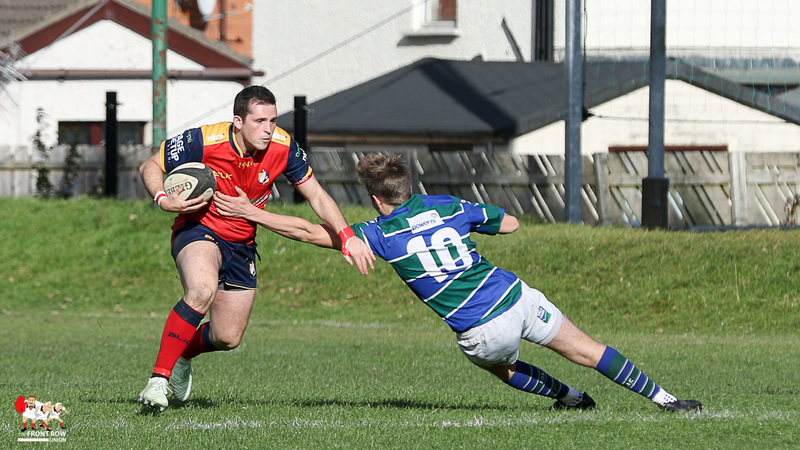 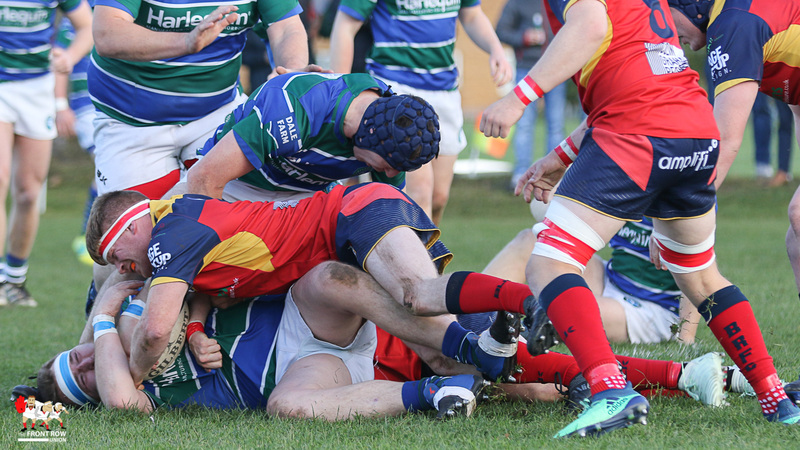 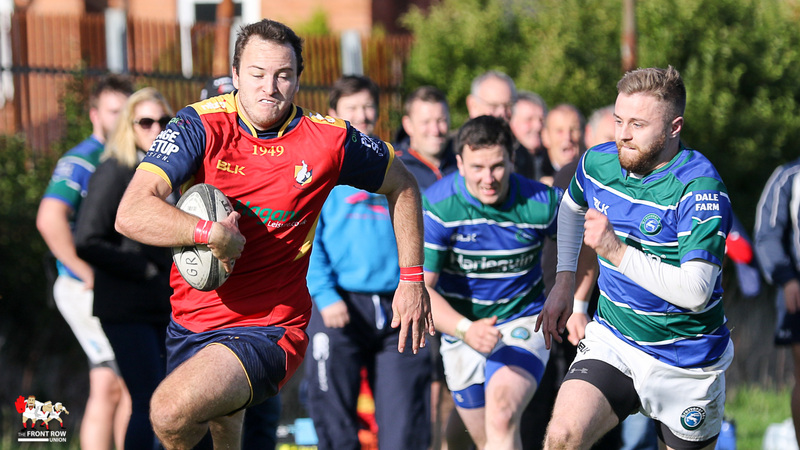 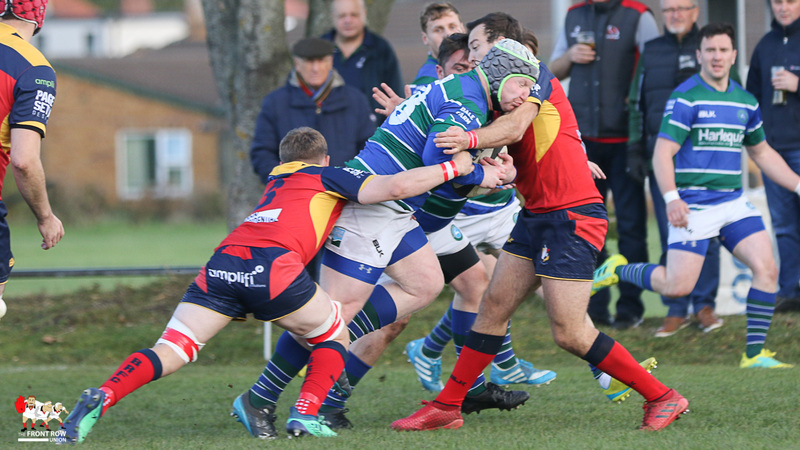 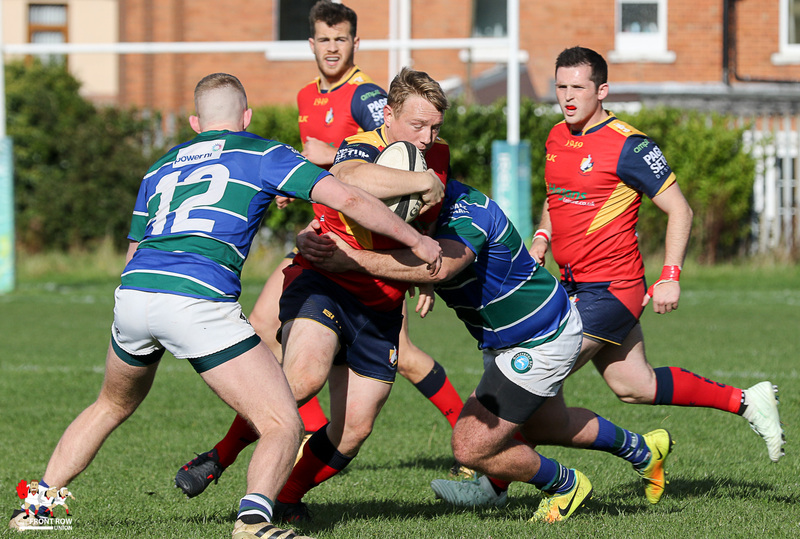 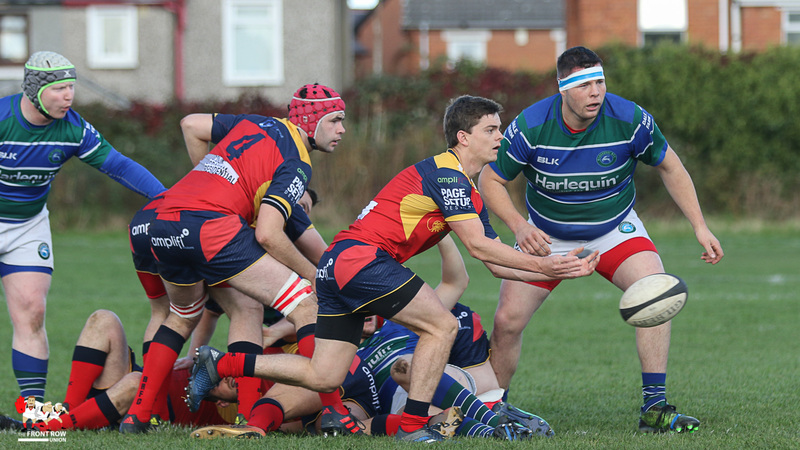 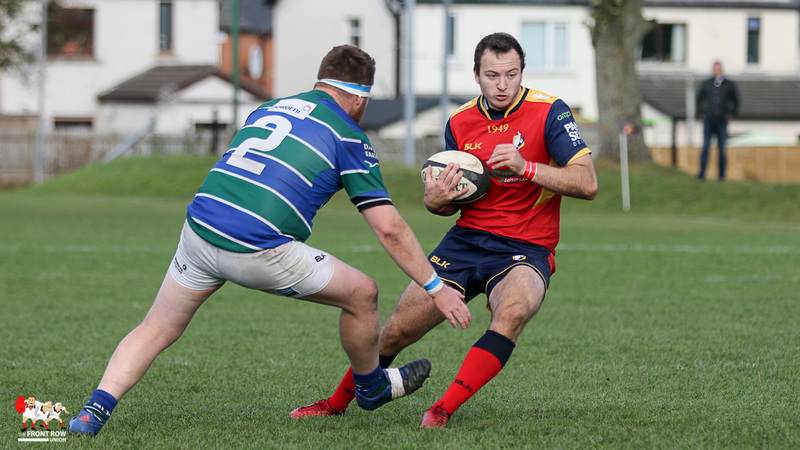 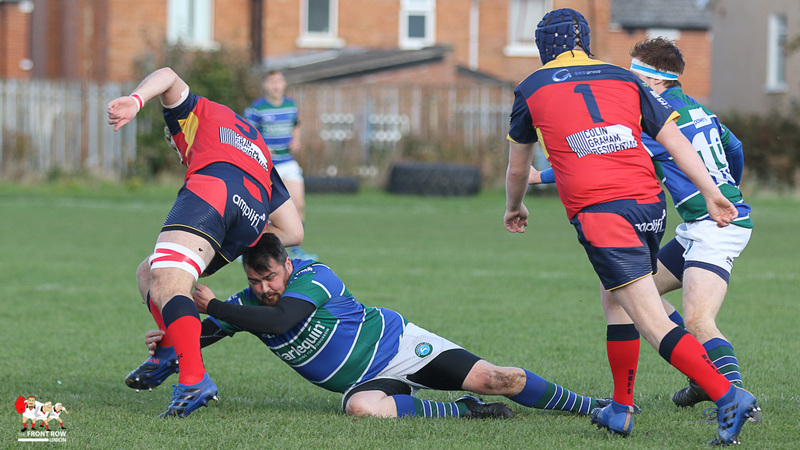 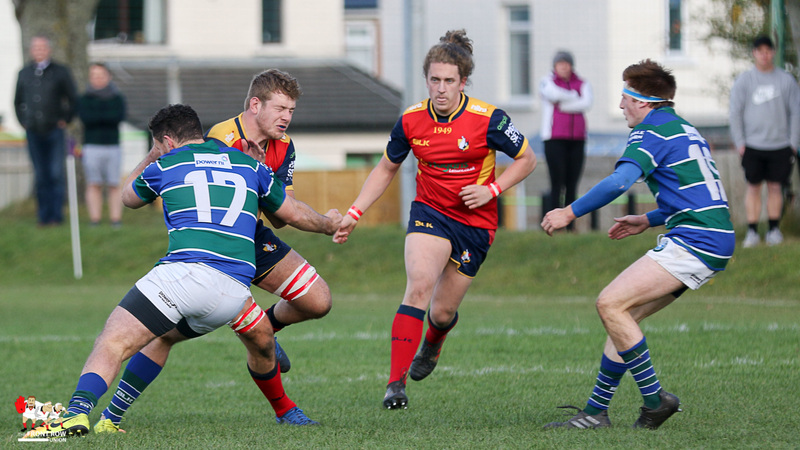 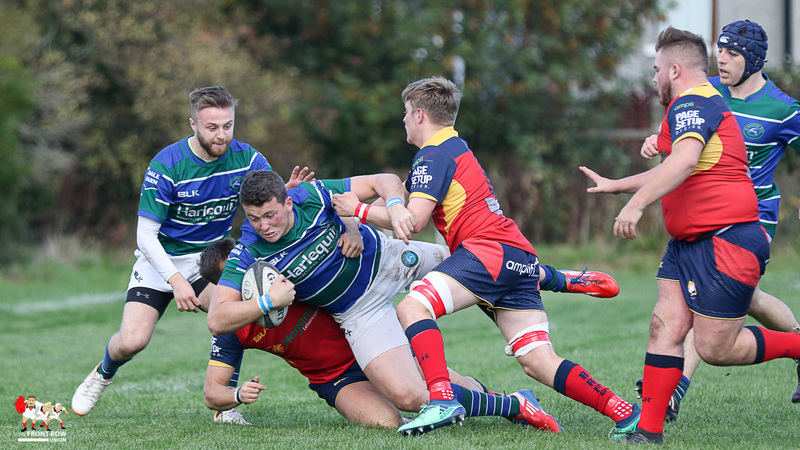 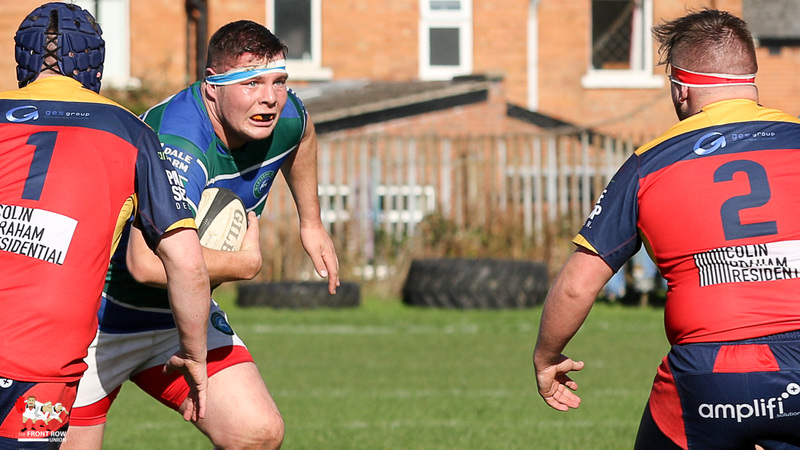 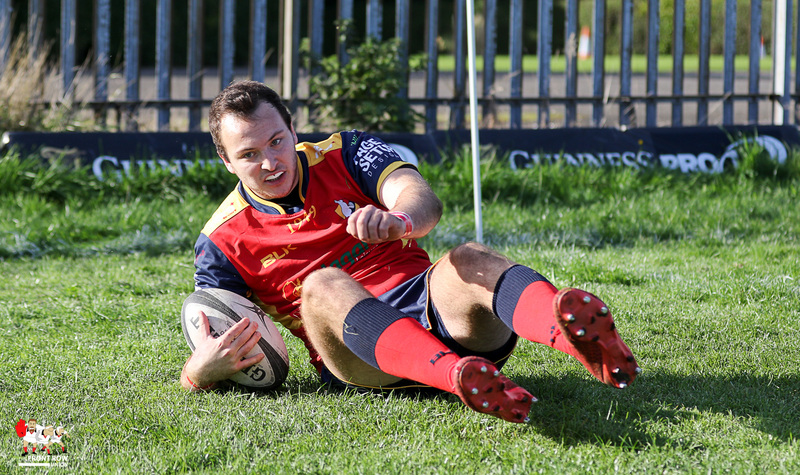 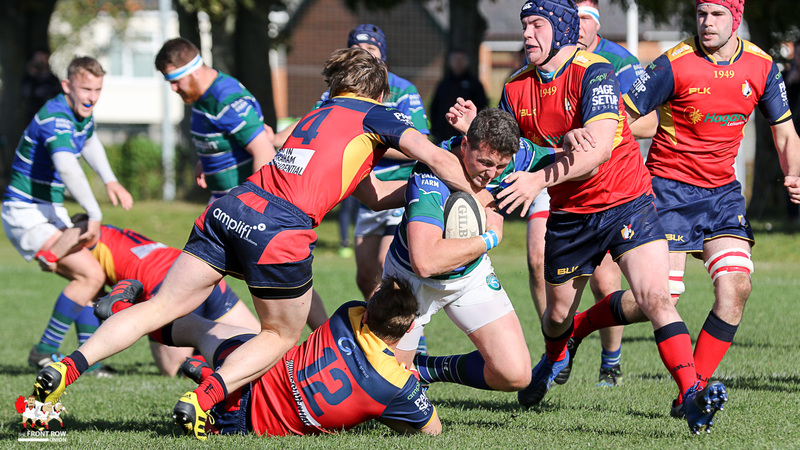 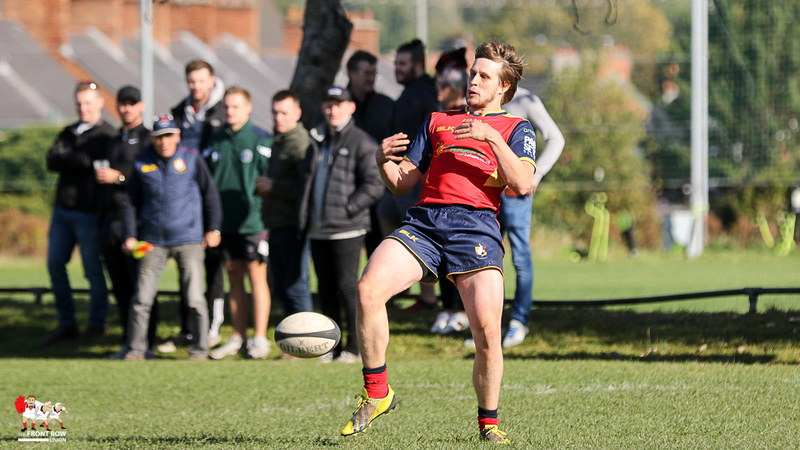 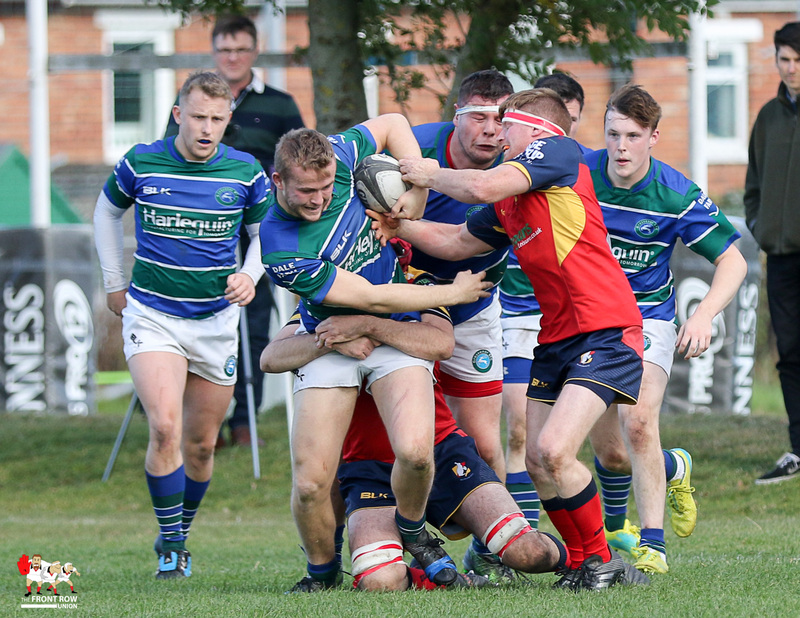 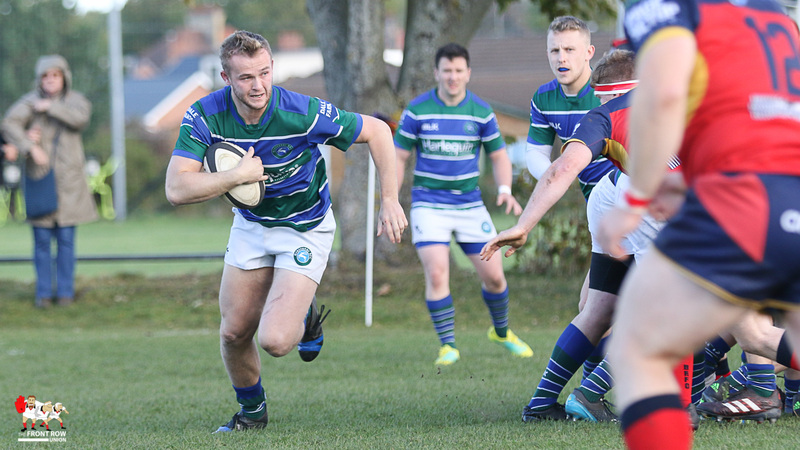 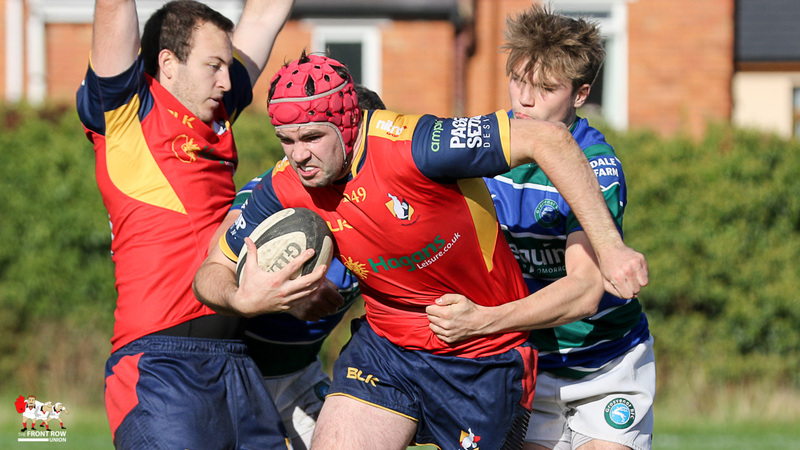 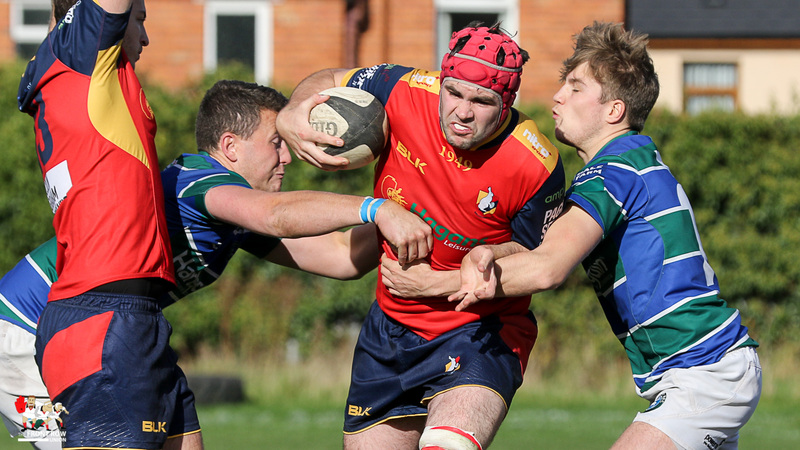 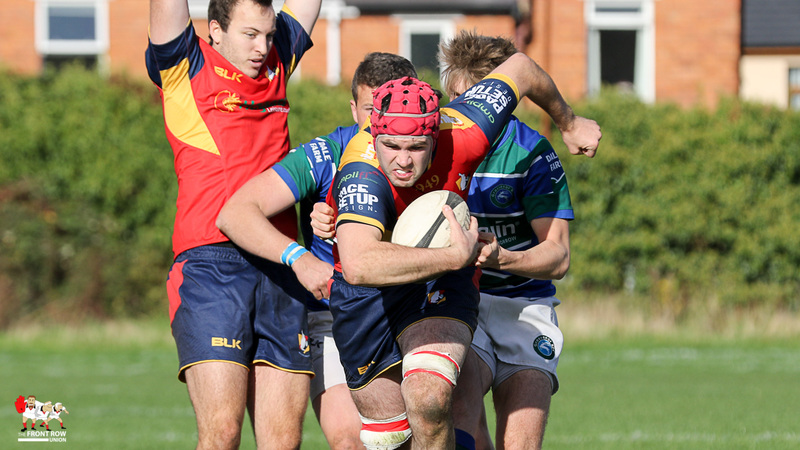 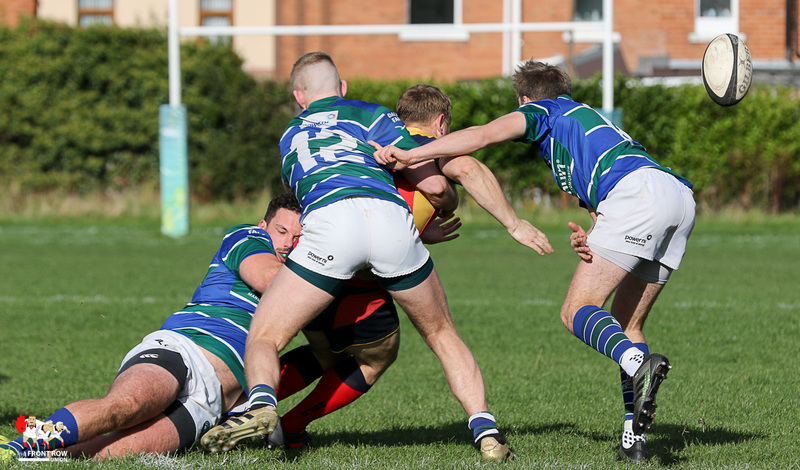 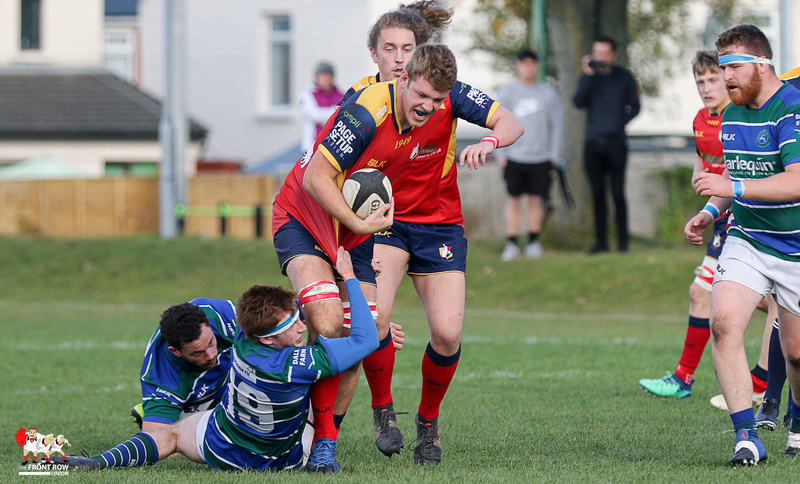 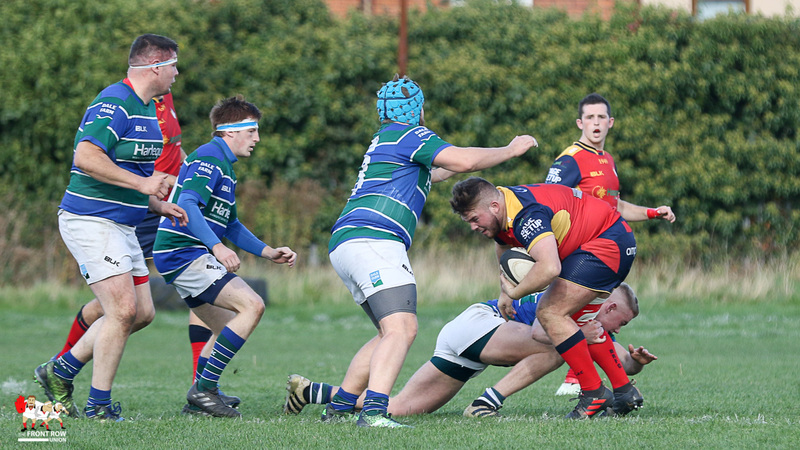 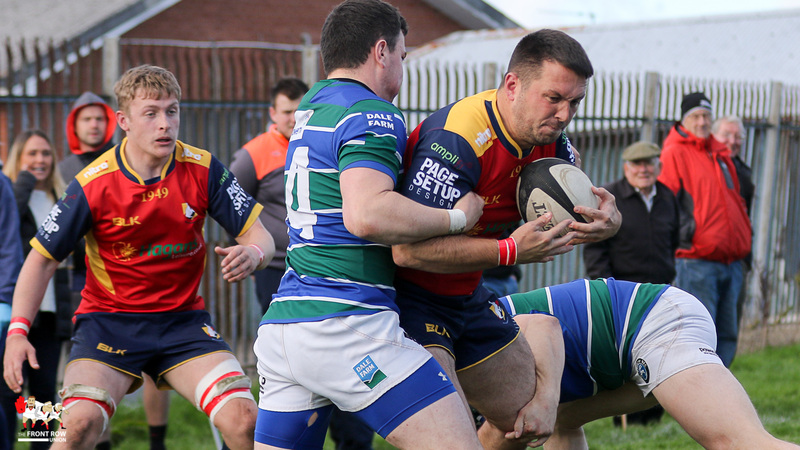 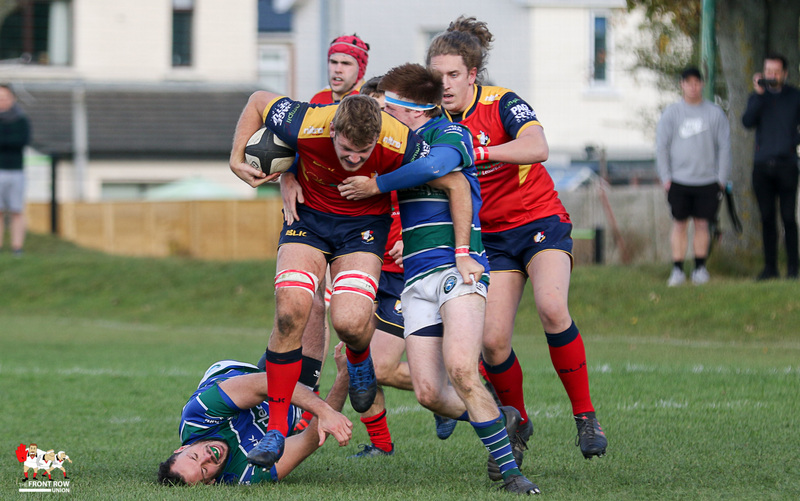 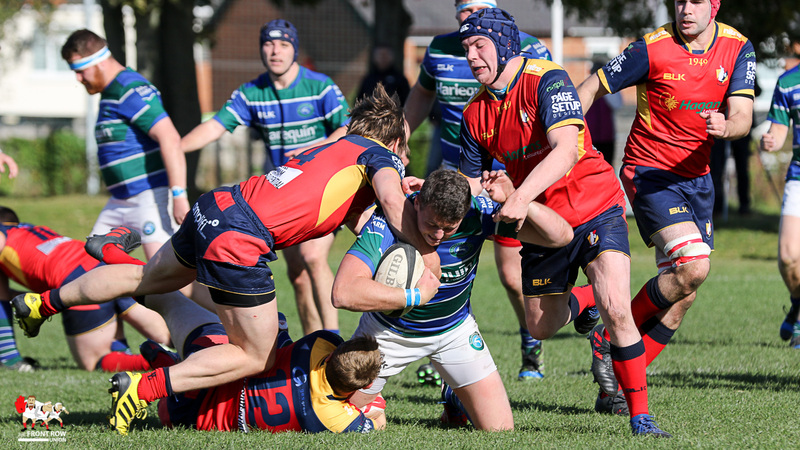 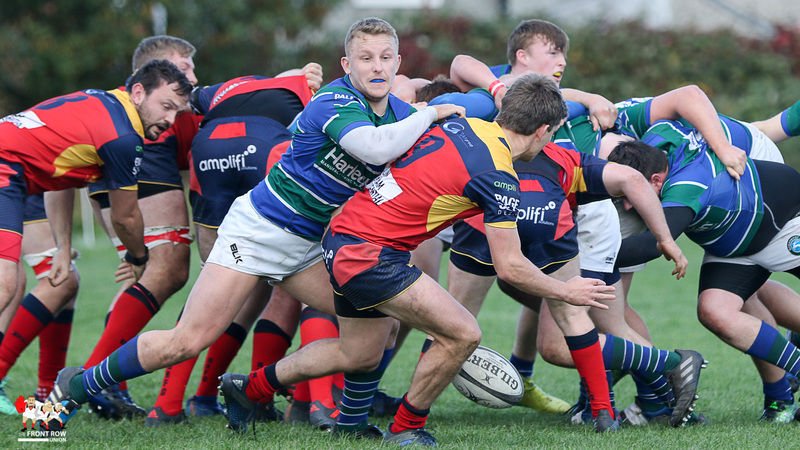 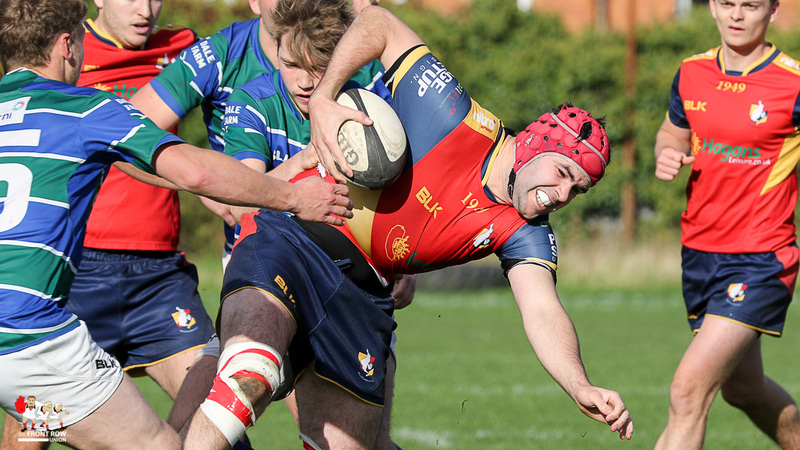 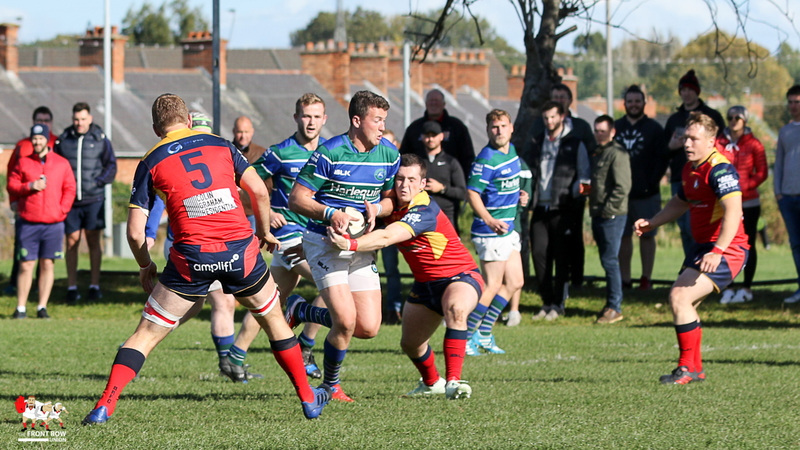 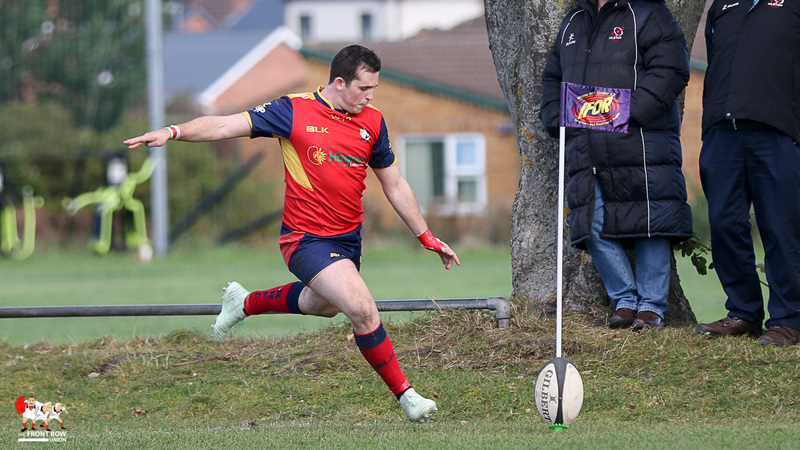 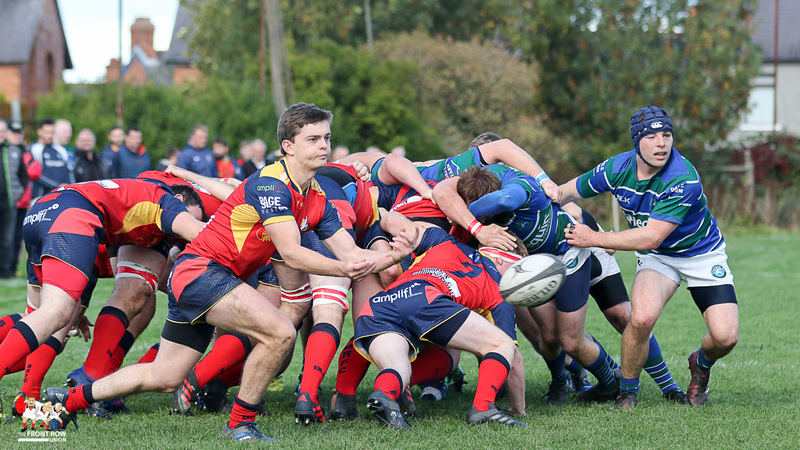 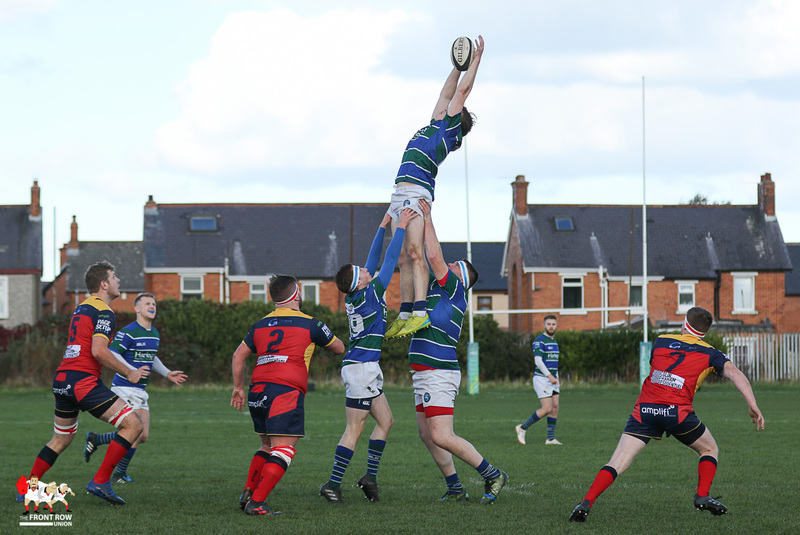 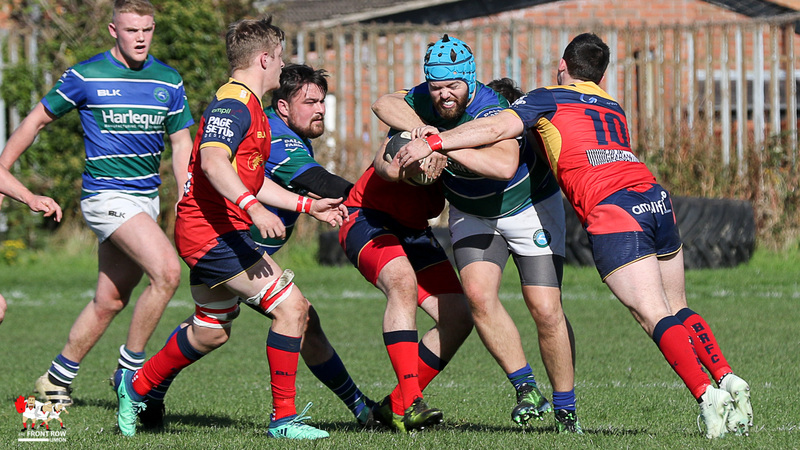 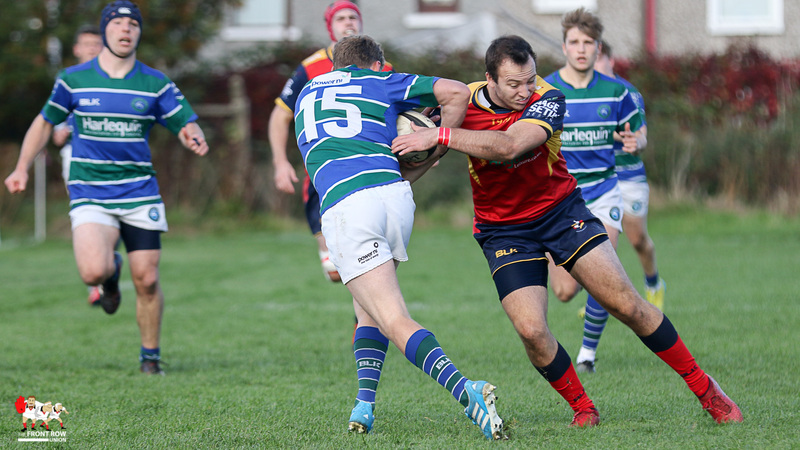 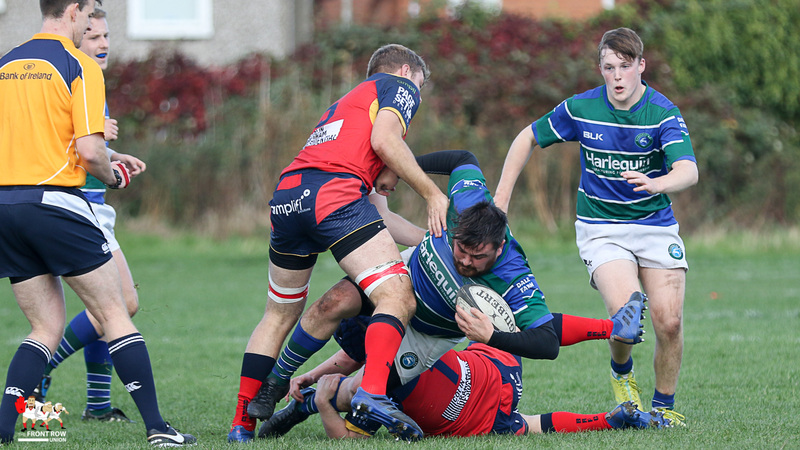 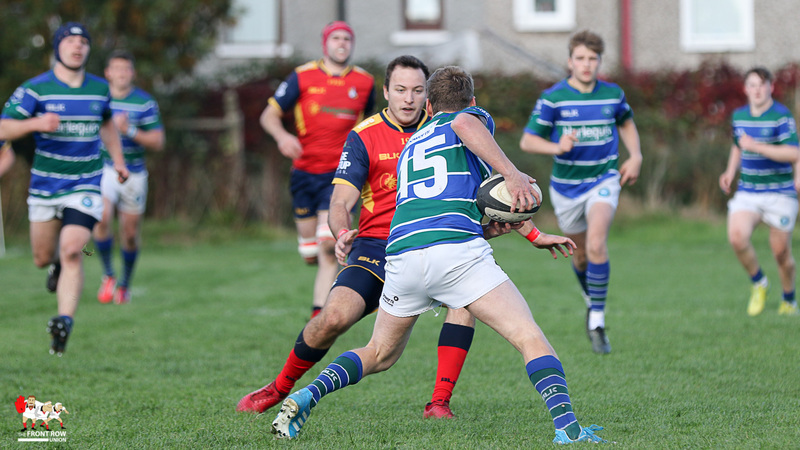 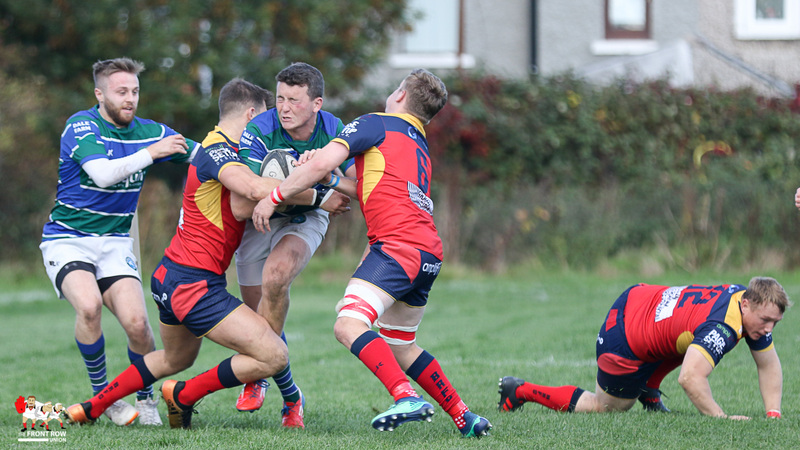 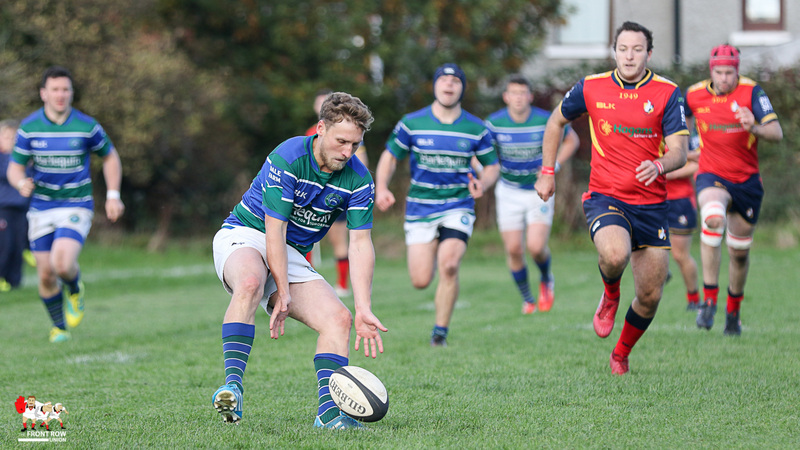 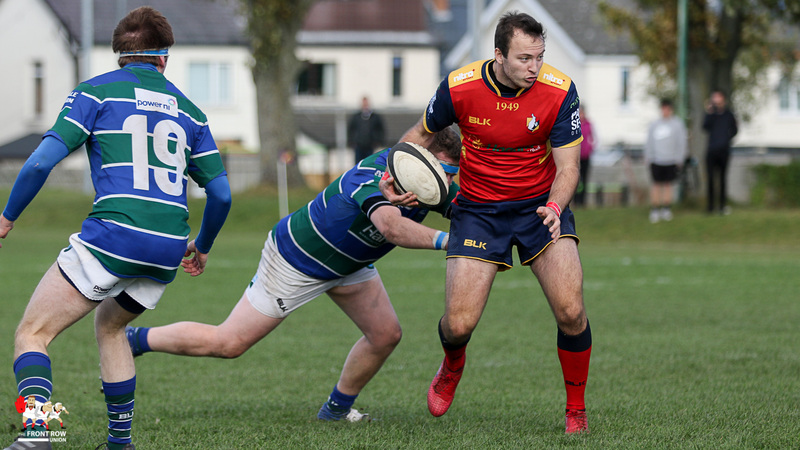 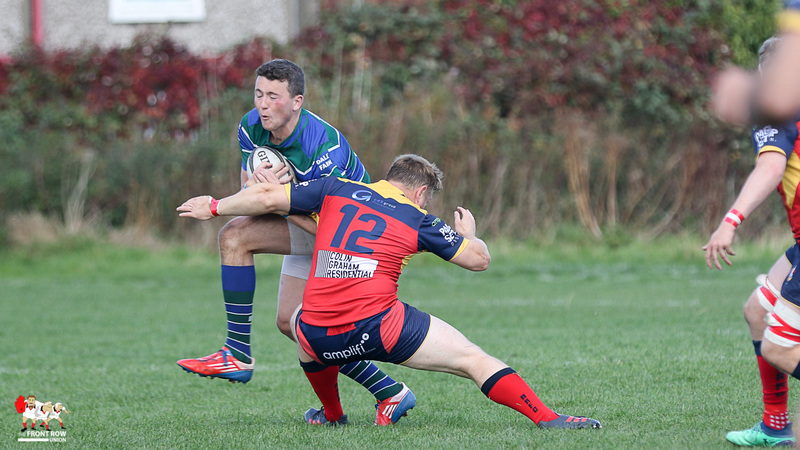 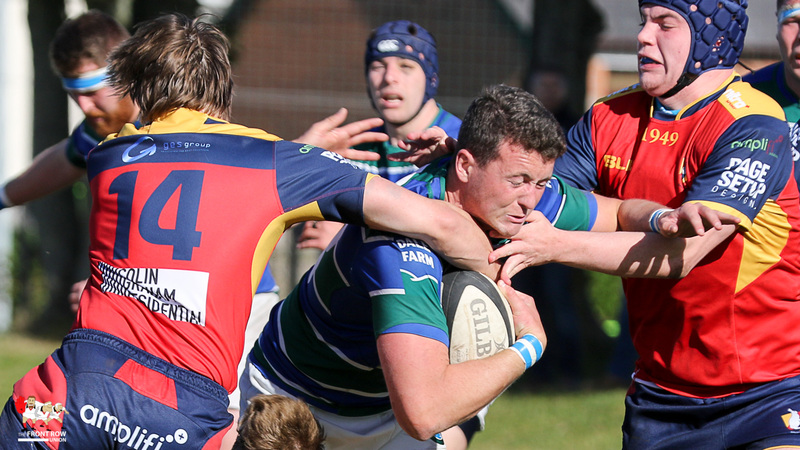 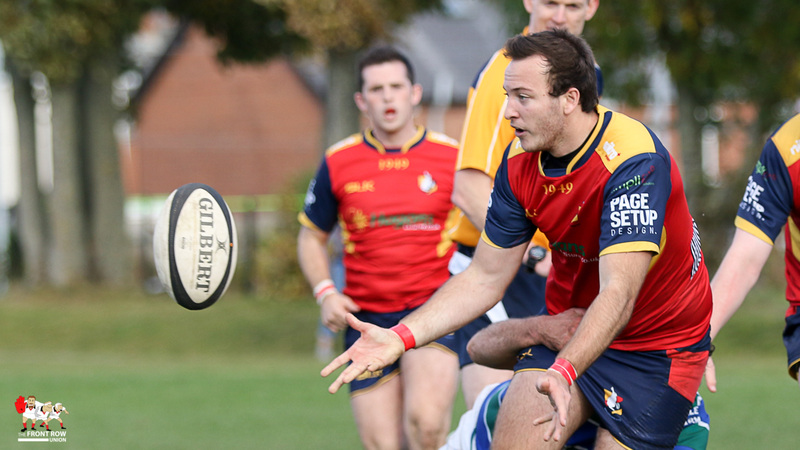 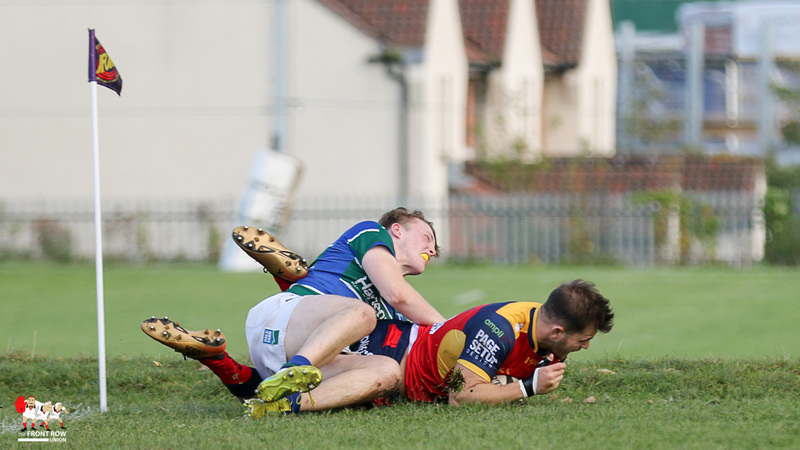 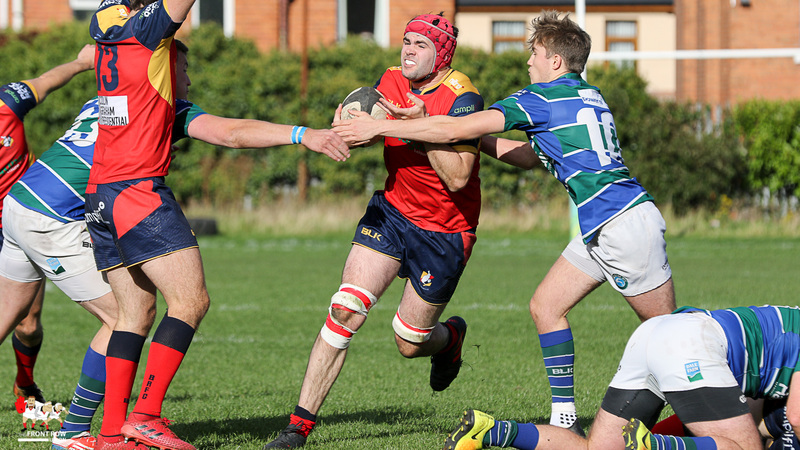 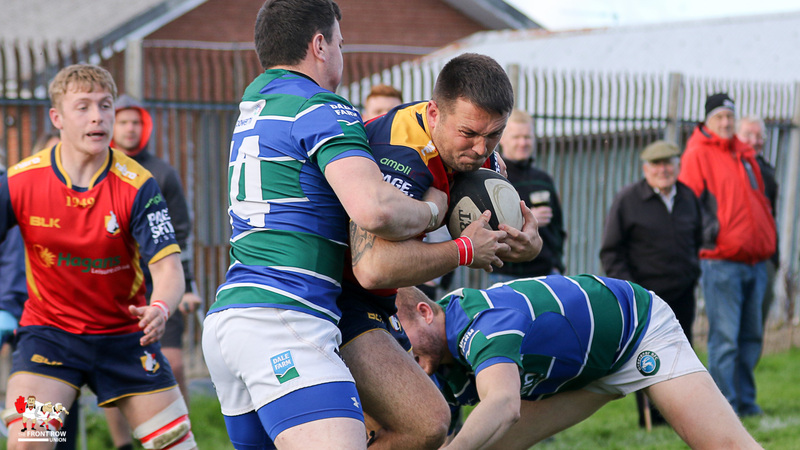 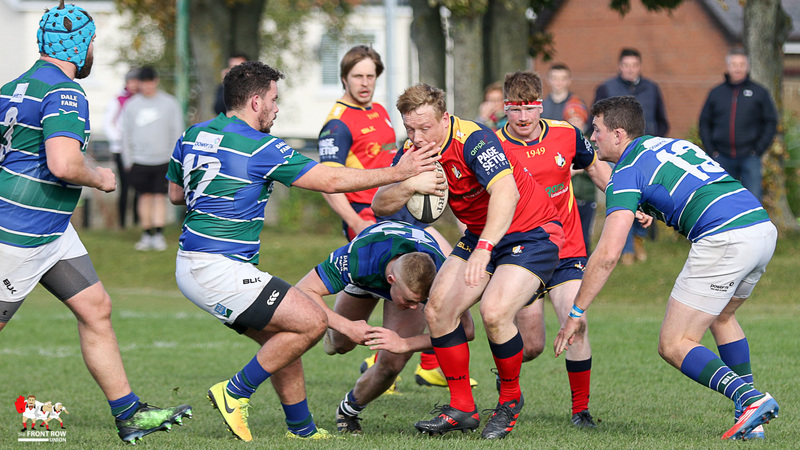 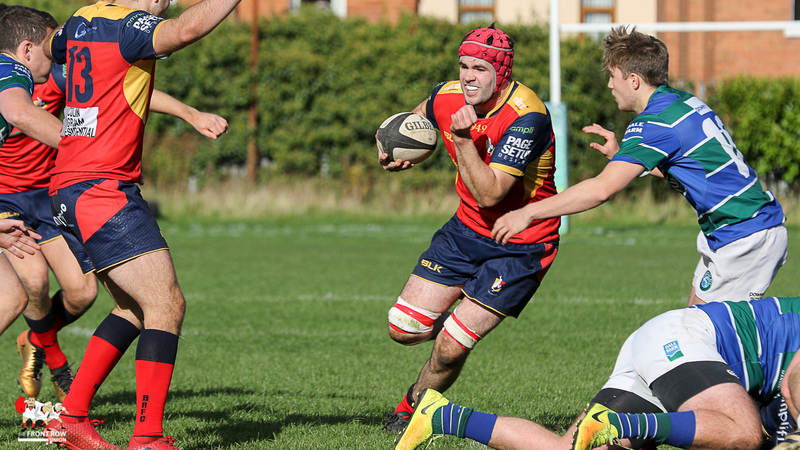 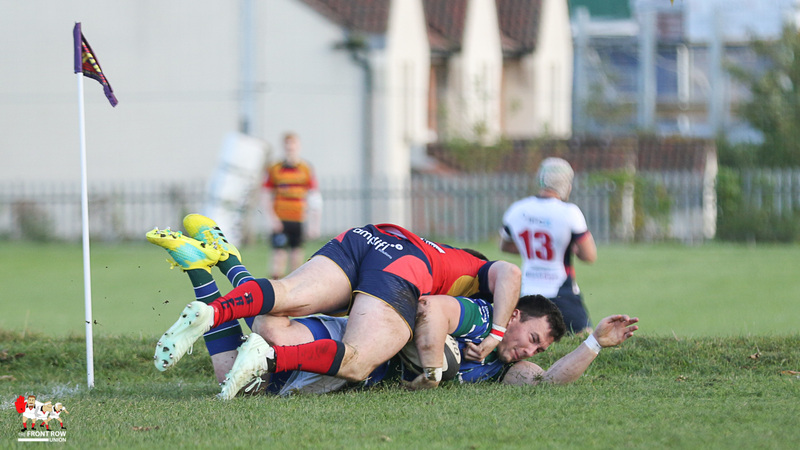 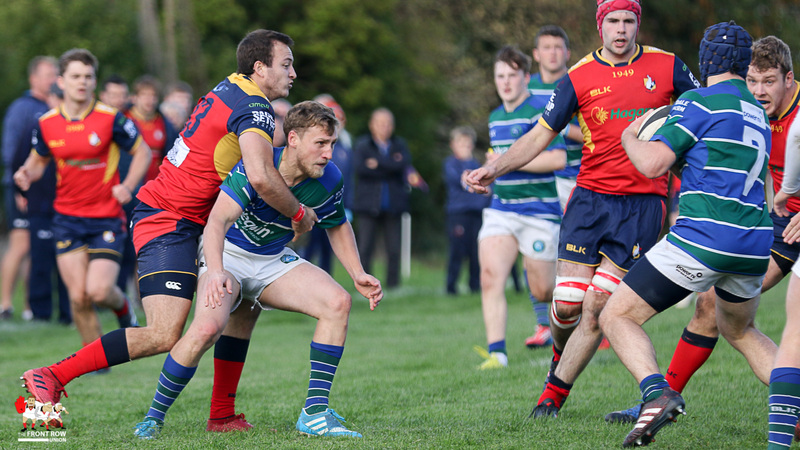 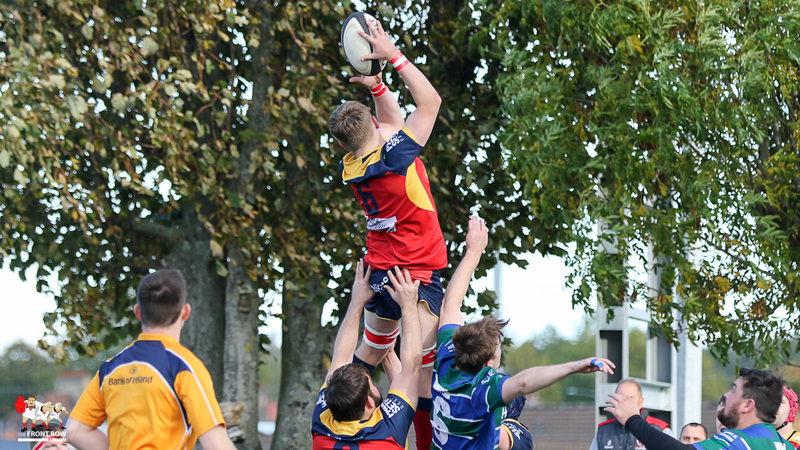 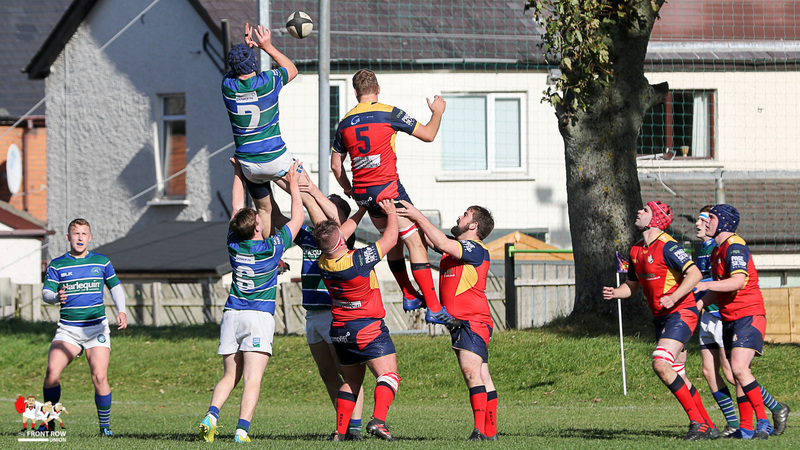 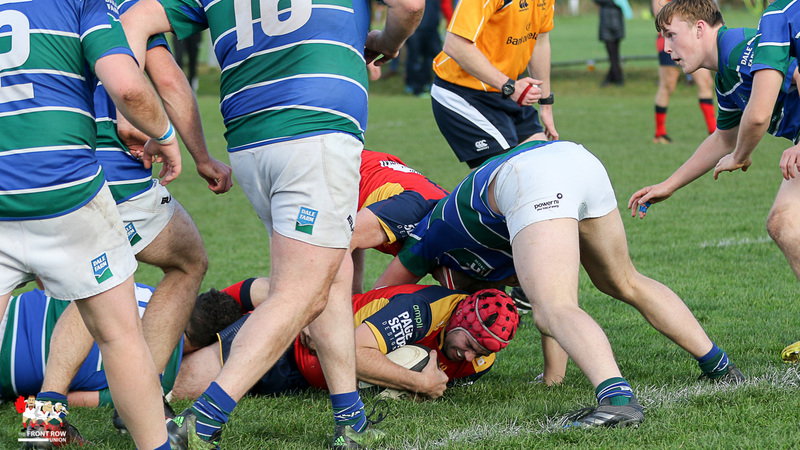 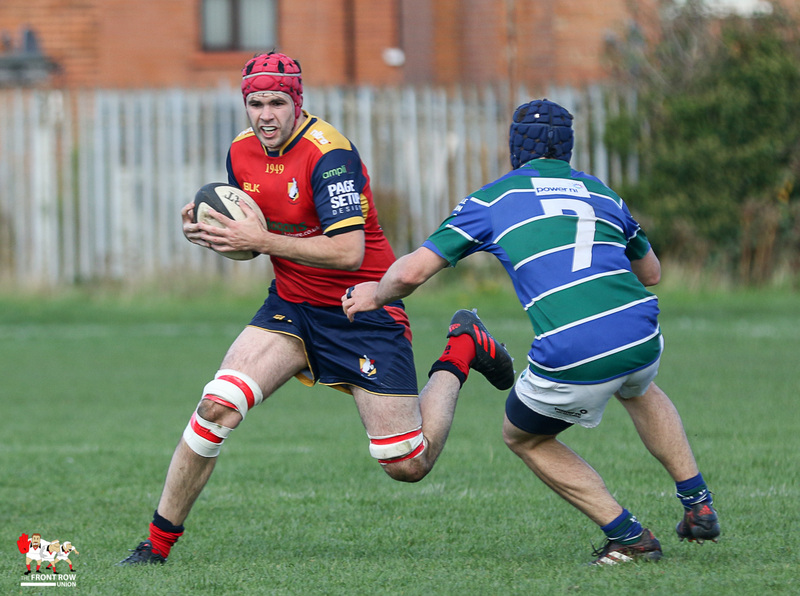 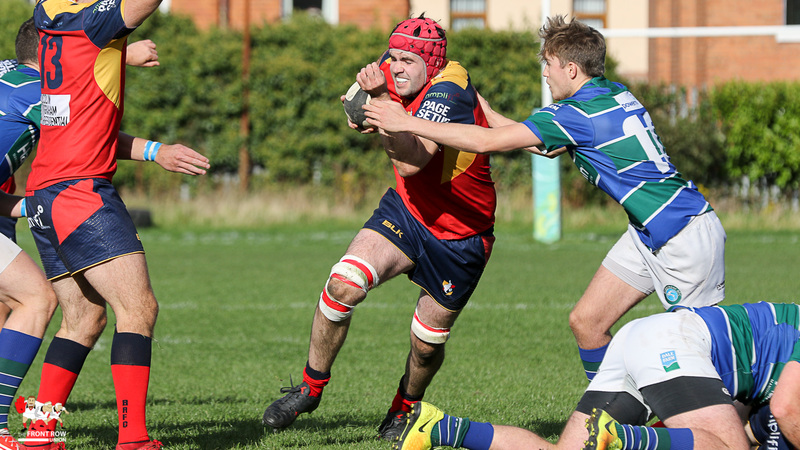 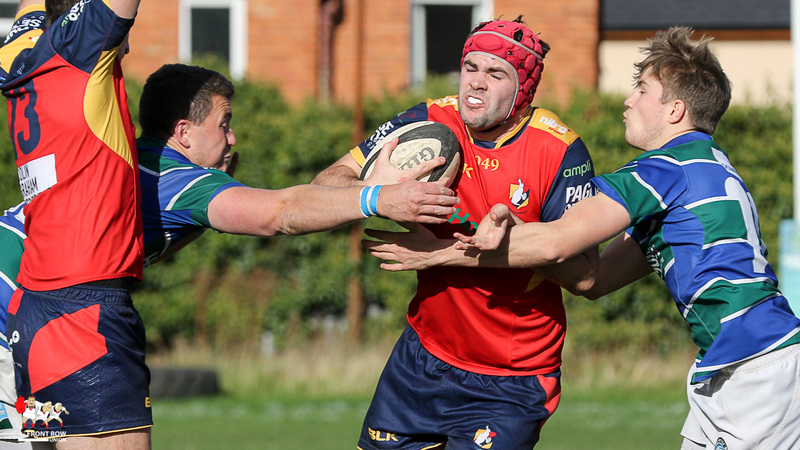 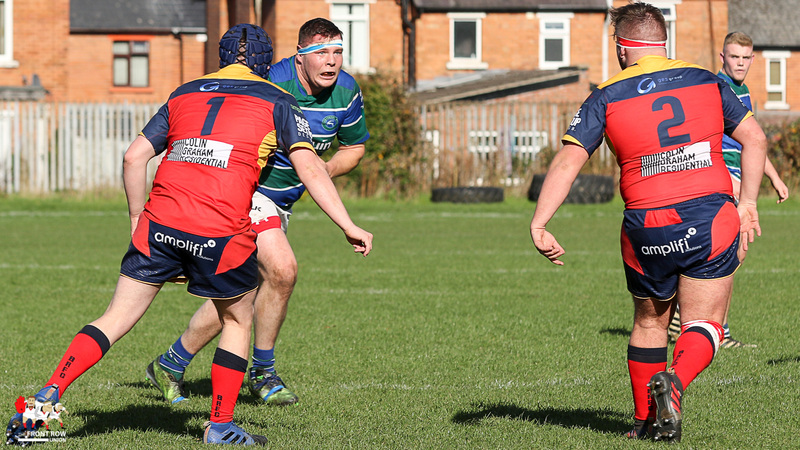 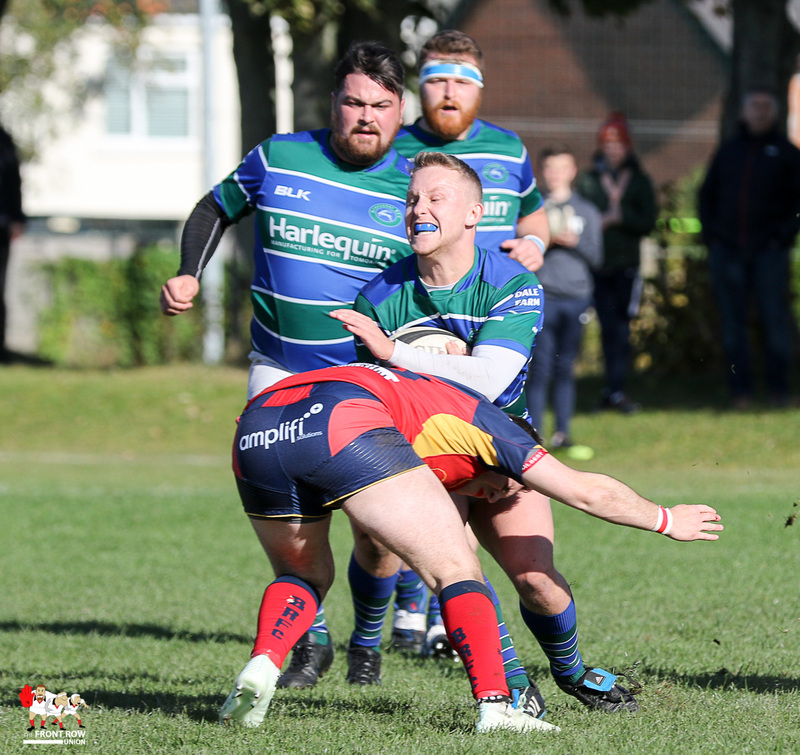 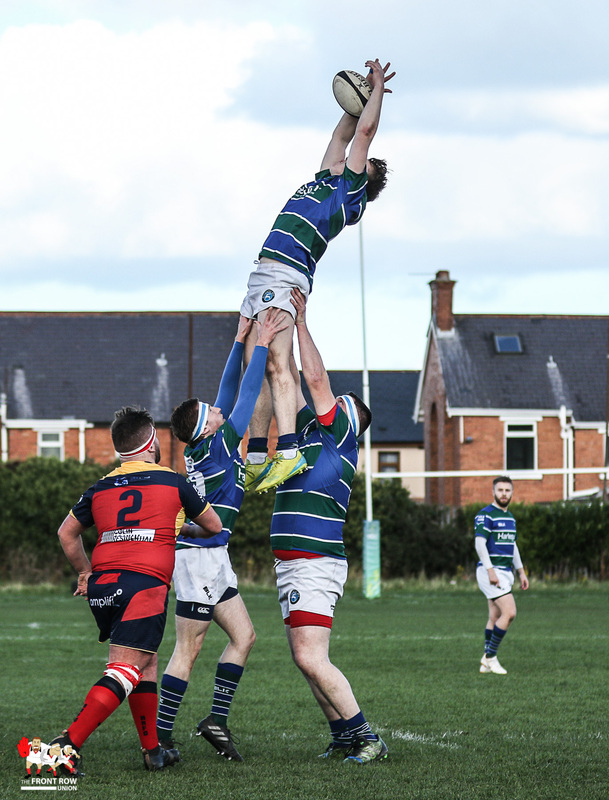 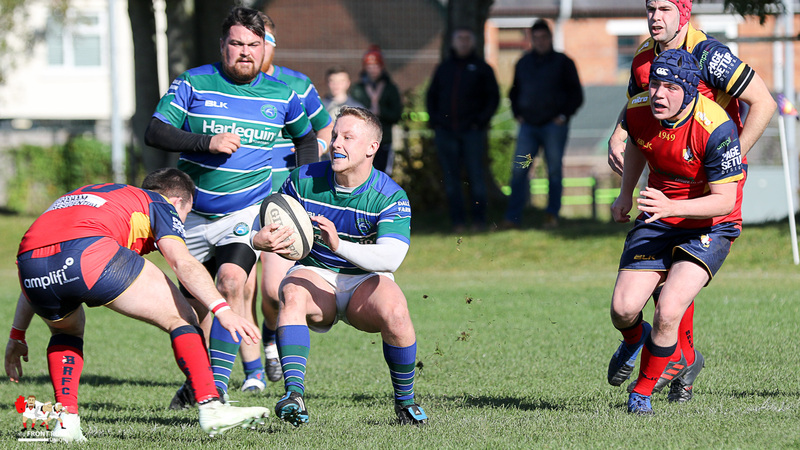 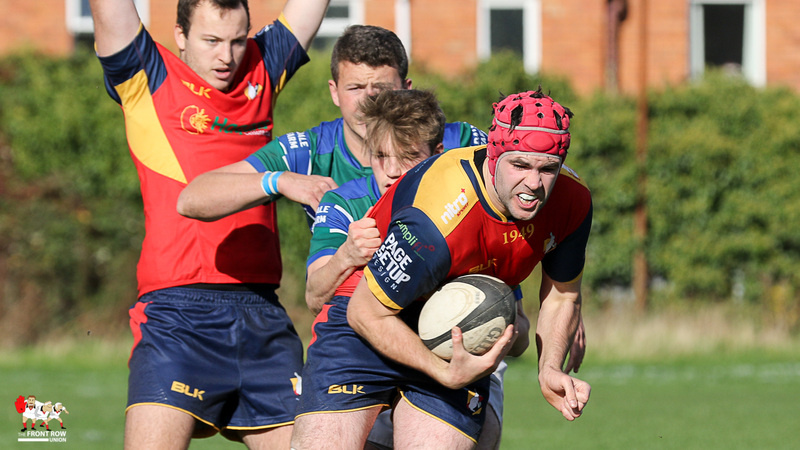 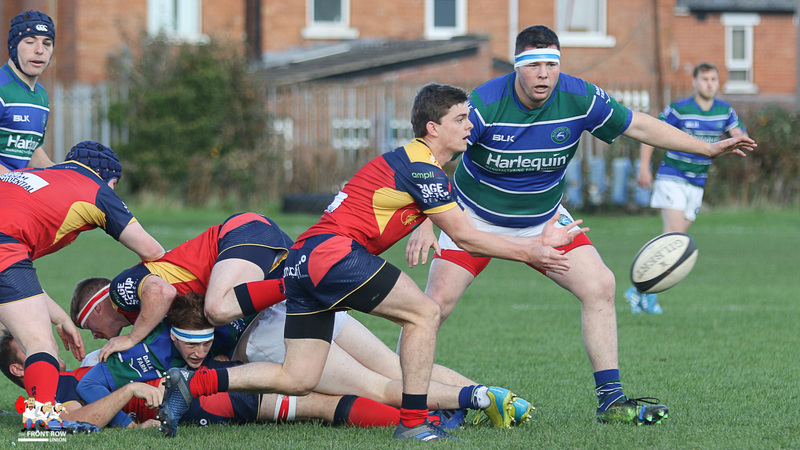 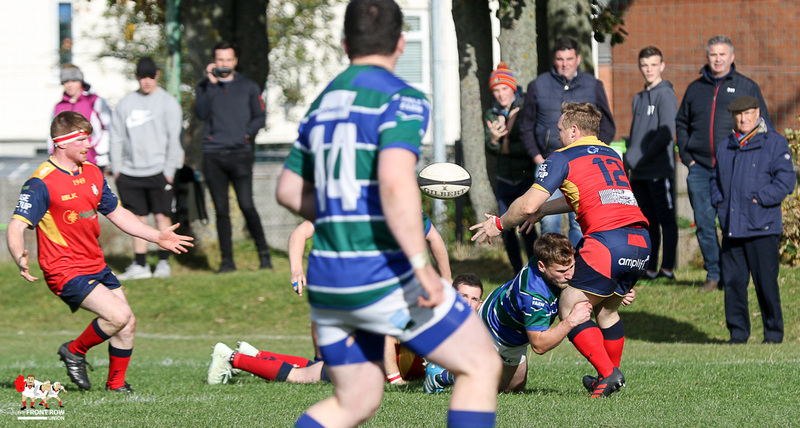 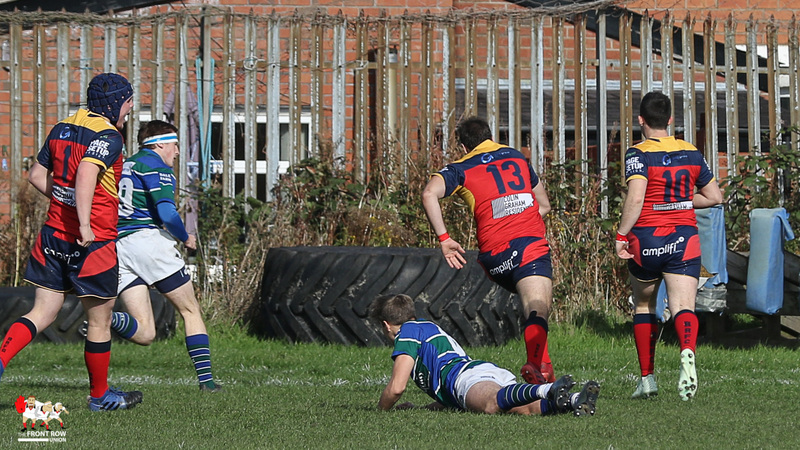 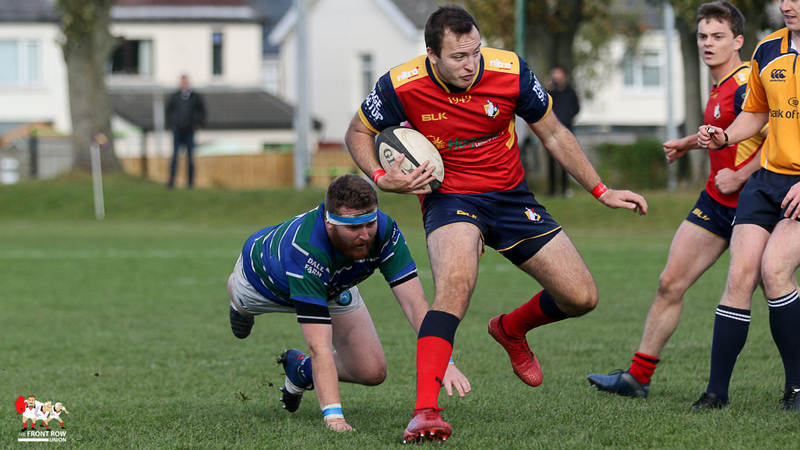 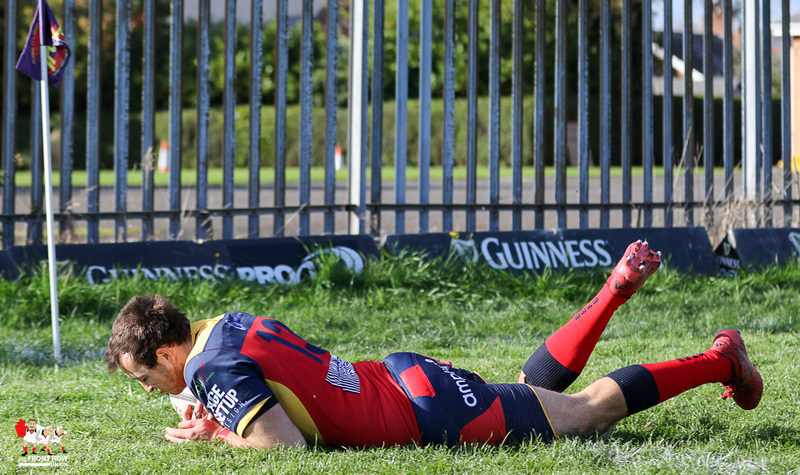 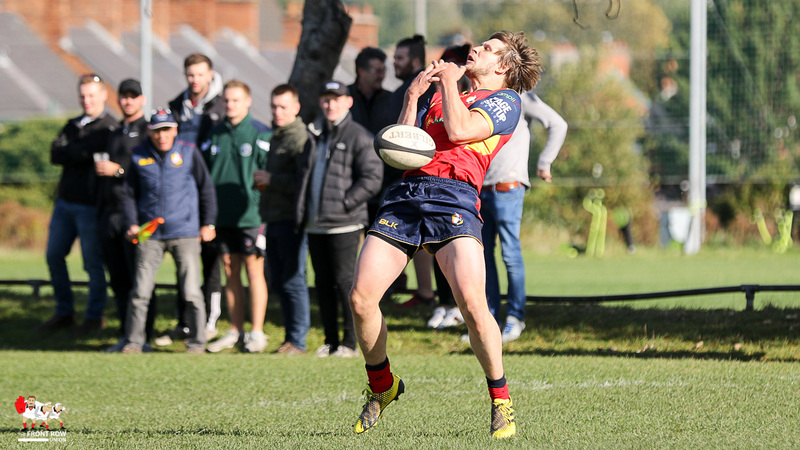 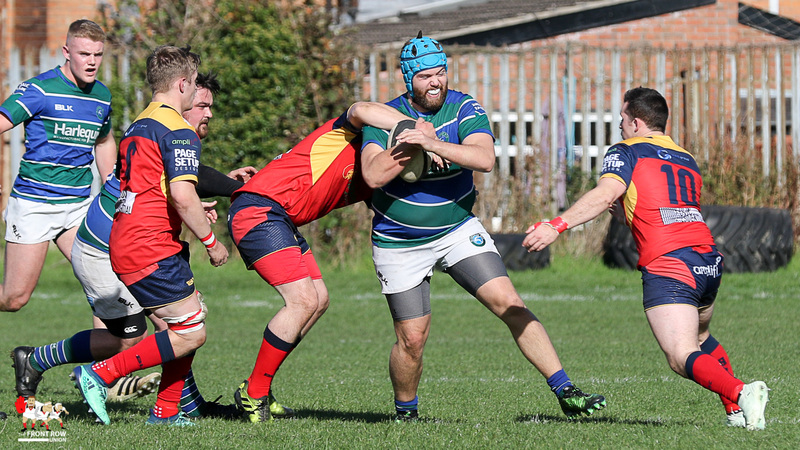 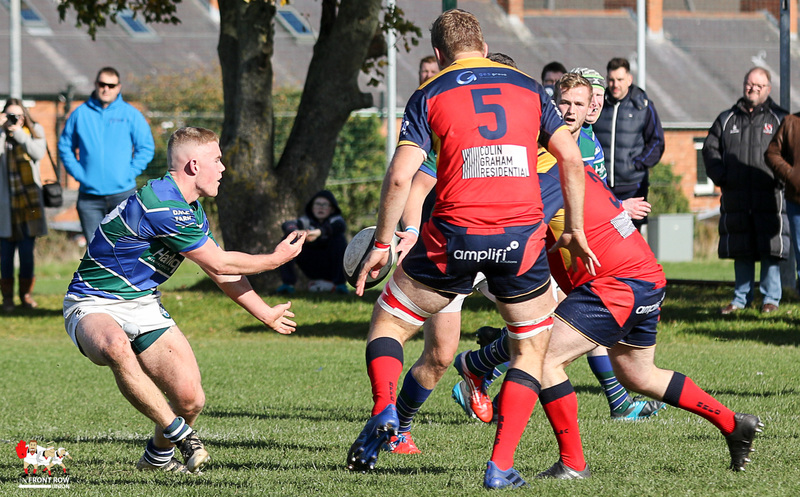 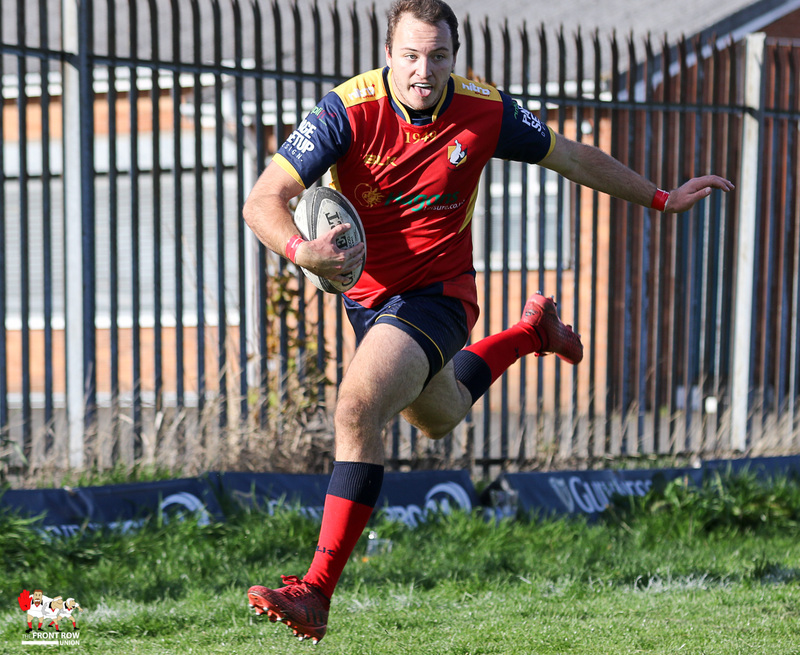 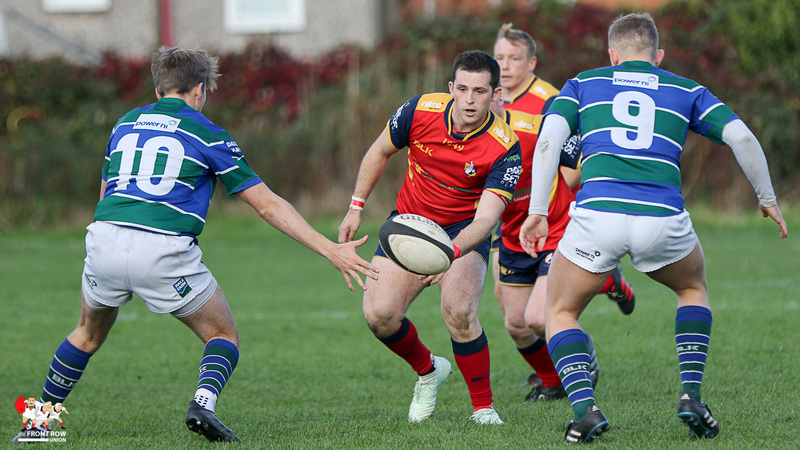 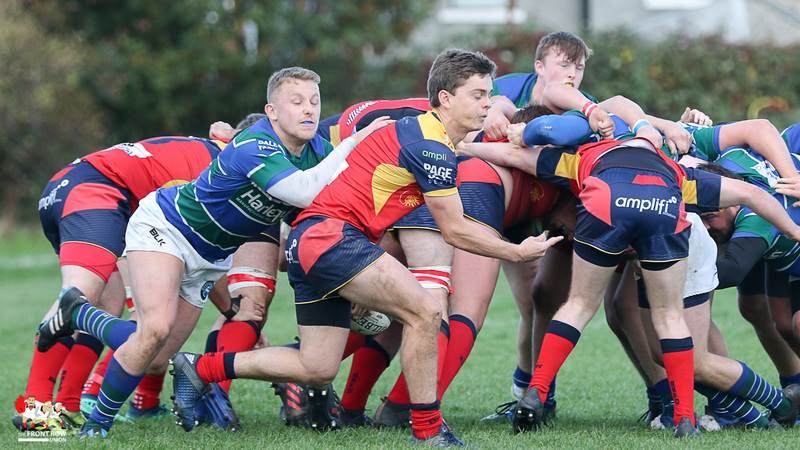 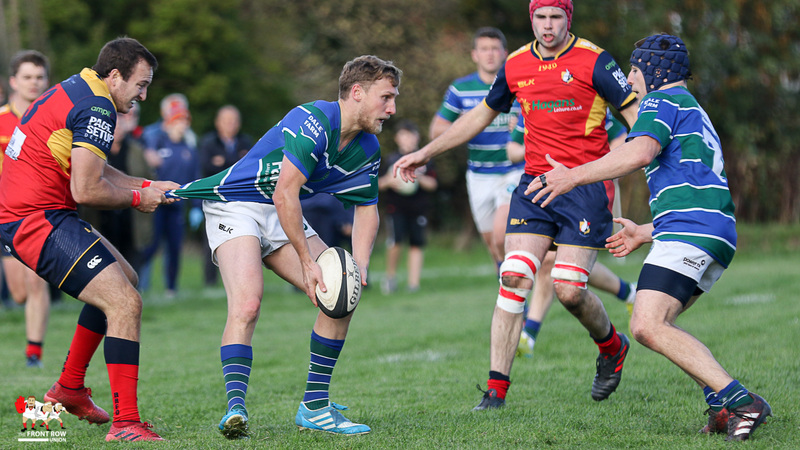 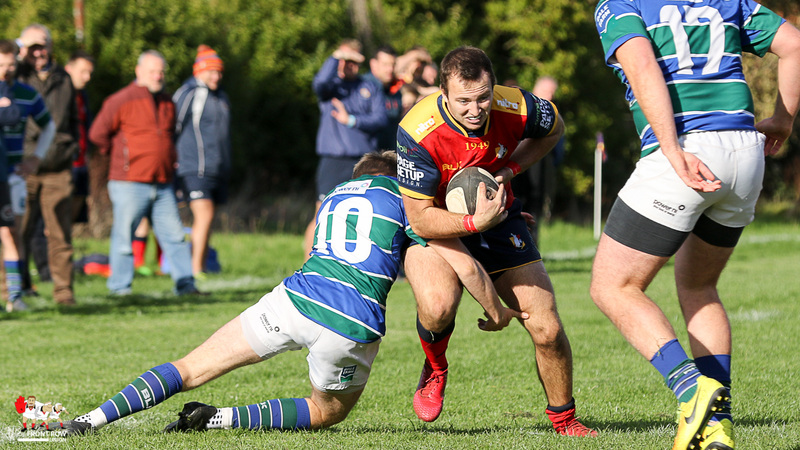 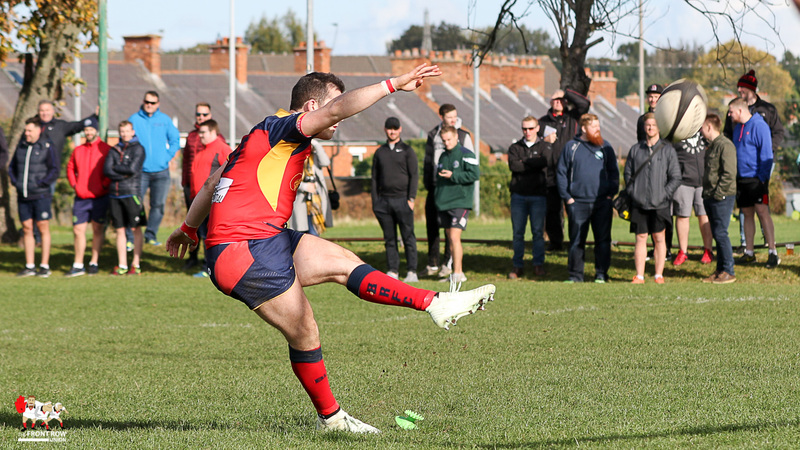 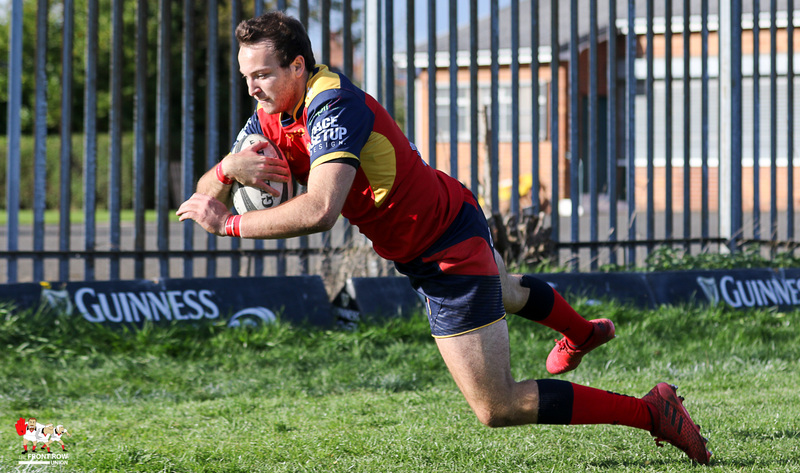 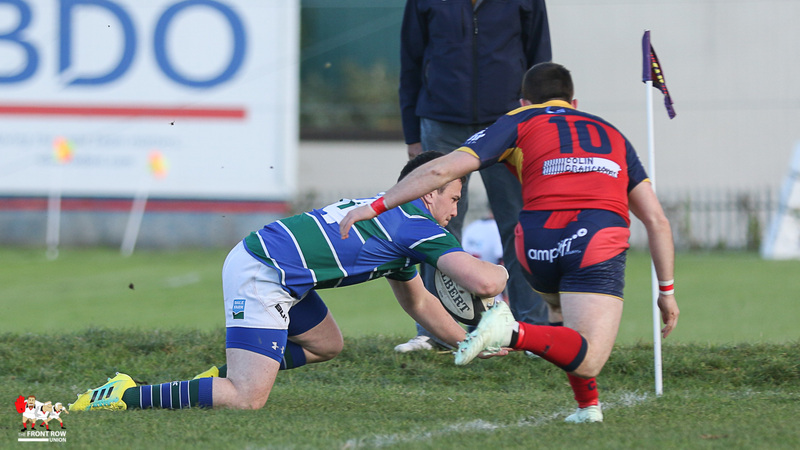 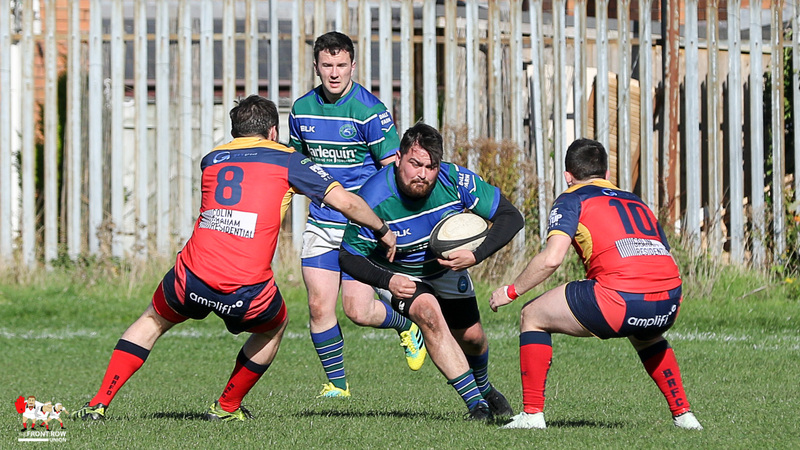 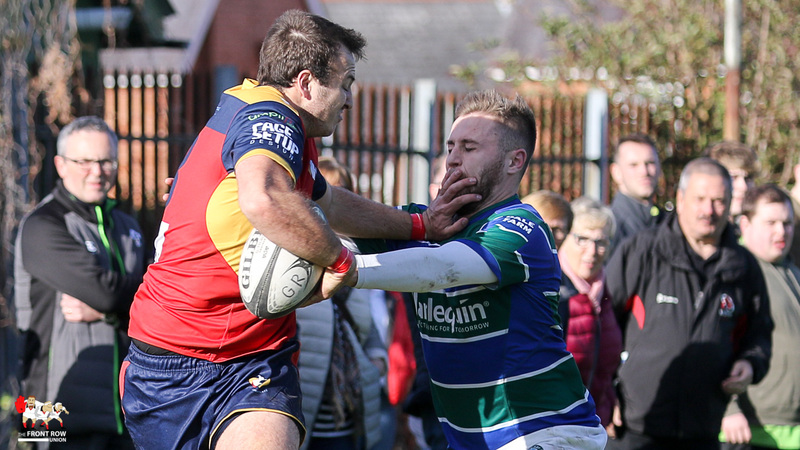 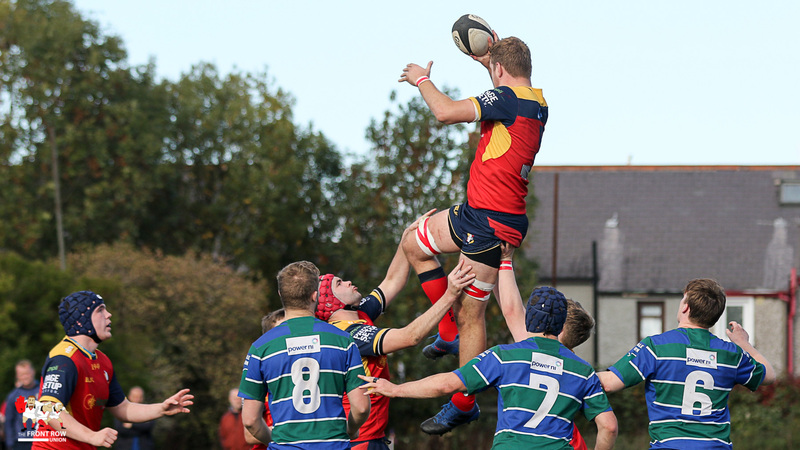 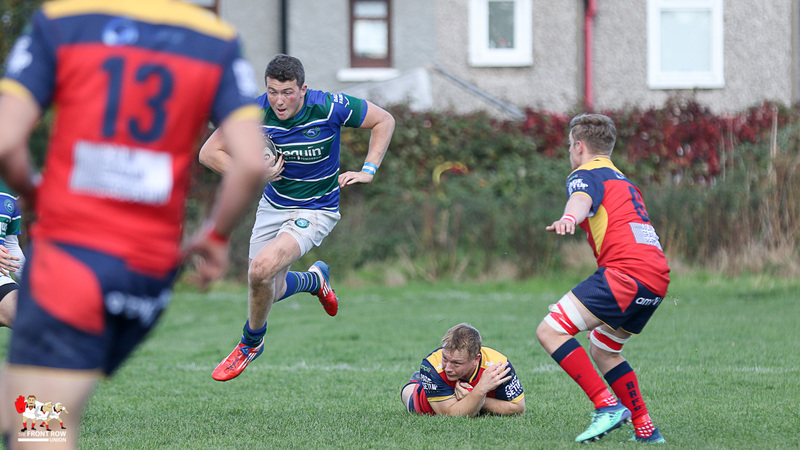 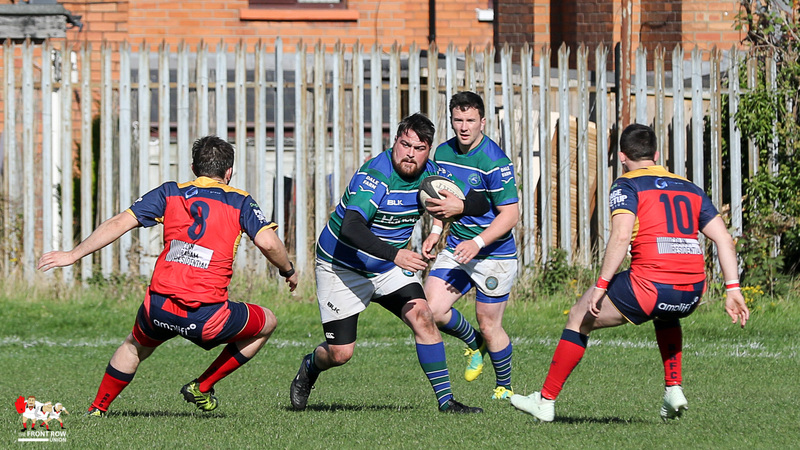 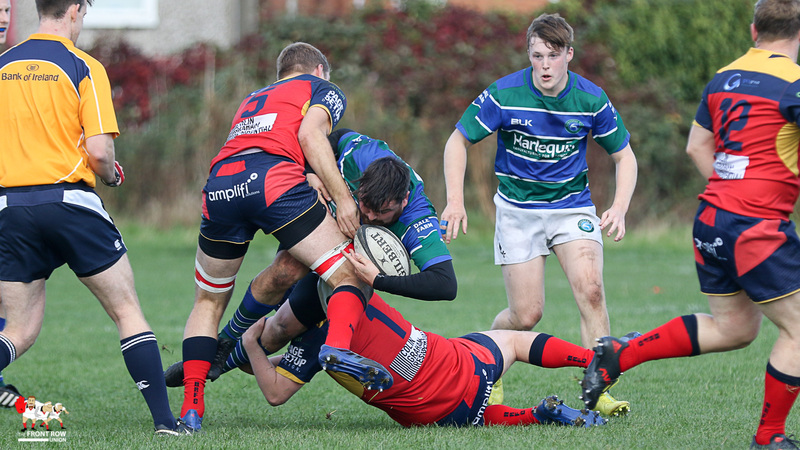 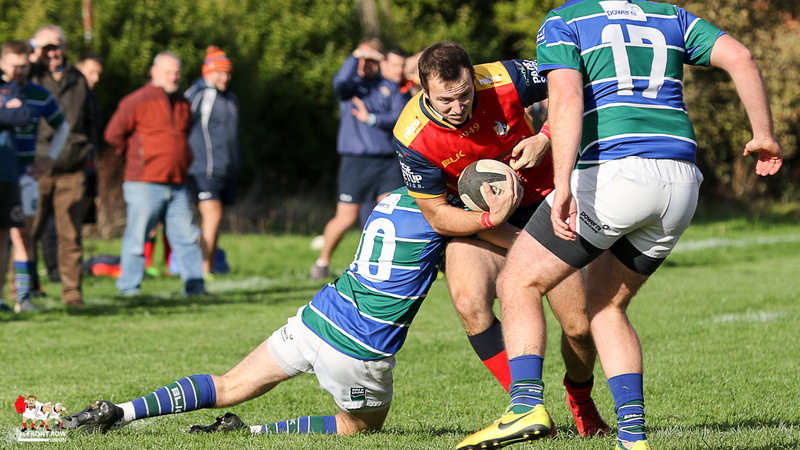 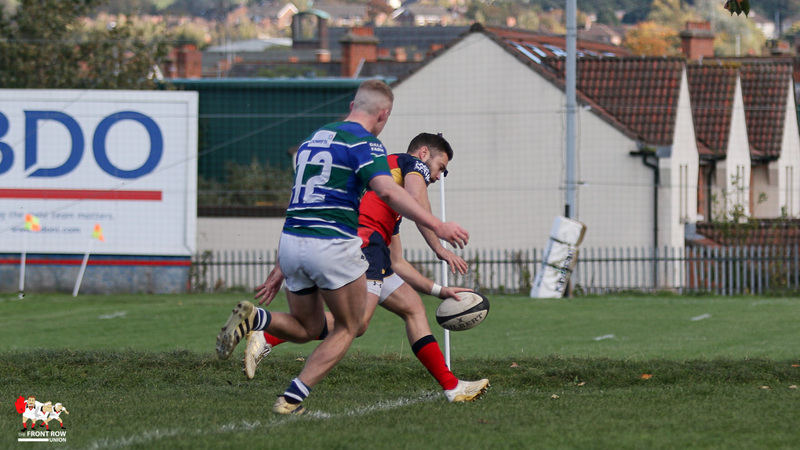 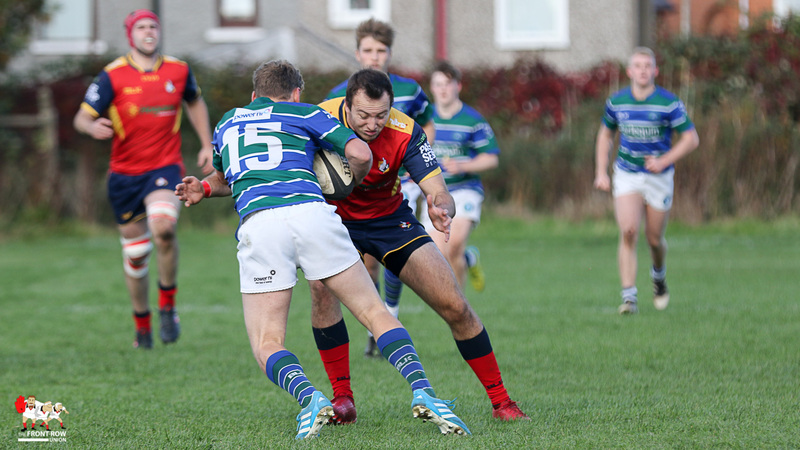 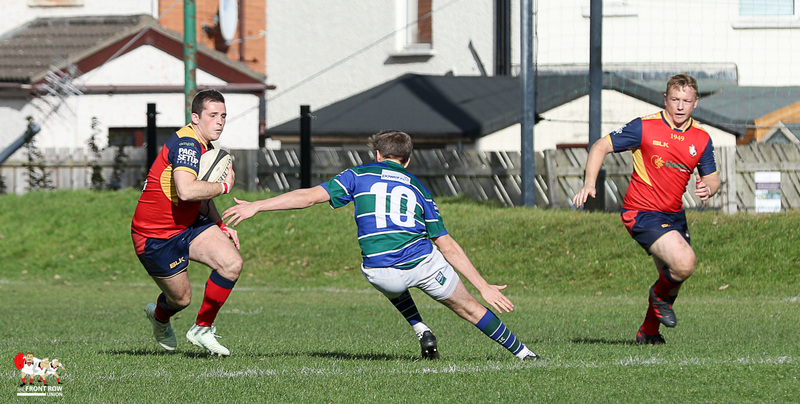 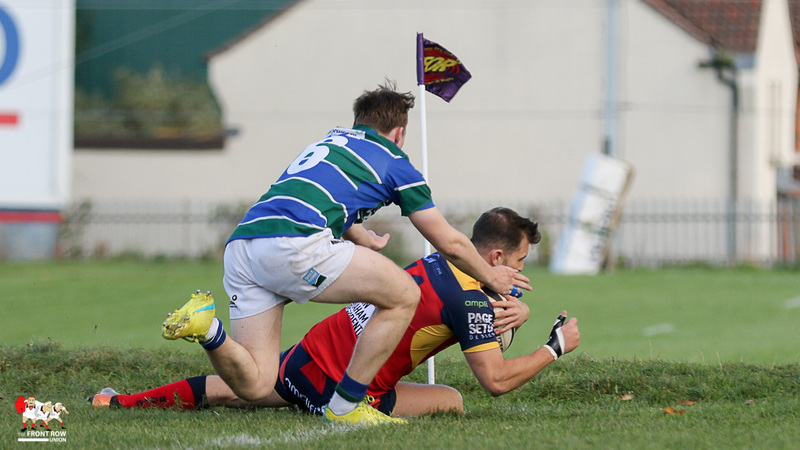 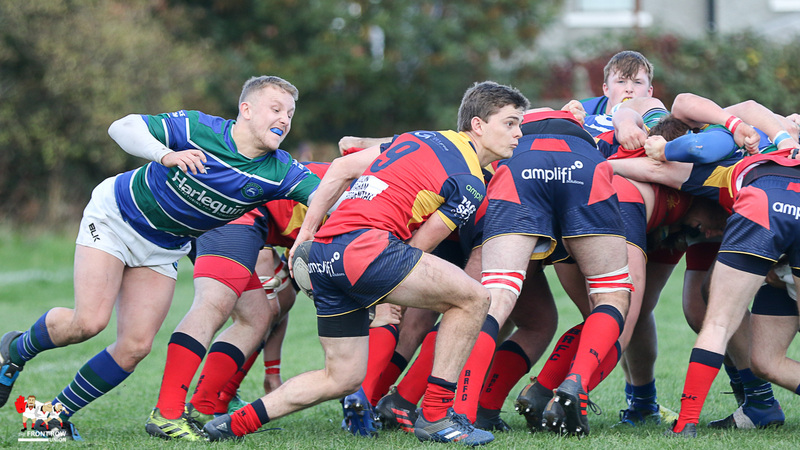 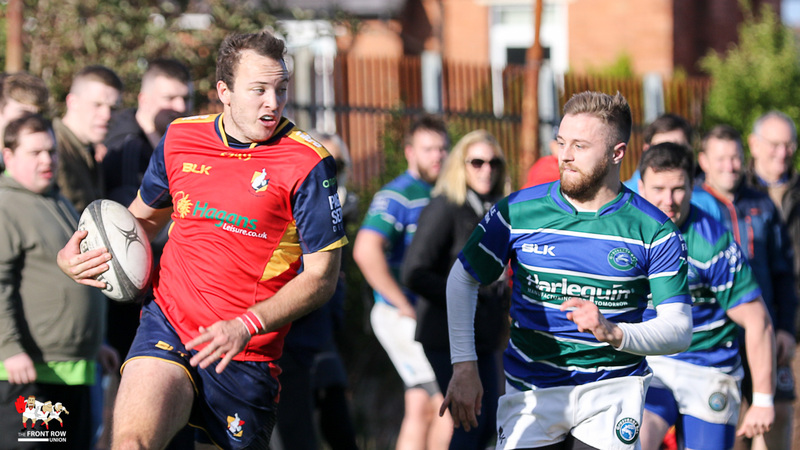 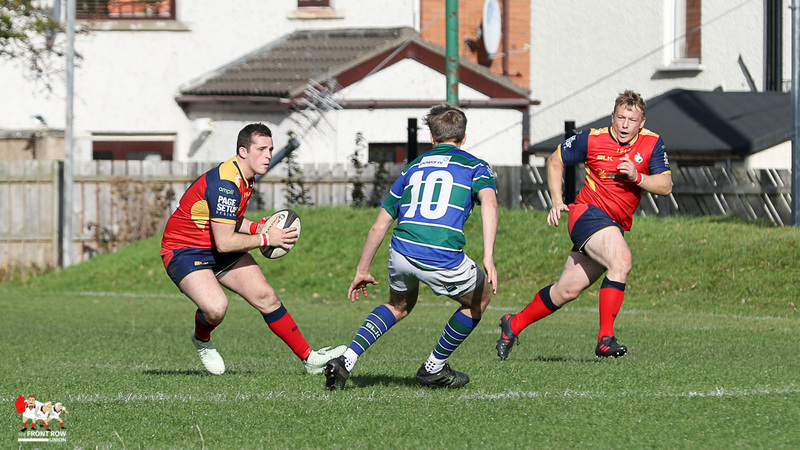 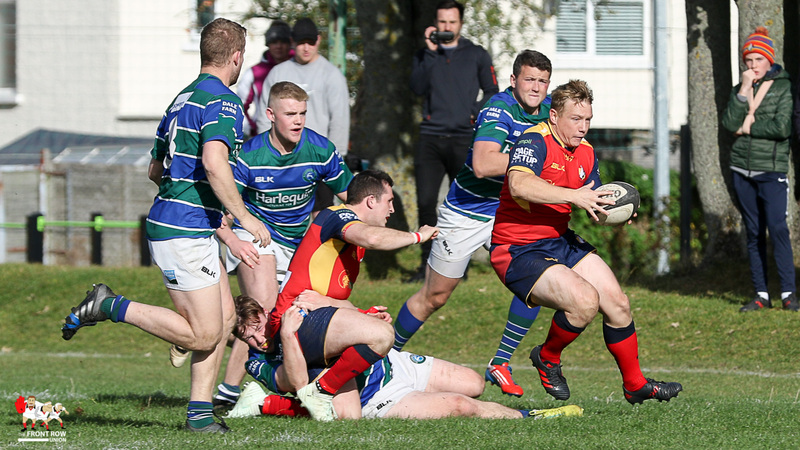 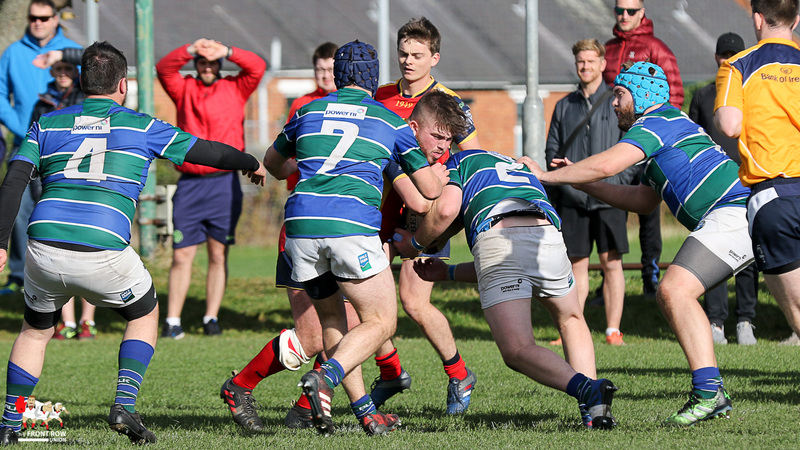 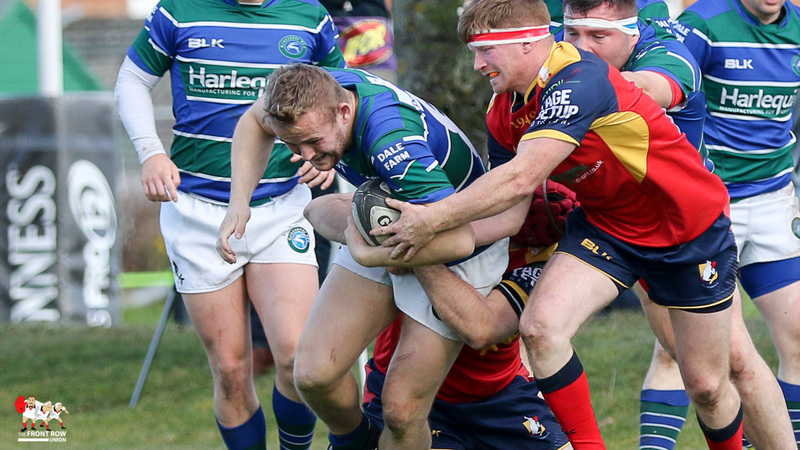 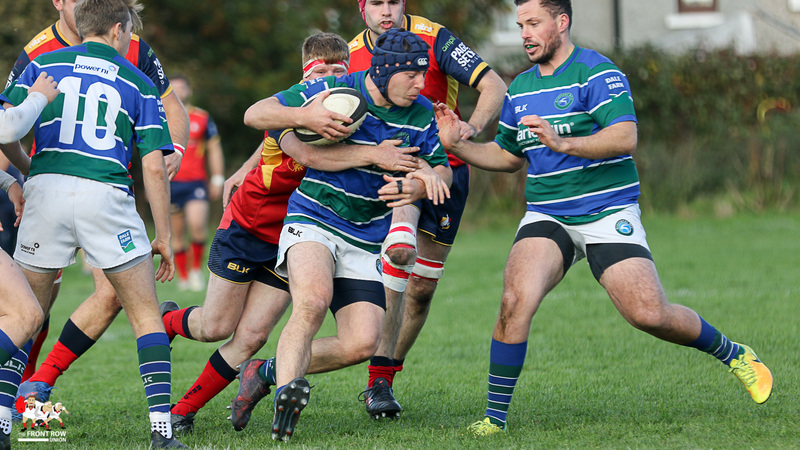 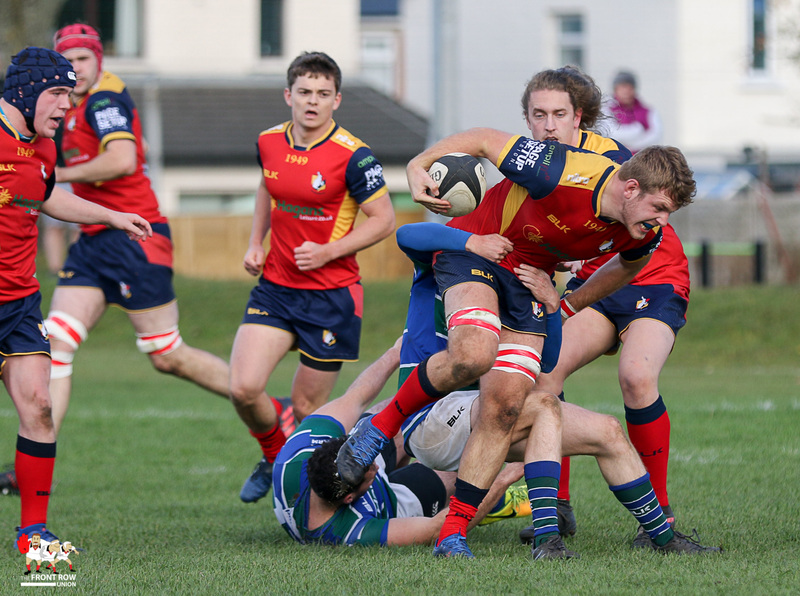 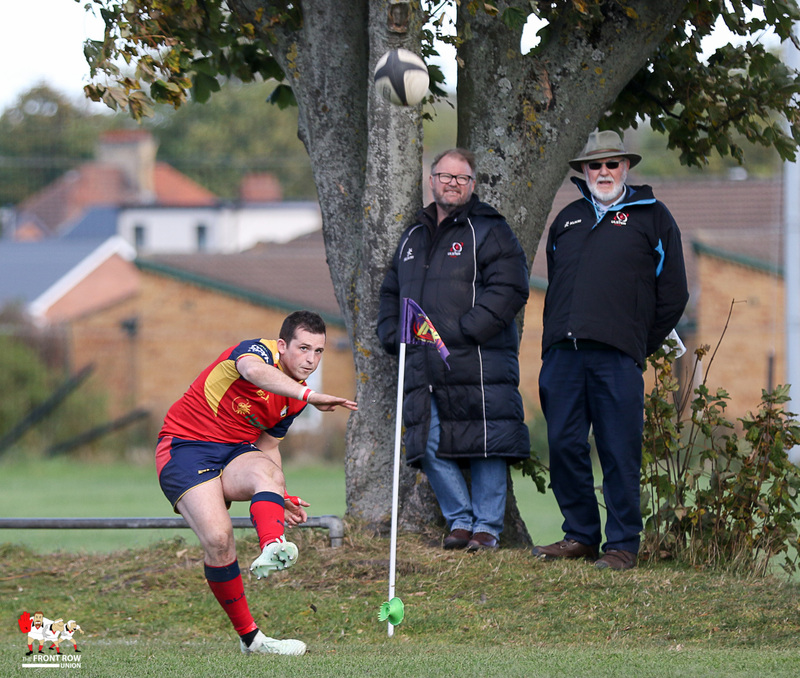 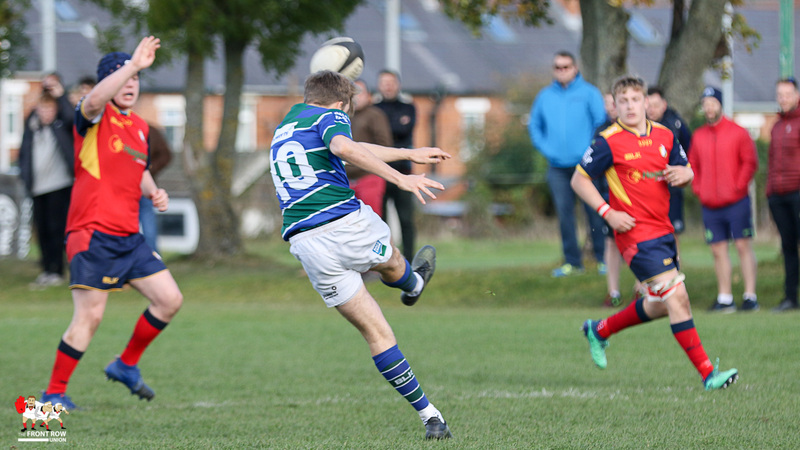 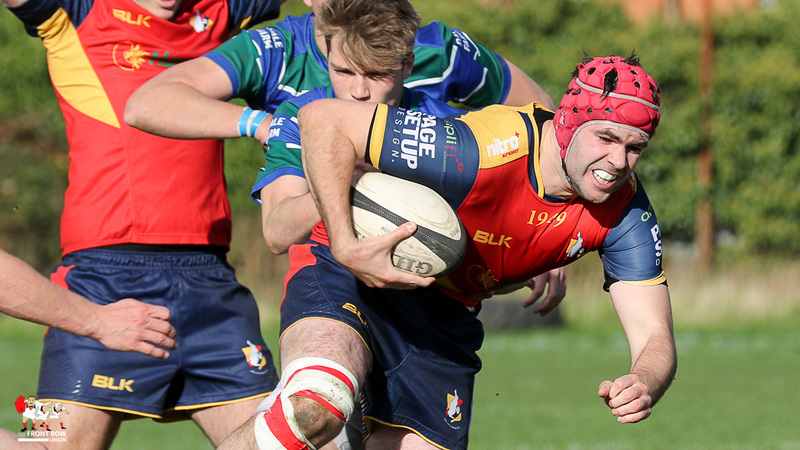 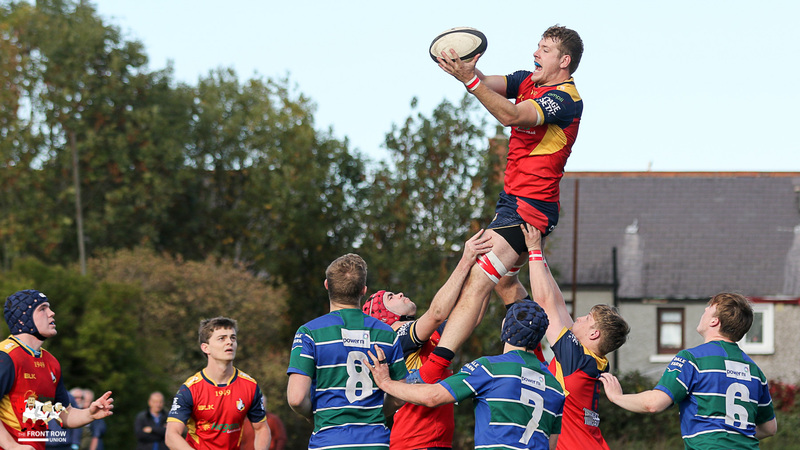 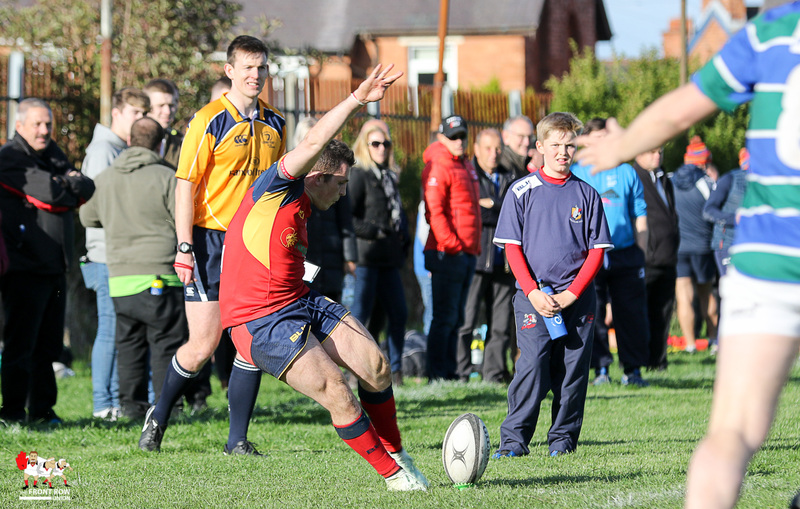 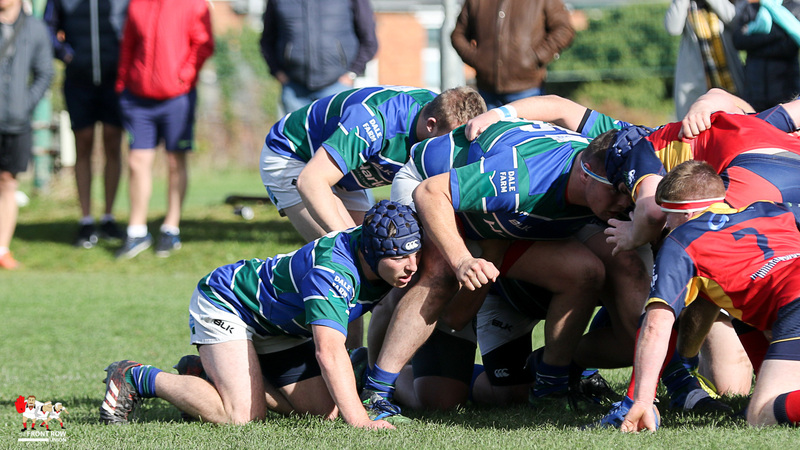 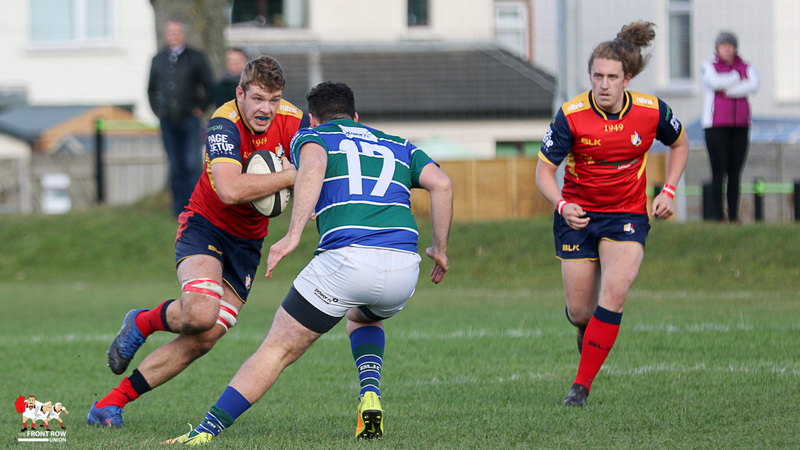 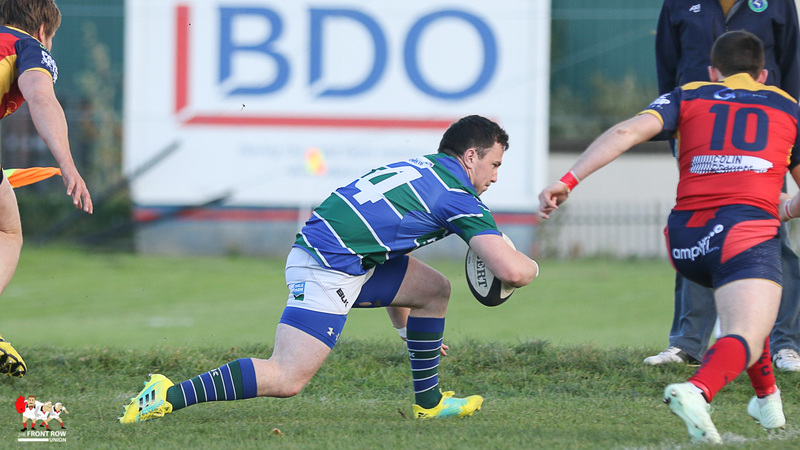 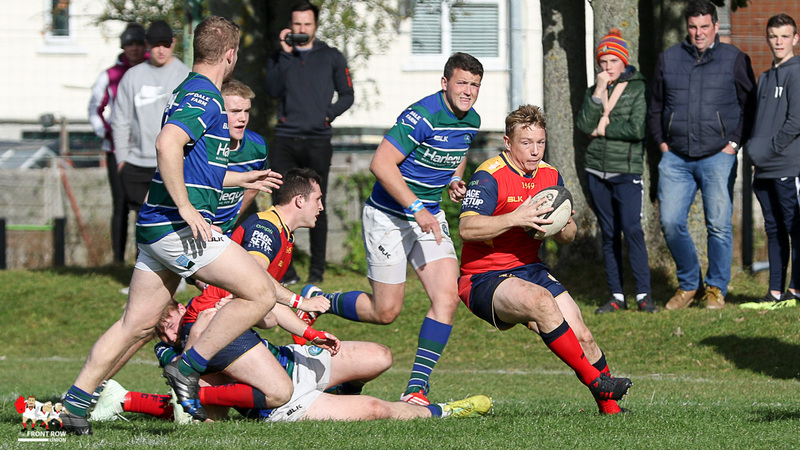 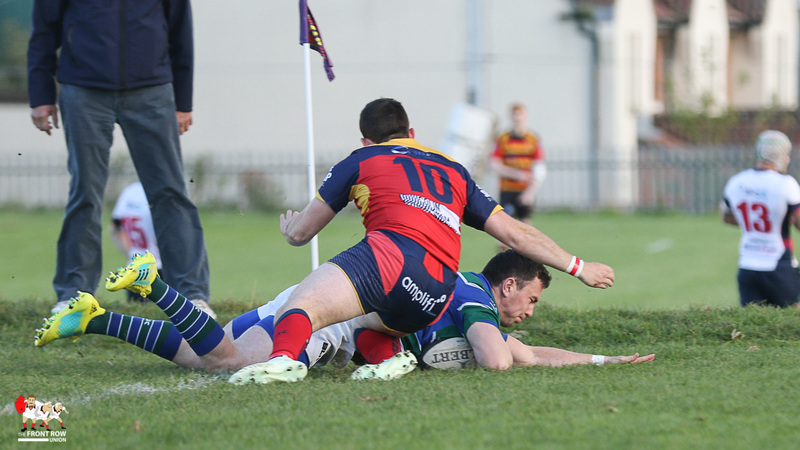 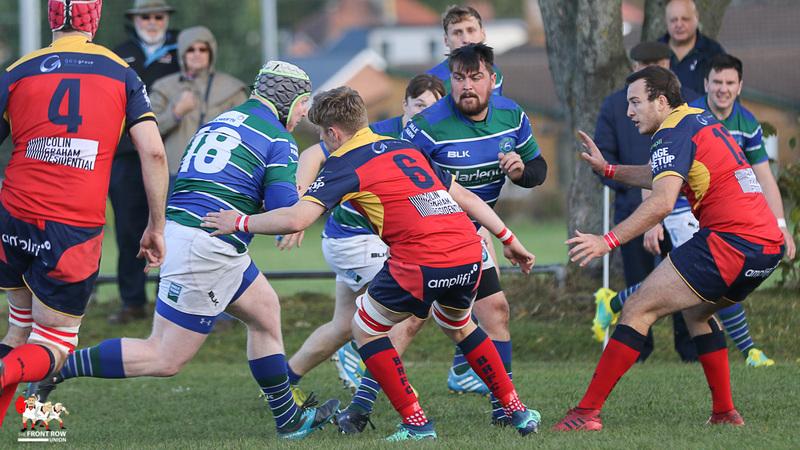 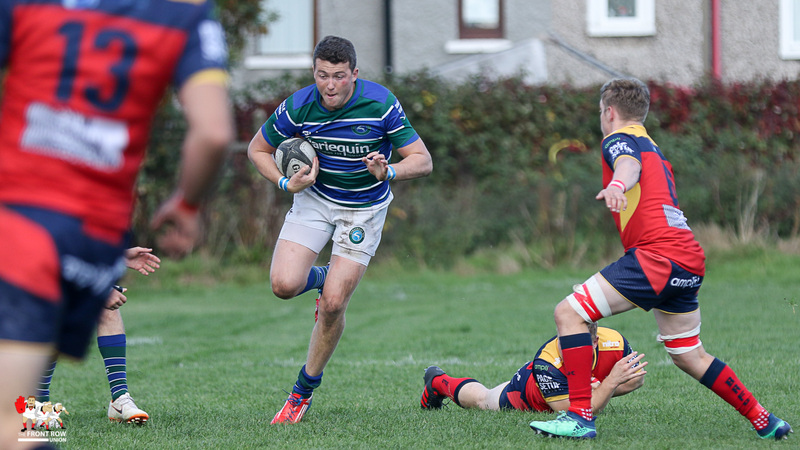 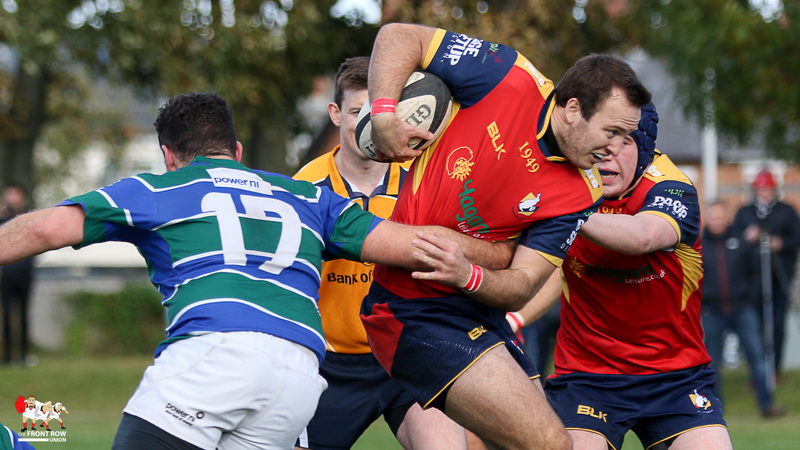 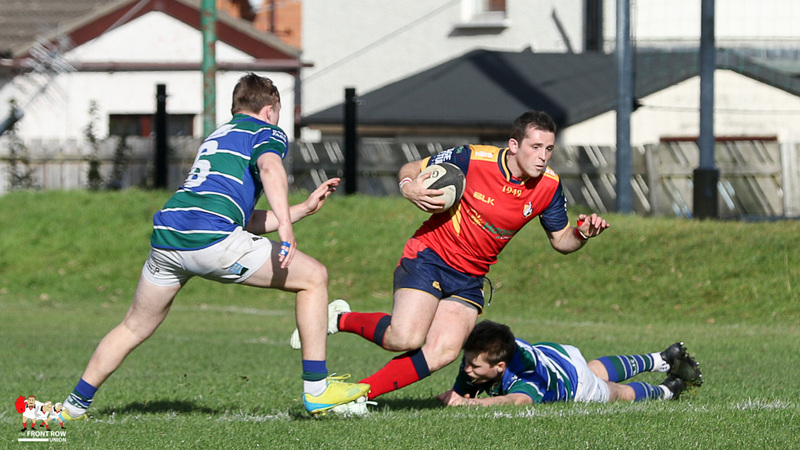 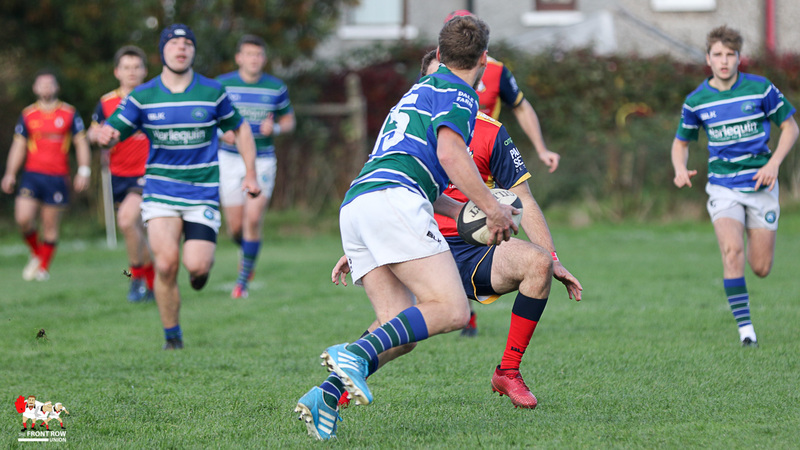 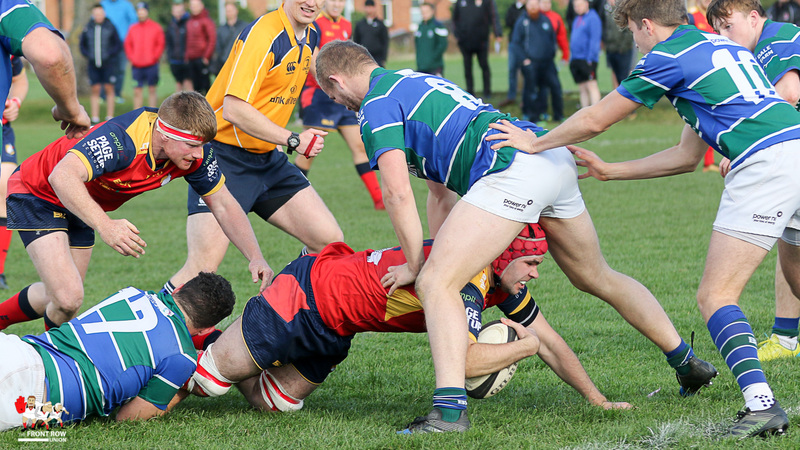 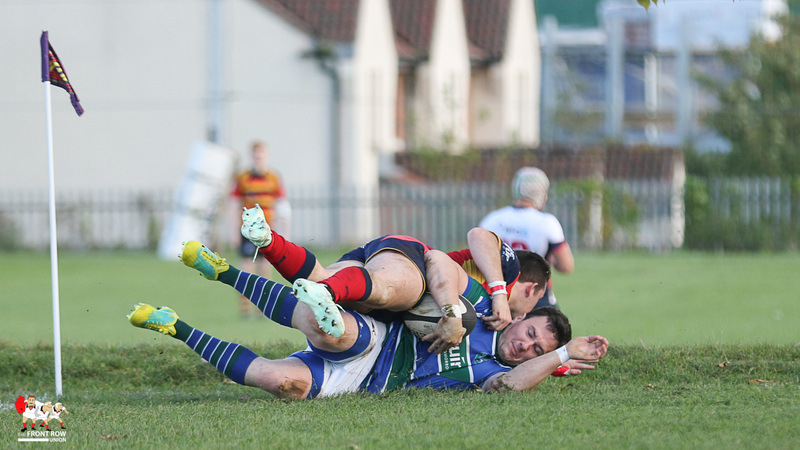 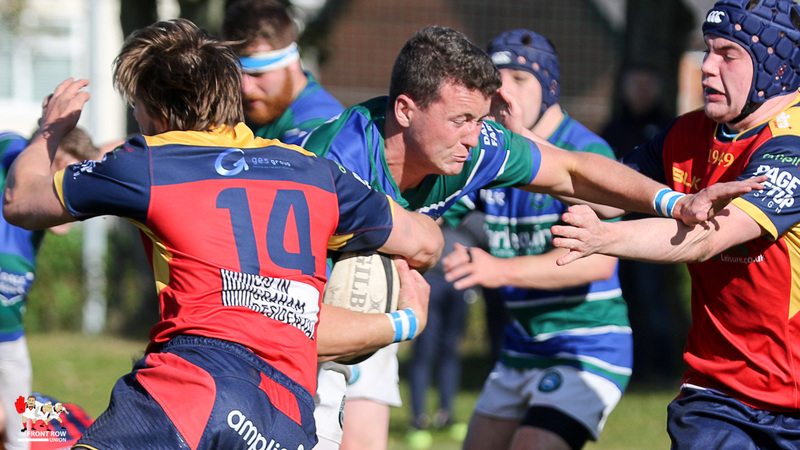 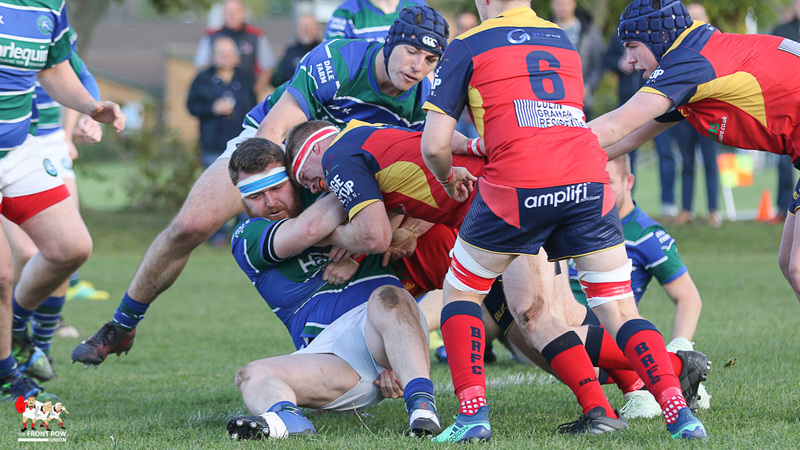 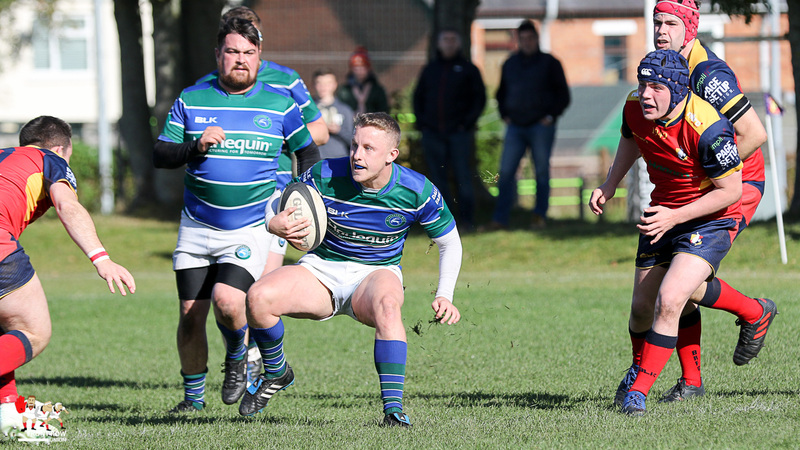 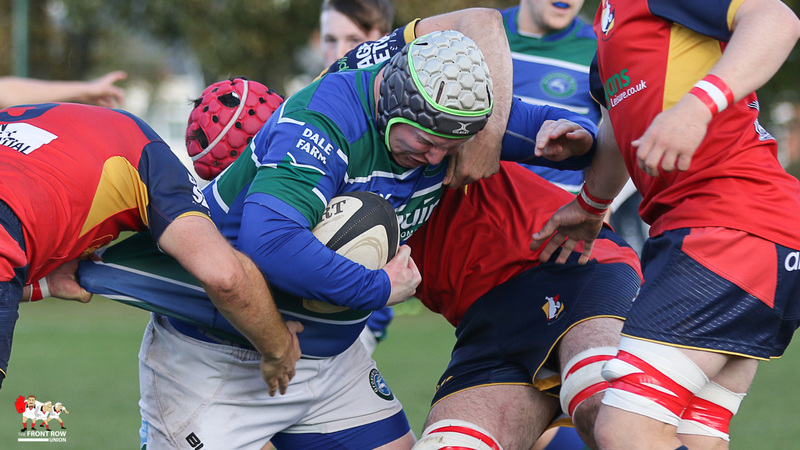 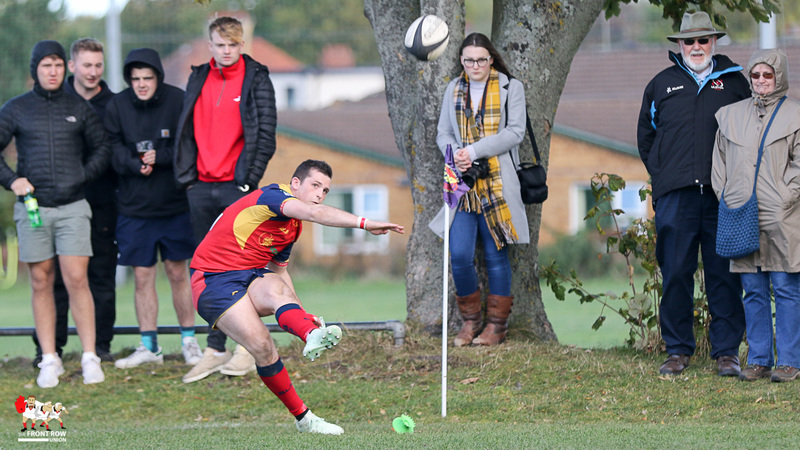 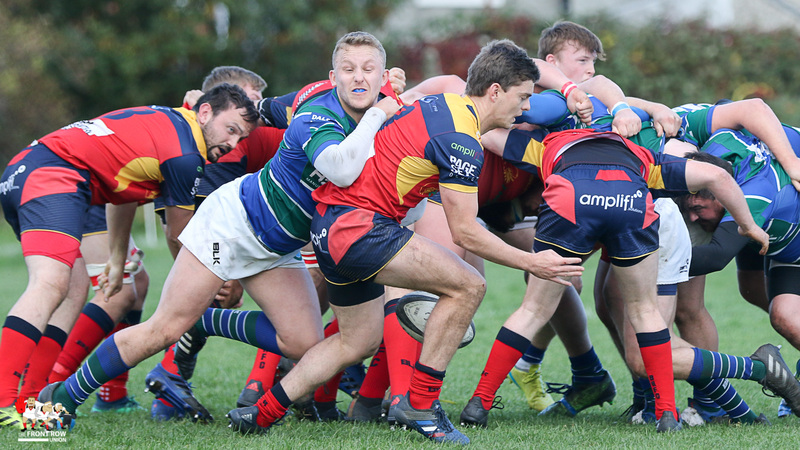 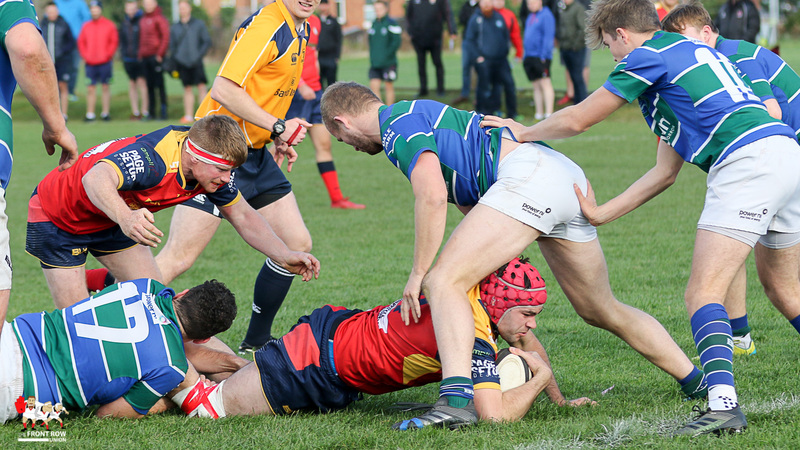 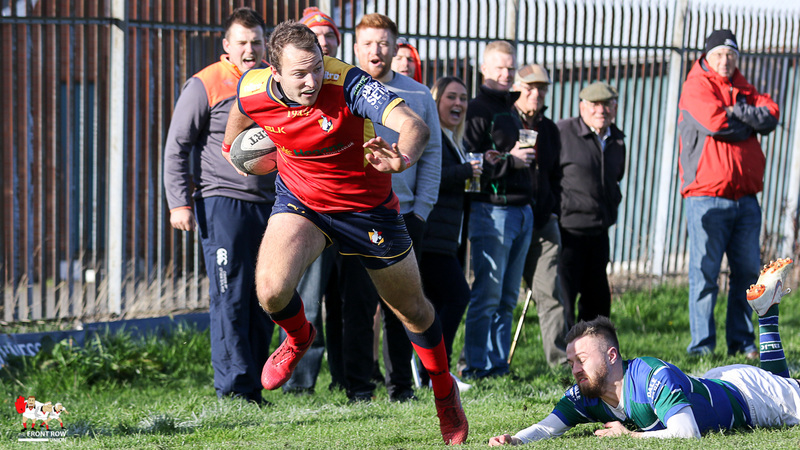 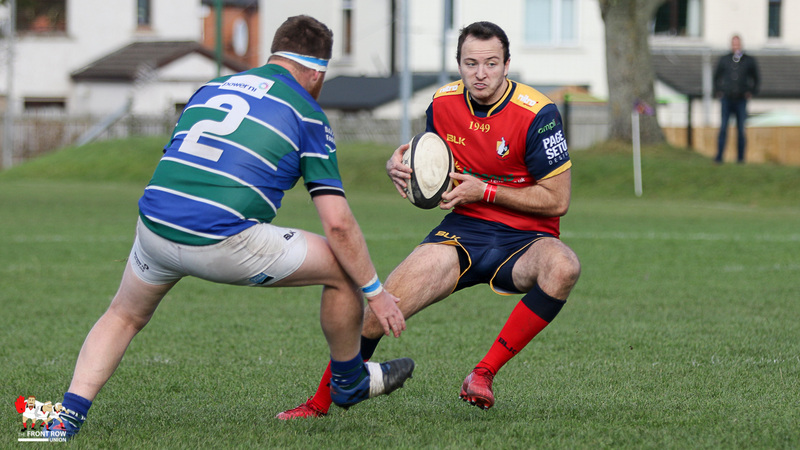 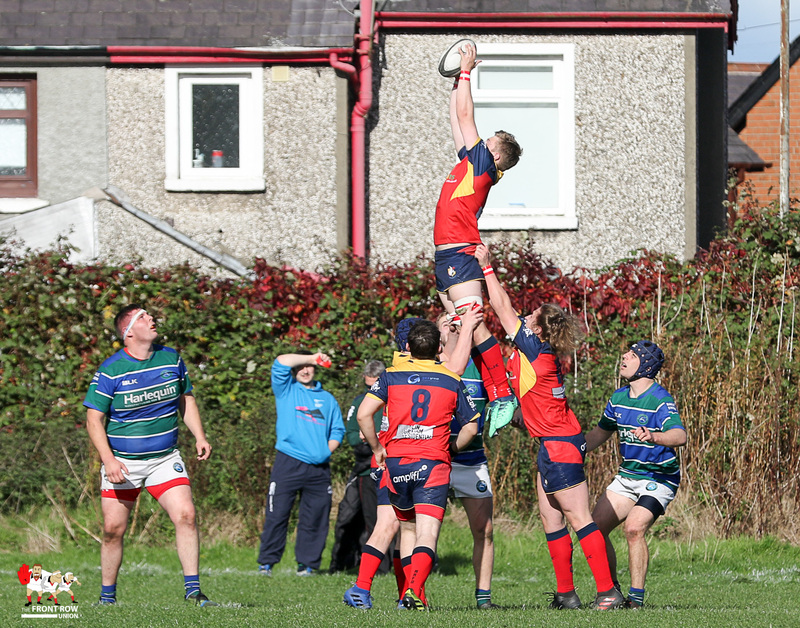 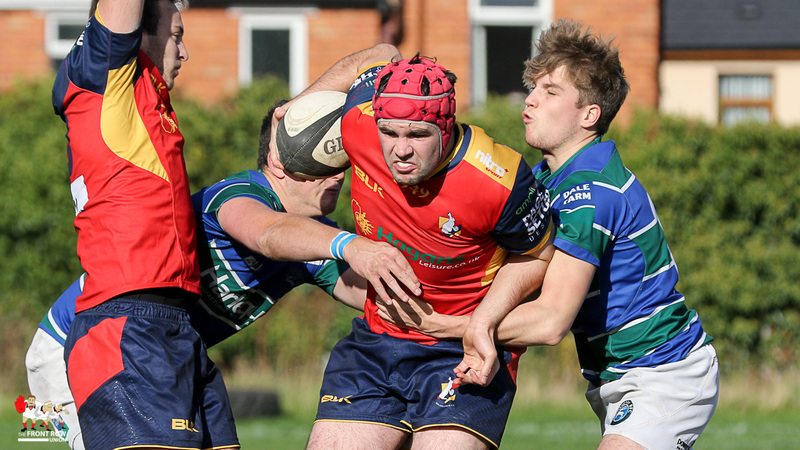 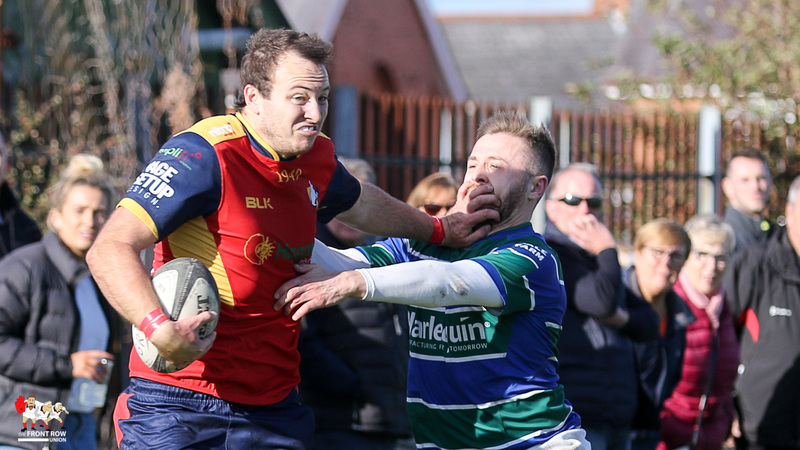 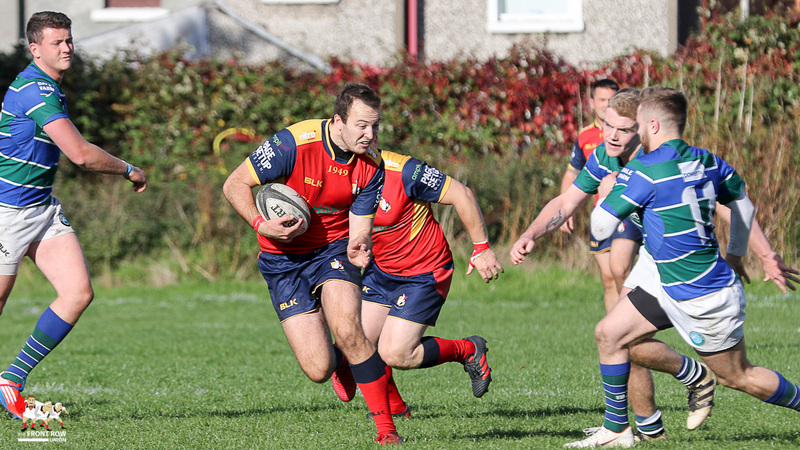 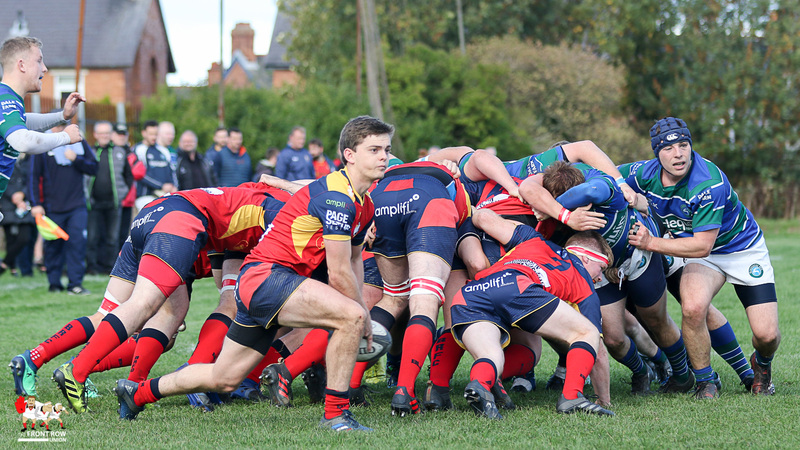 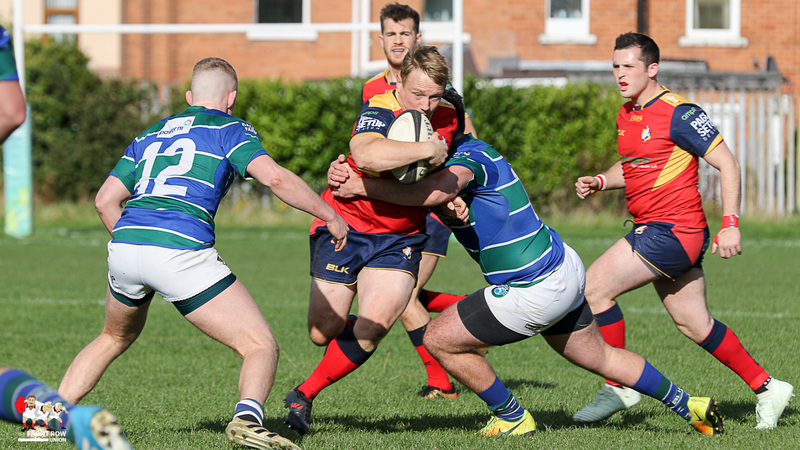 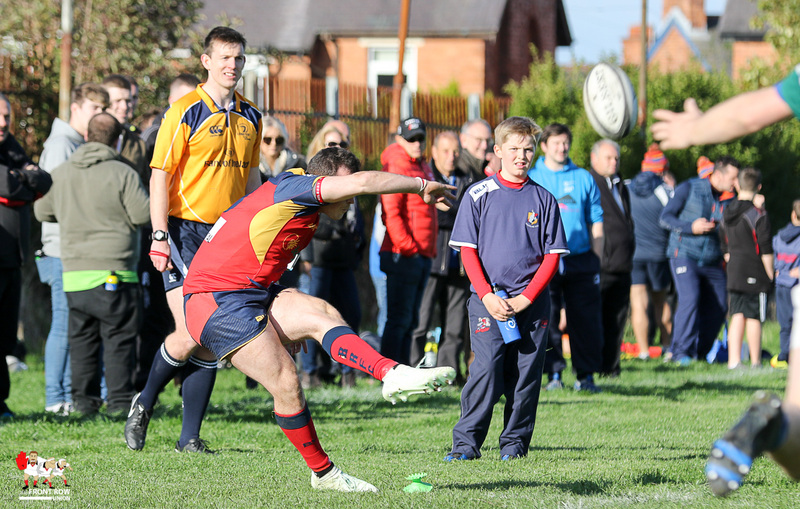 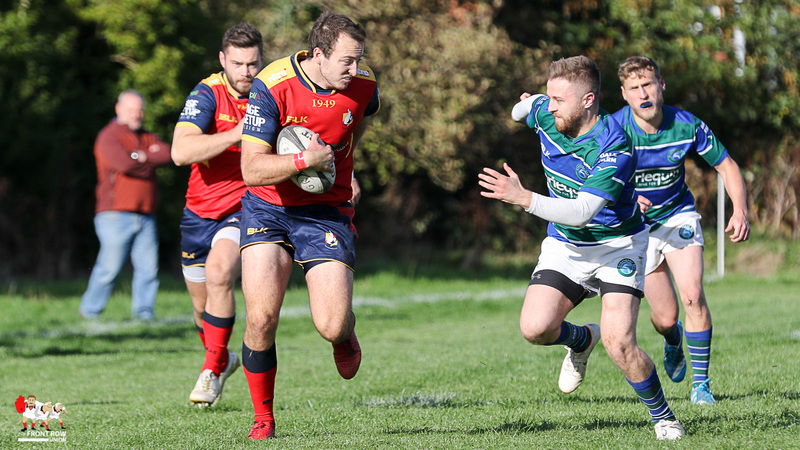 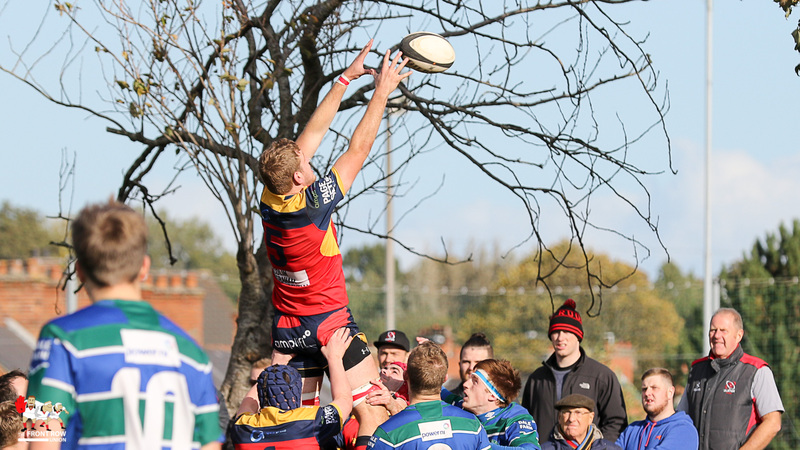 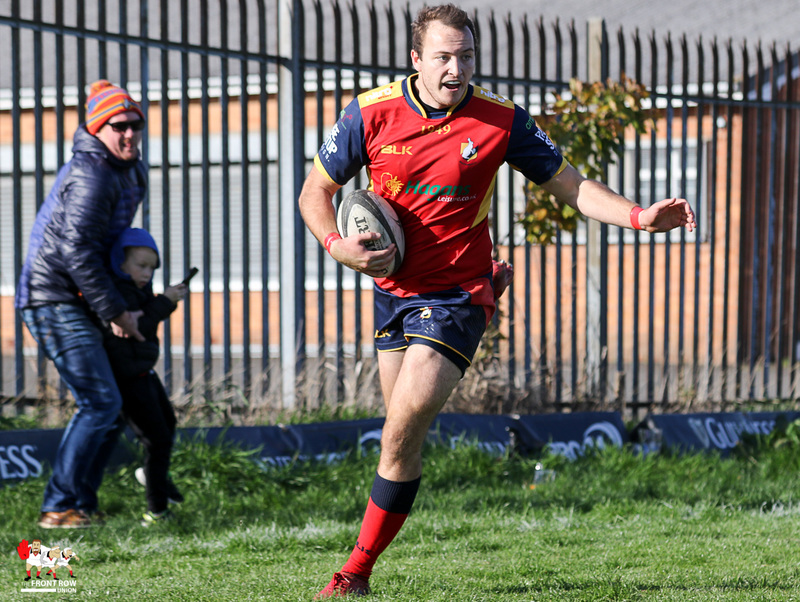 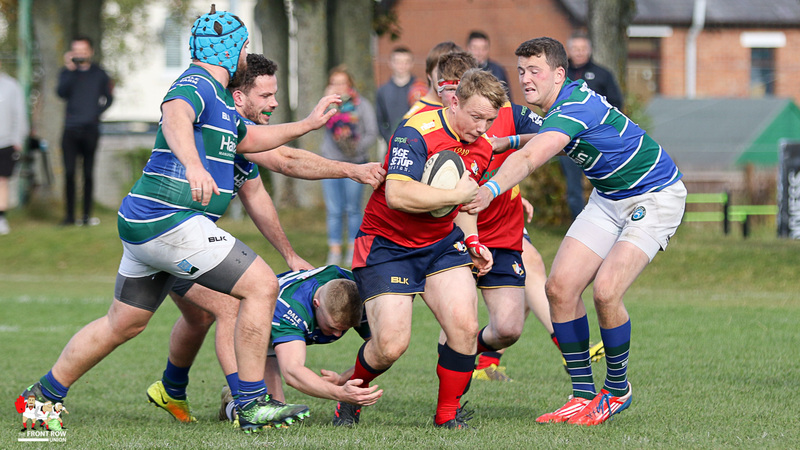 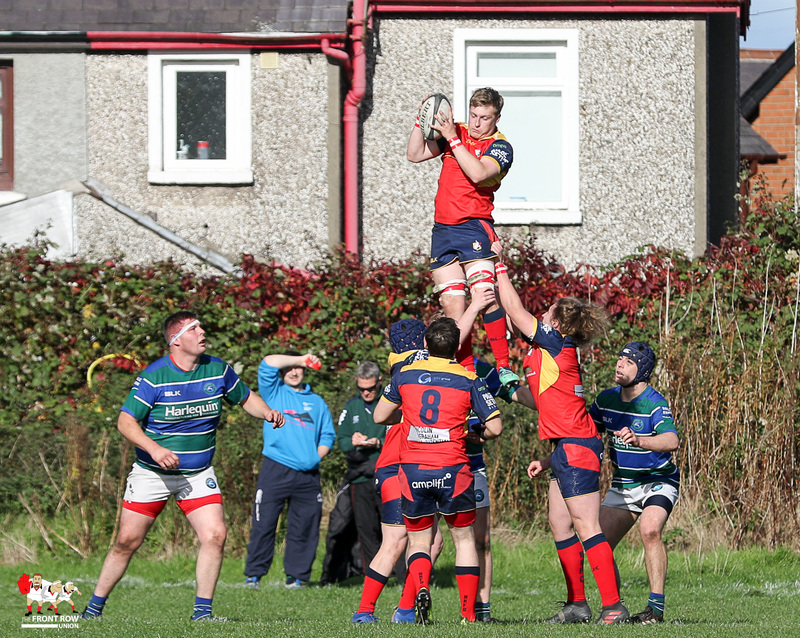 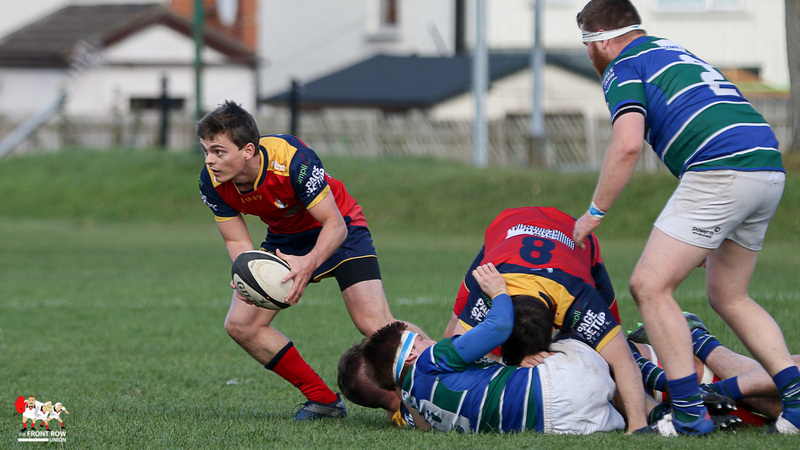 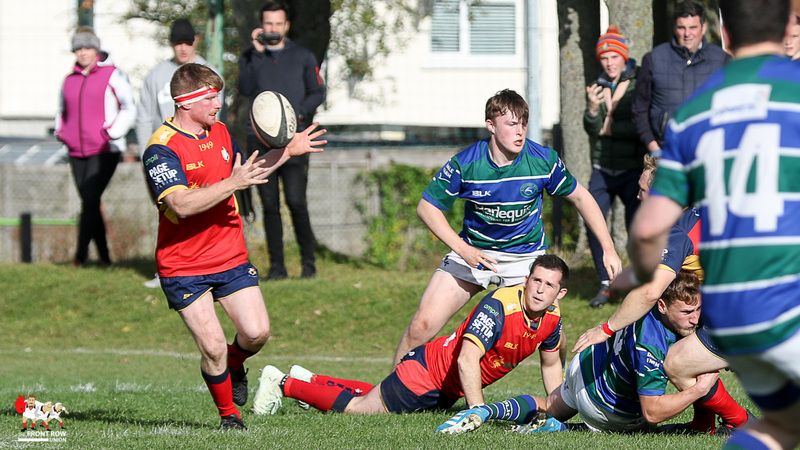 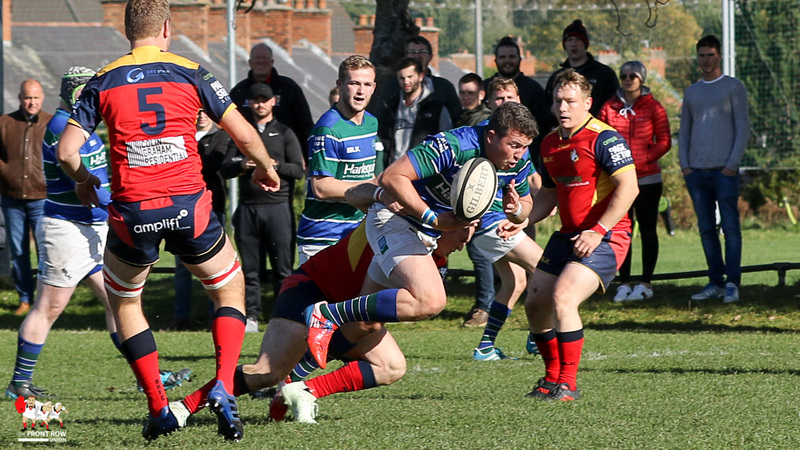 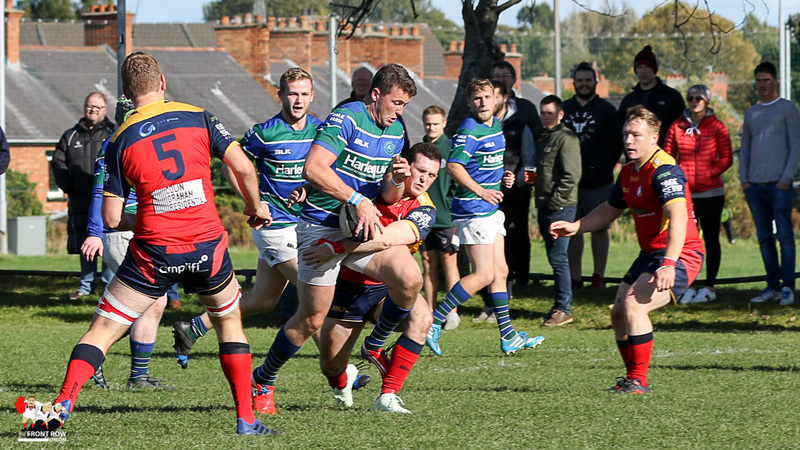 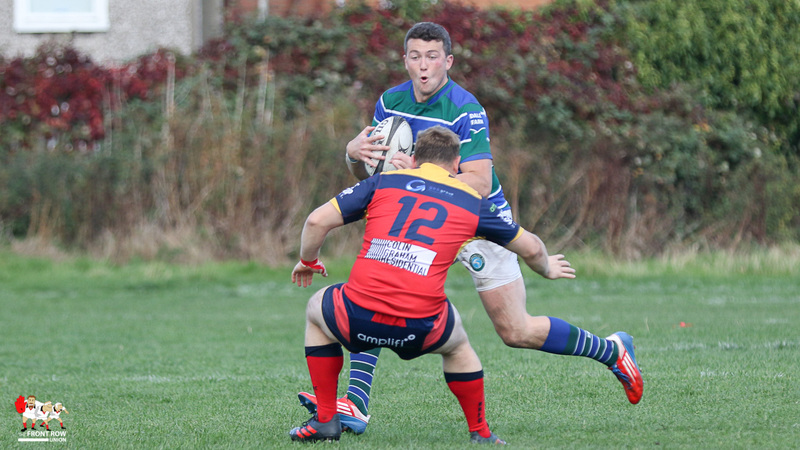 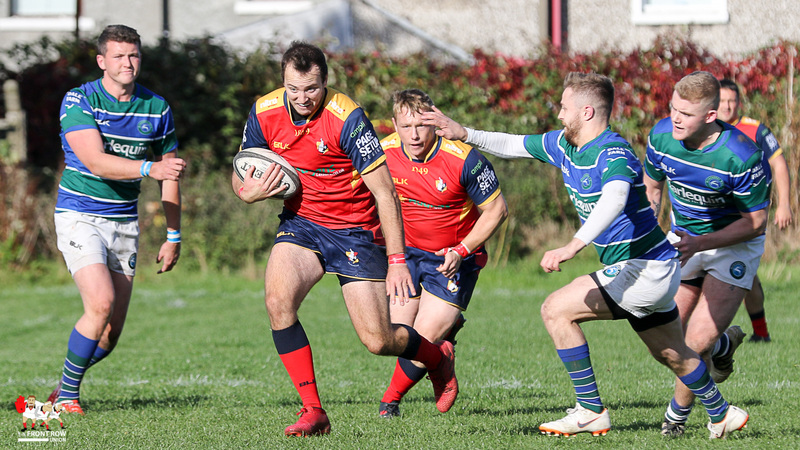 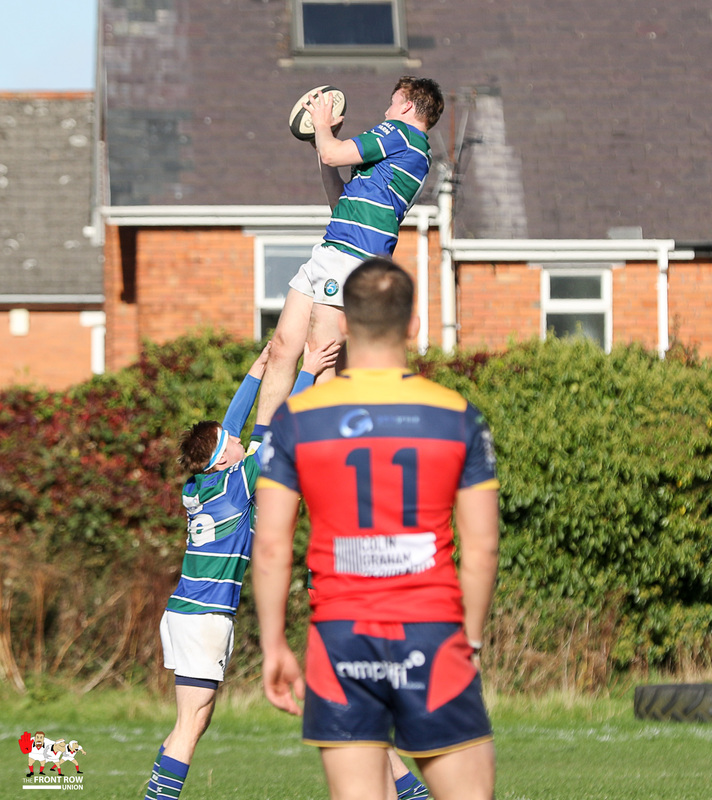 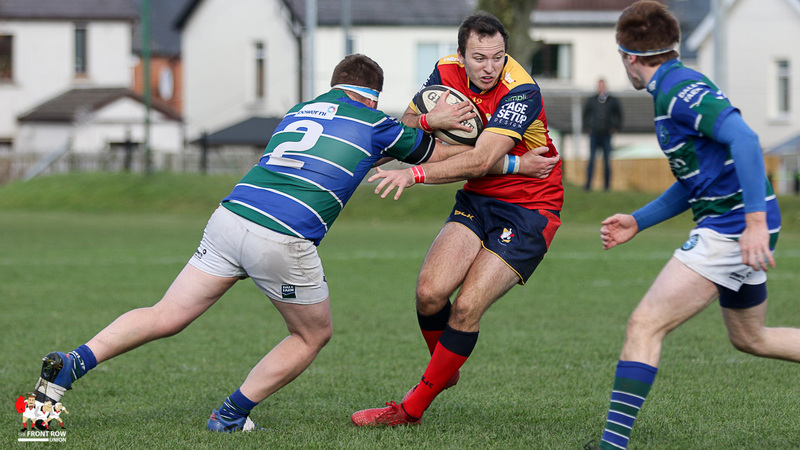 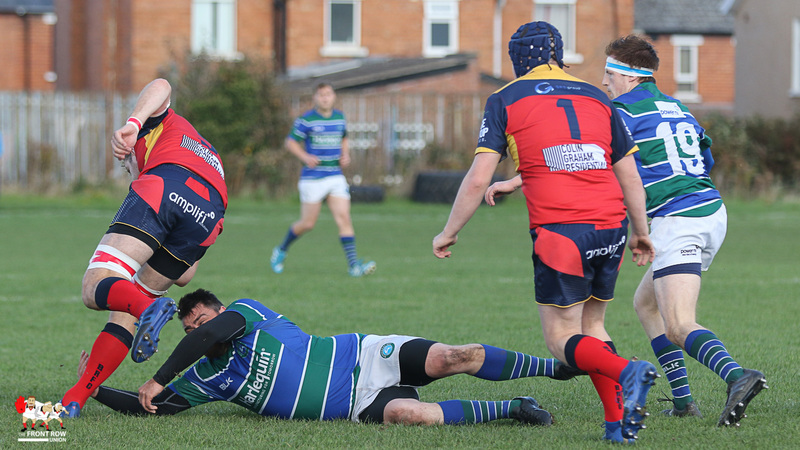 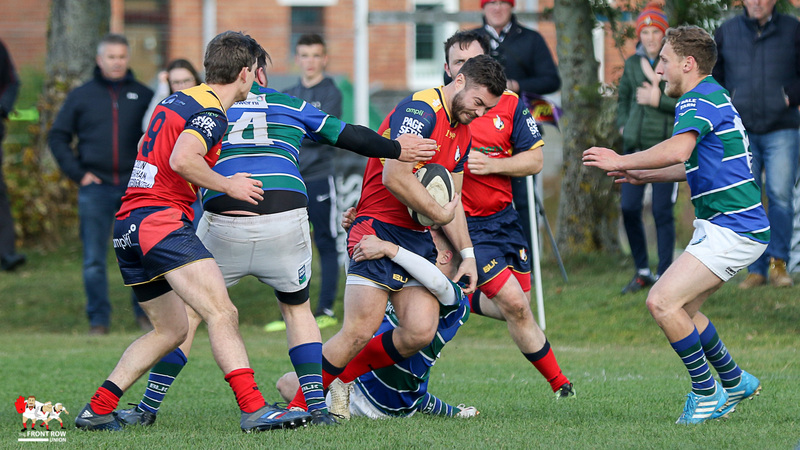 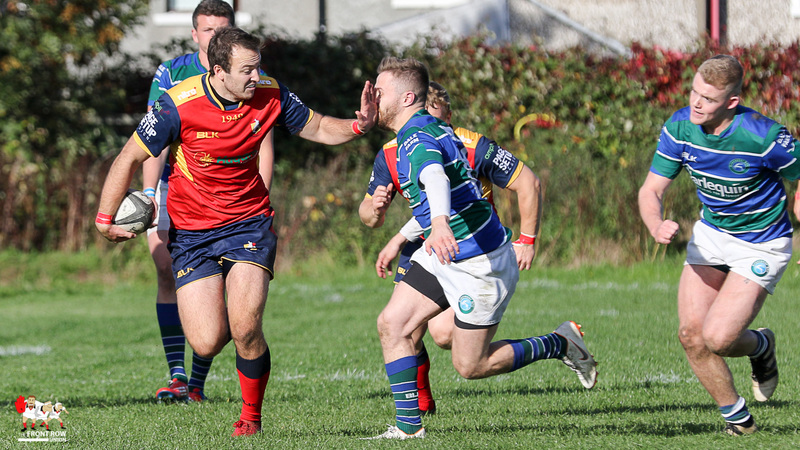 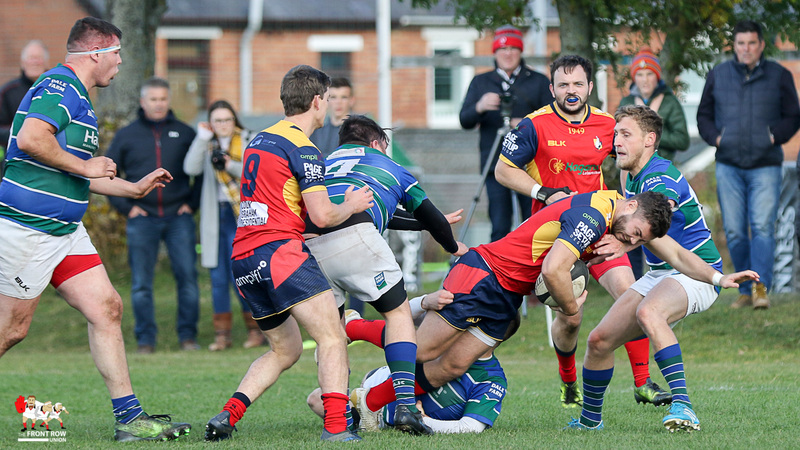 Ulster Rugby Championship Division 1 leaders Ballyclare escaped with all the points after a hard fought win against newly promoted Grosvenor at Gibson park on Saturday afternoon. 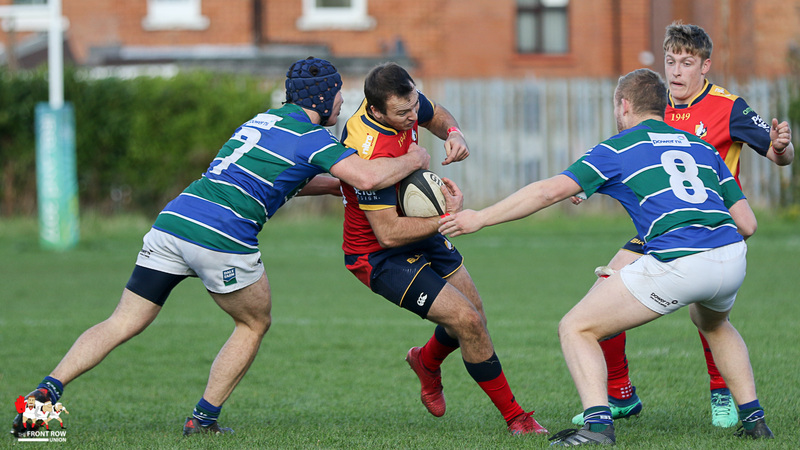 Despite missing a few key players Grosvenor remained competitive against the Championship pacesetters who’s industrious centre, Joel McBride, was the main difference between the teams. 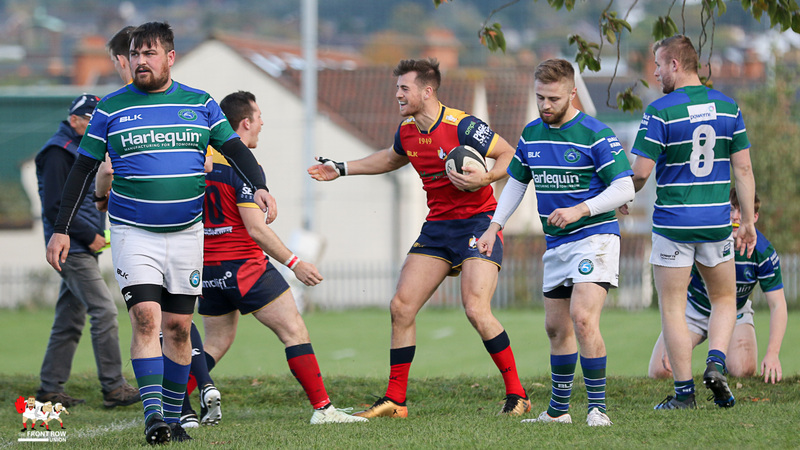 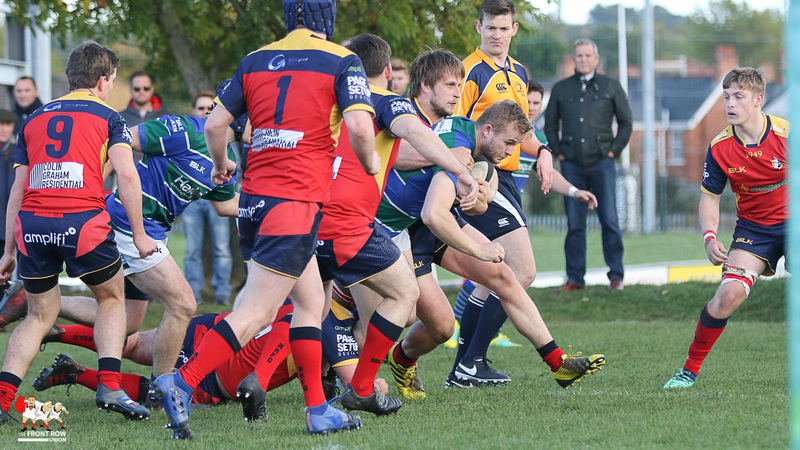 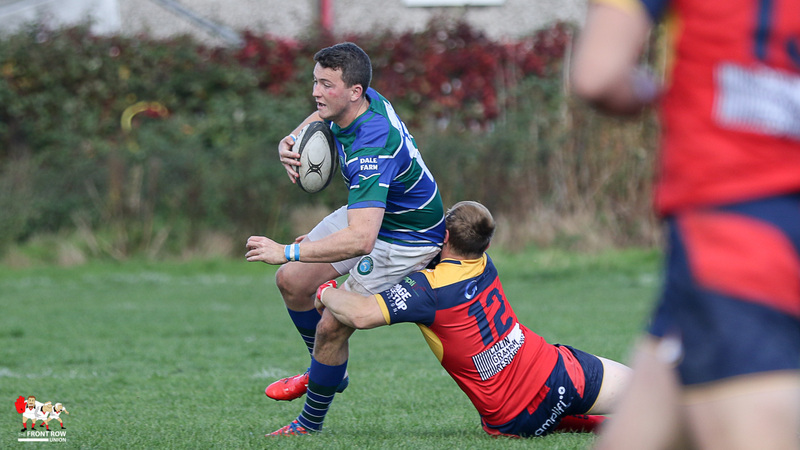 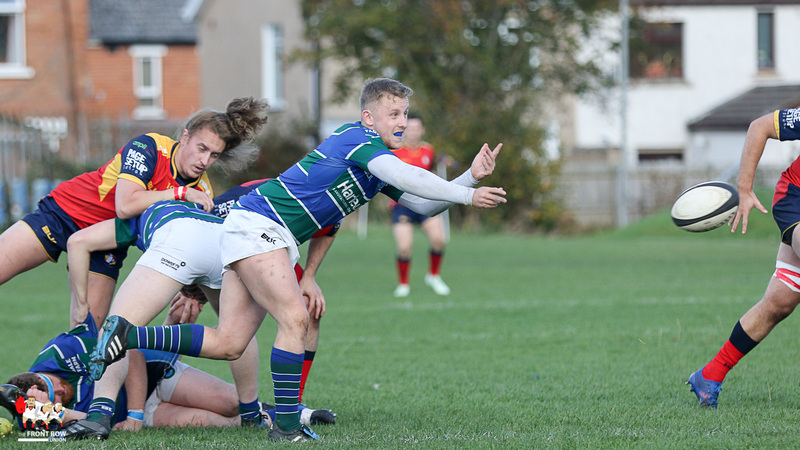 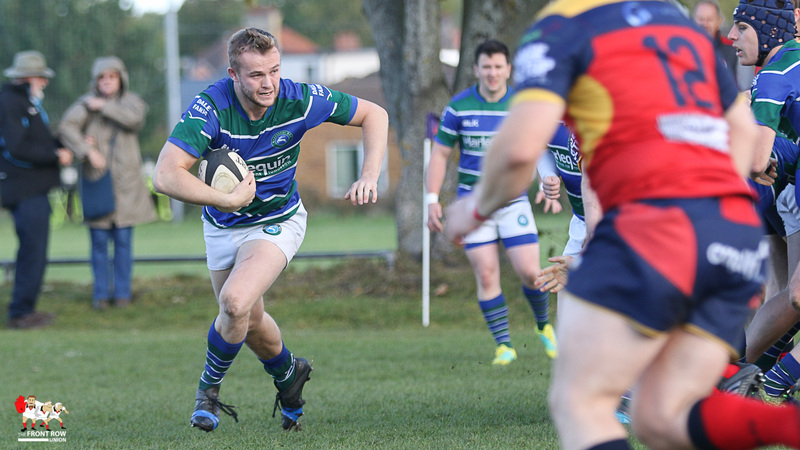 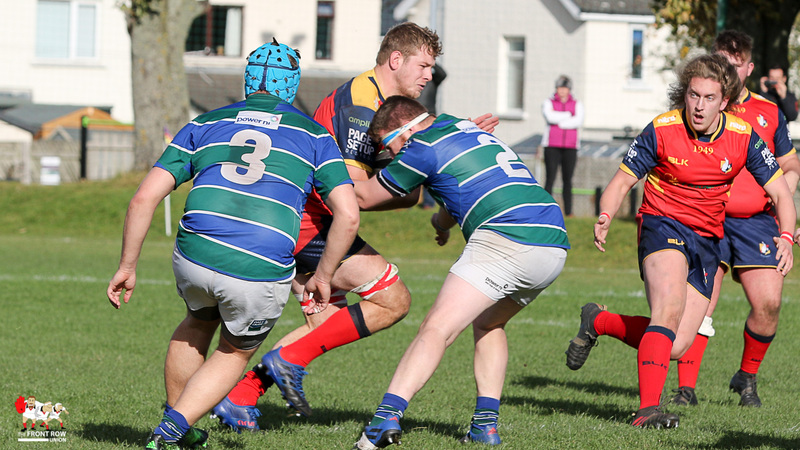 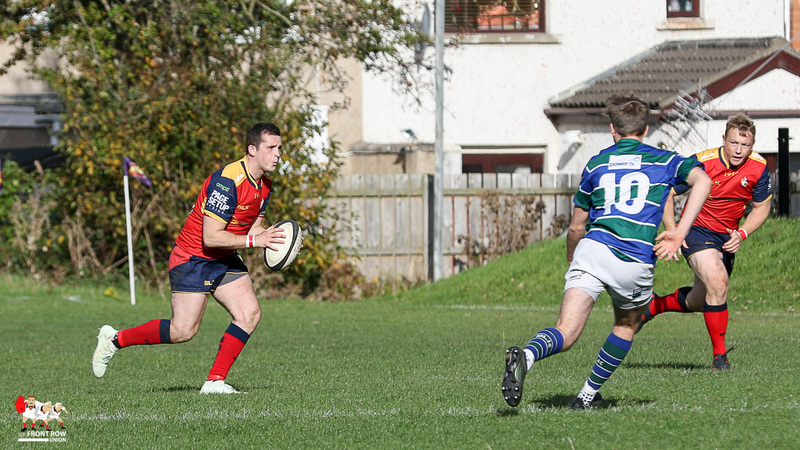 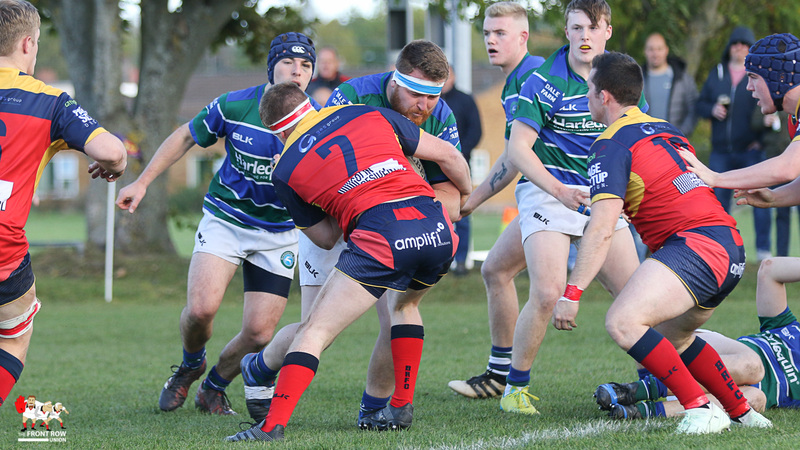 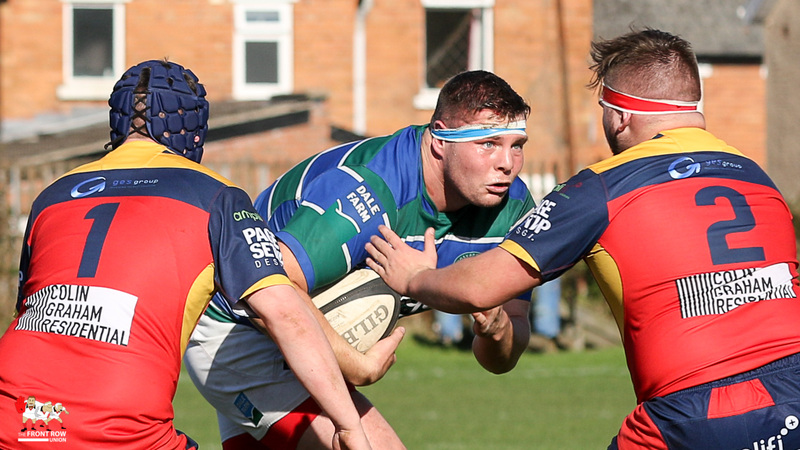 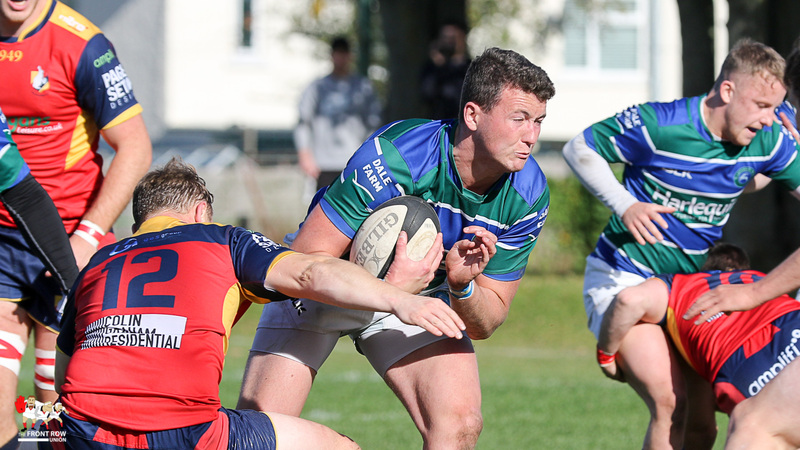 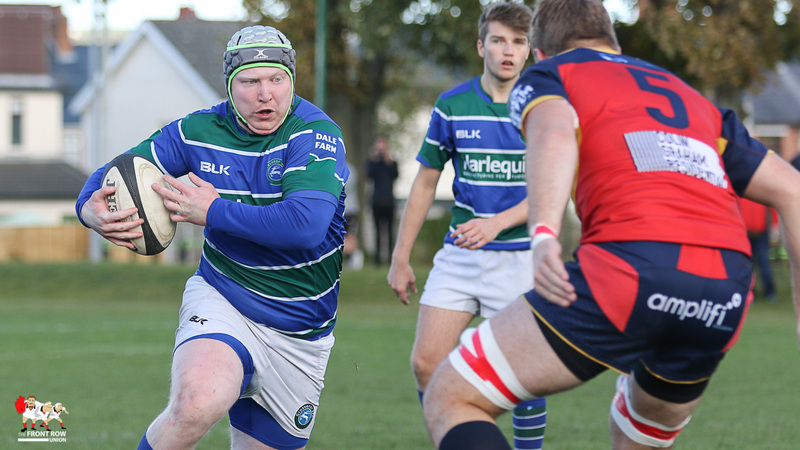 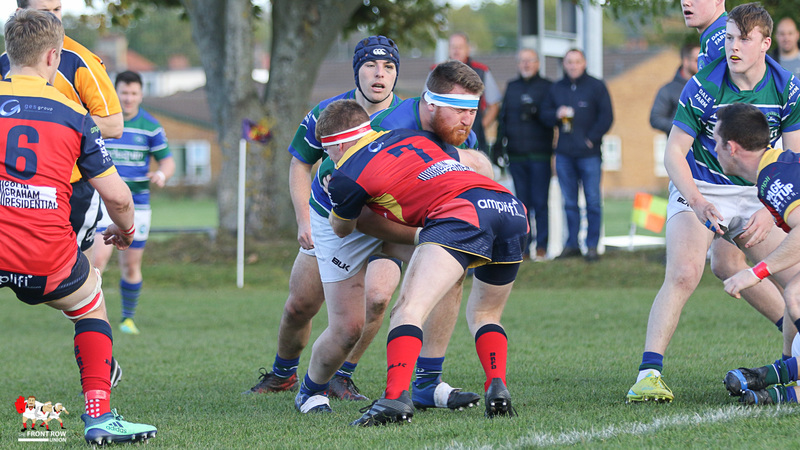 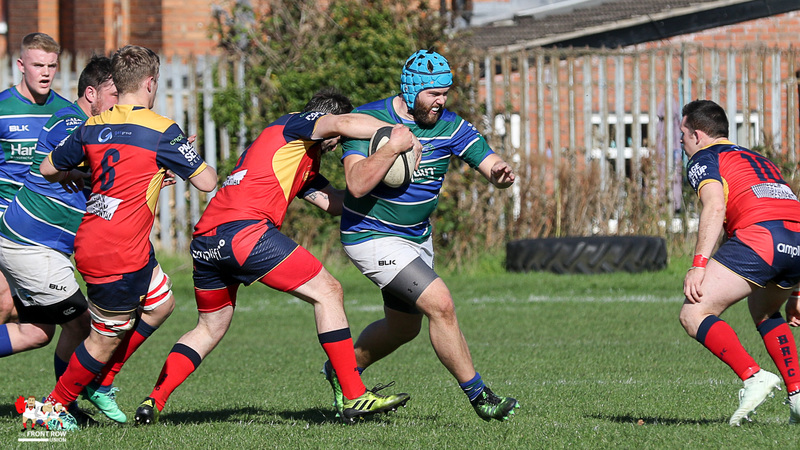 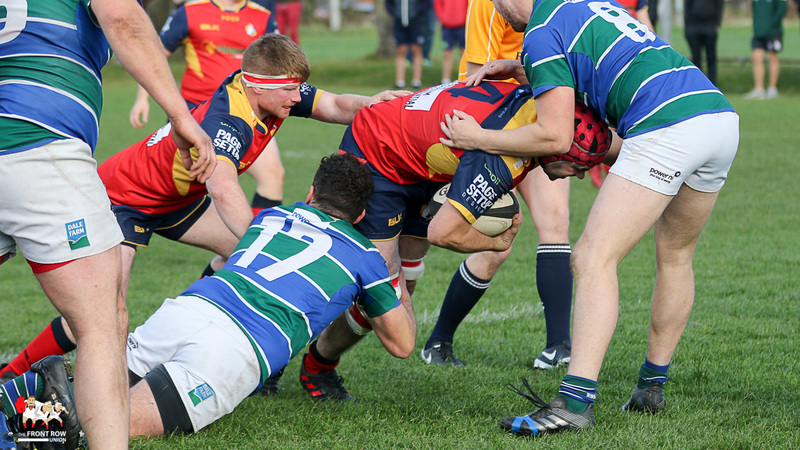 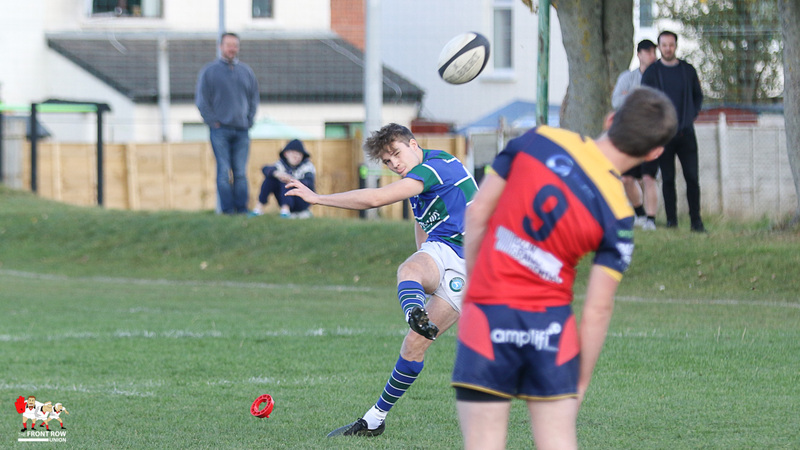 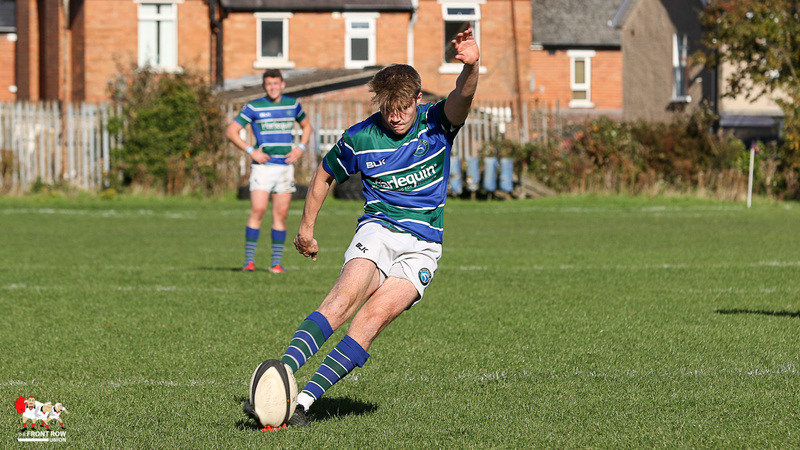 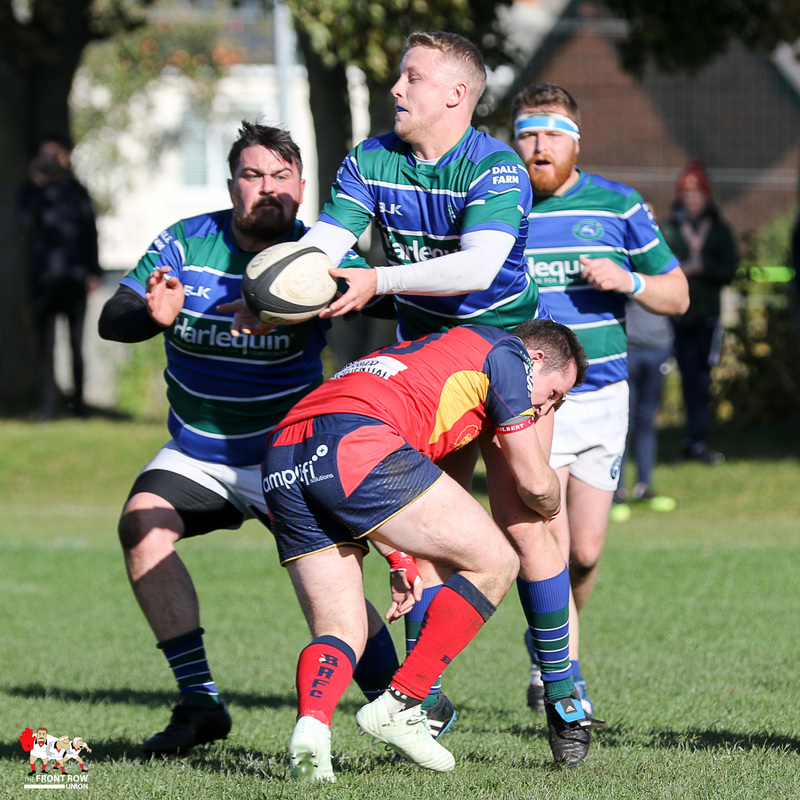 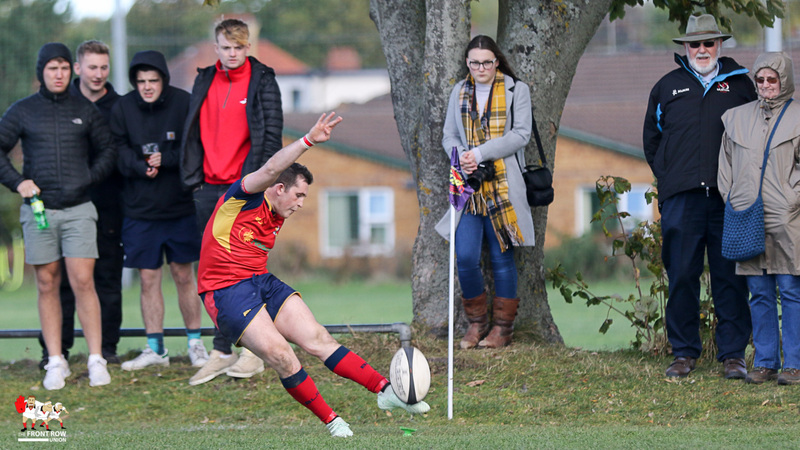 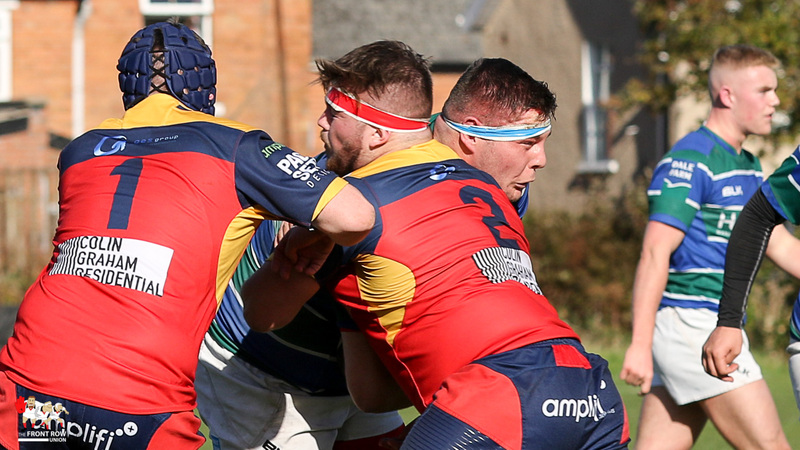 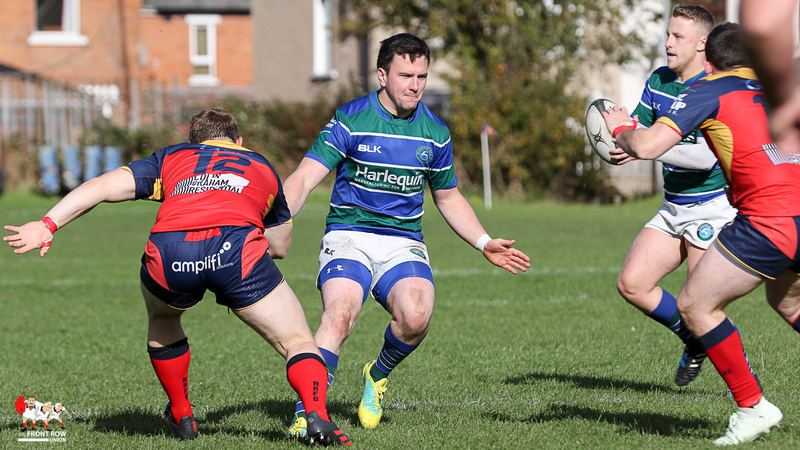 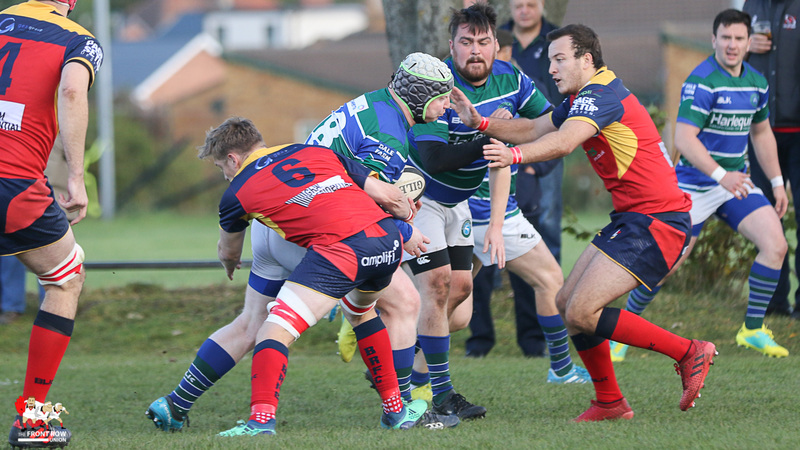 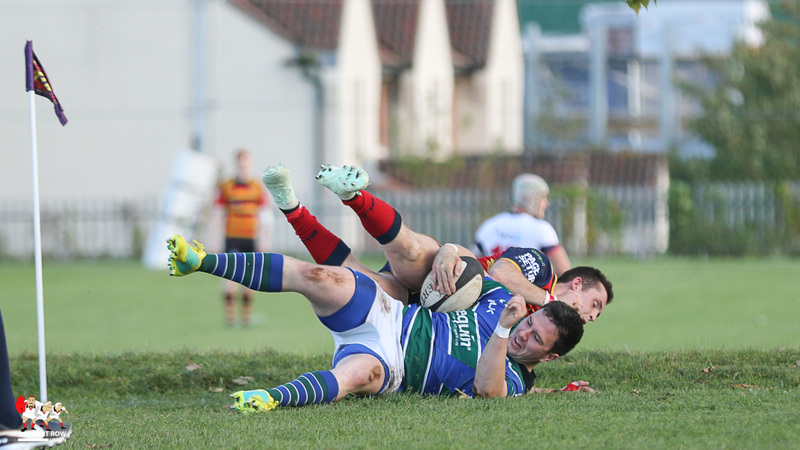 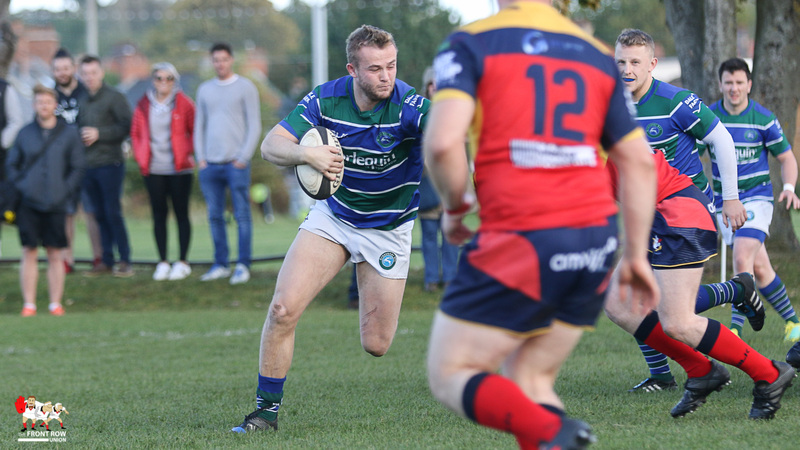 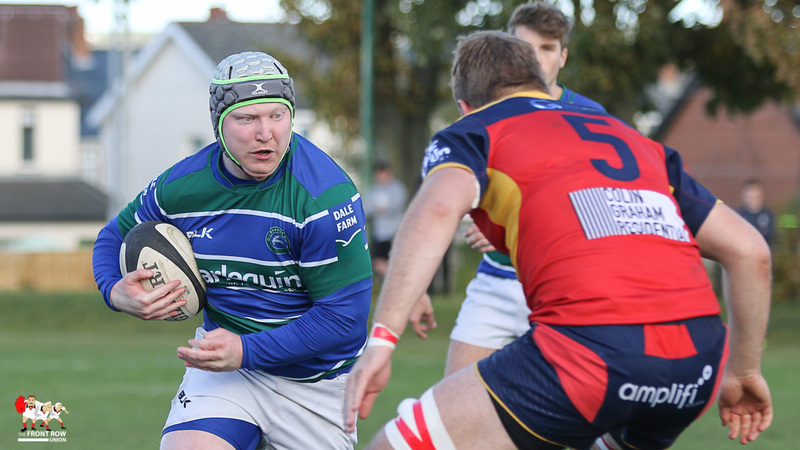 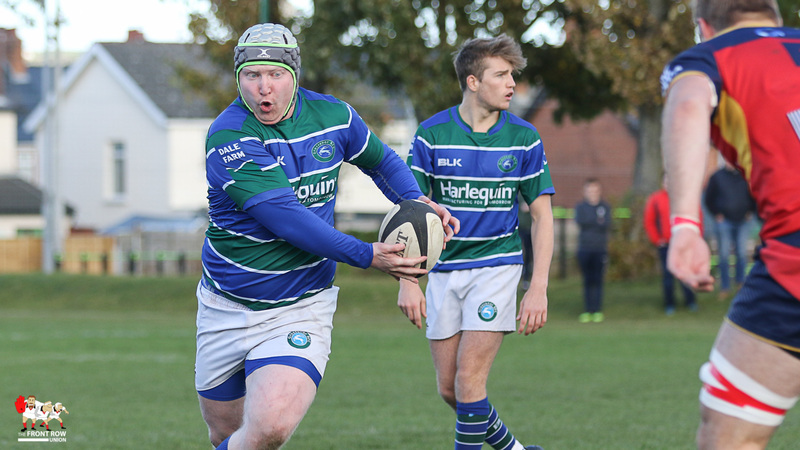 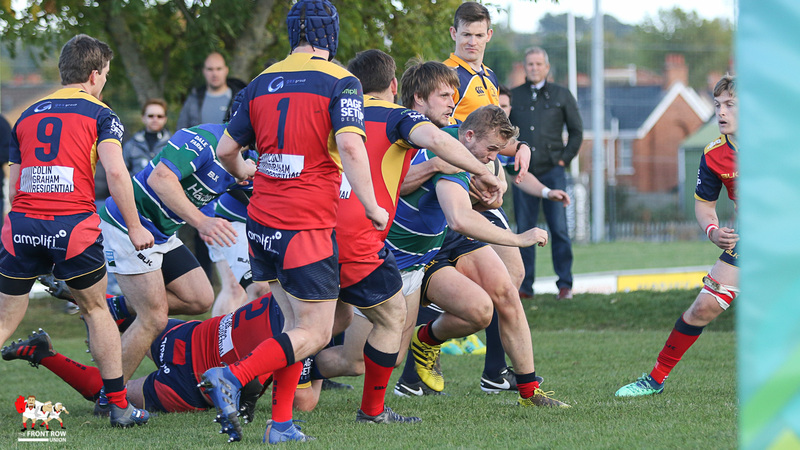 McBride topped and tailed the visitors scoring with his brace and Gary Clotworthy, Michael Kirk and Matthew Johnston also crossed in the bonus point win. 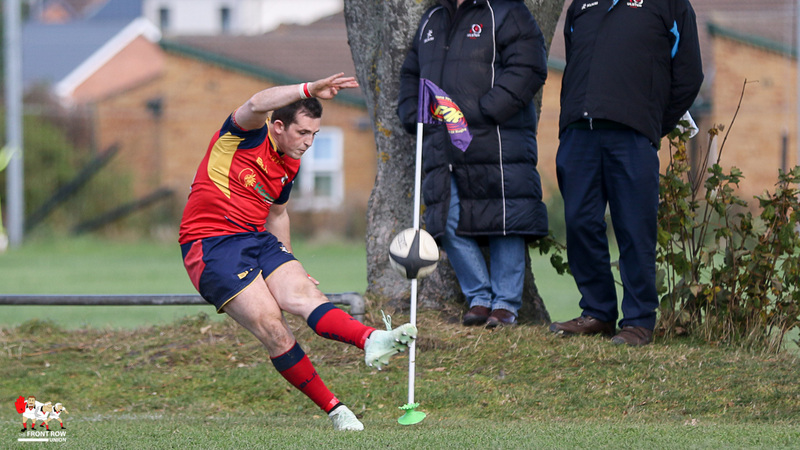 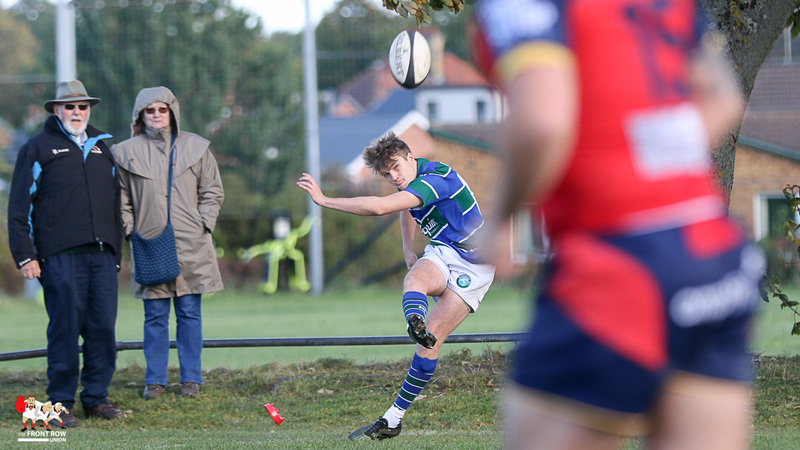 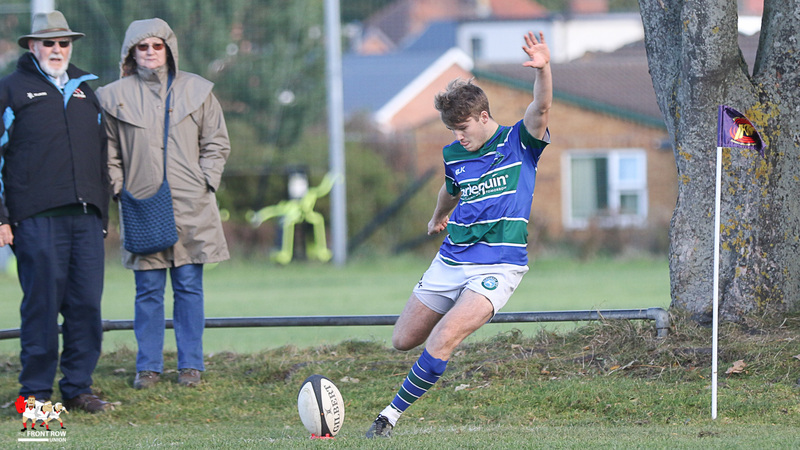 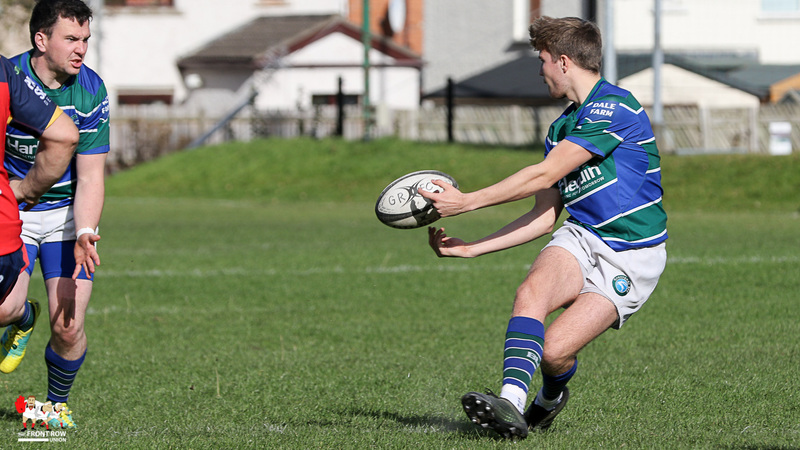 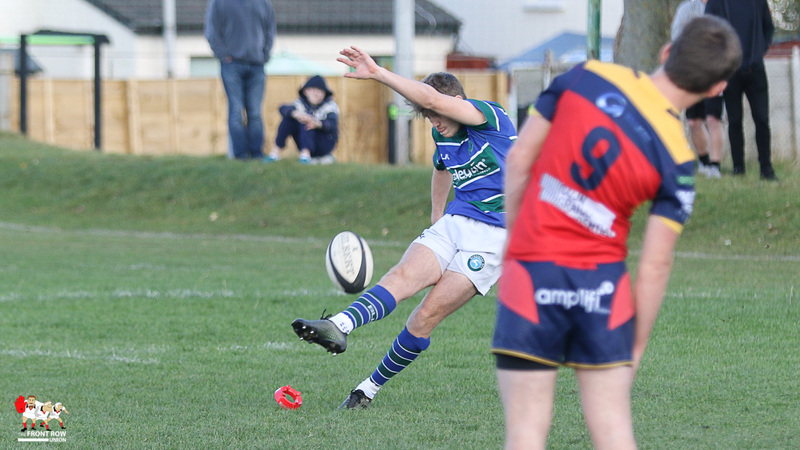 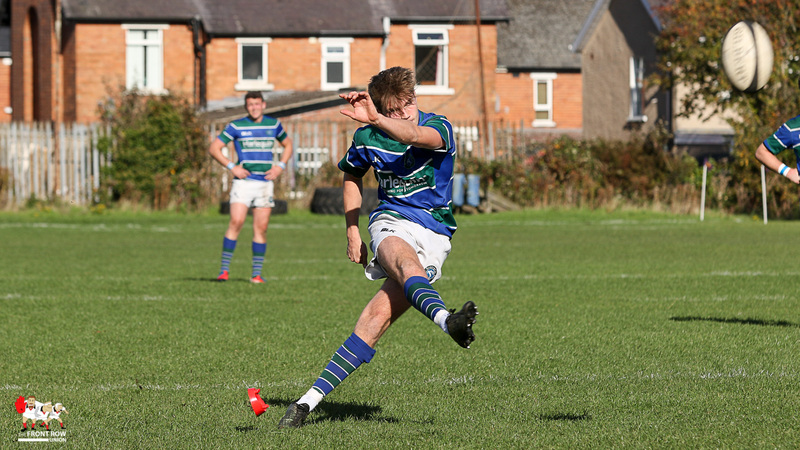 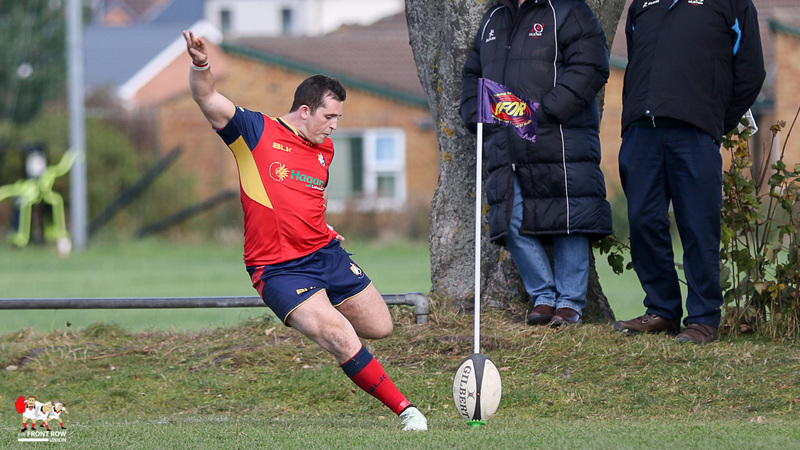 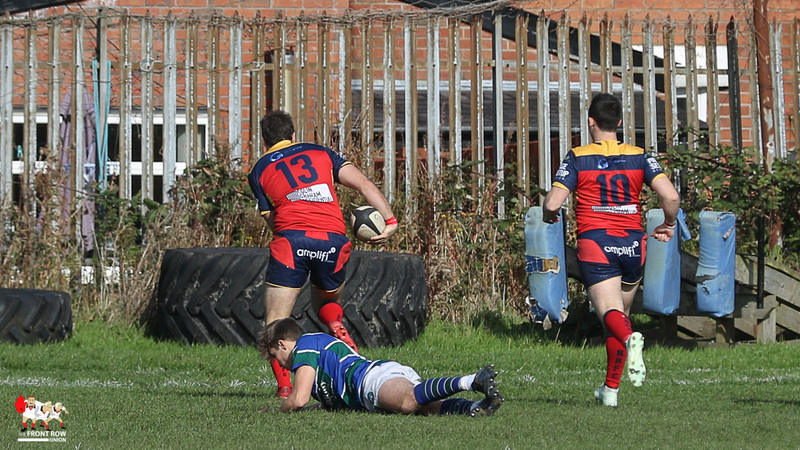 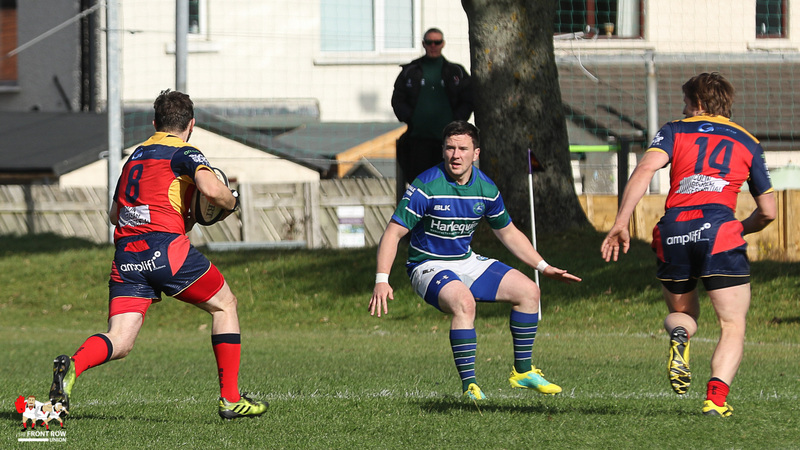 Robbie Reid converted three of the five tries on top of a penalty. 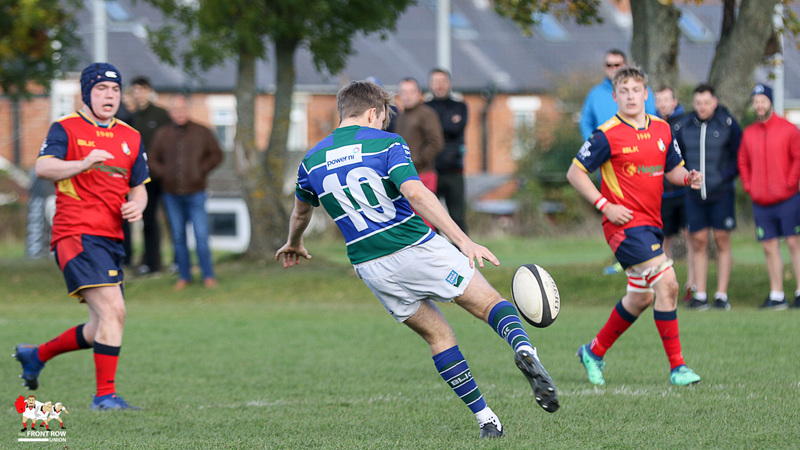 Grosvenor responded through Jamie McMullan, Stuart Smyth and Neil Adams with Adam Skelton adding a penalty and two conversions.